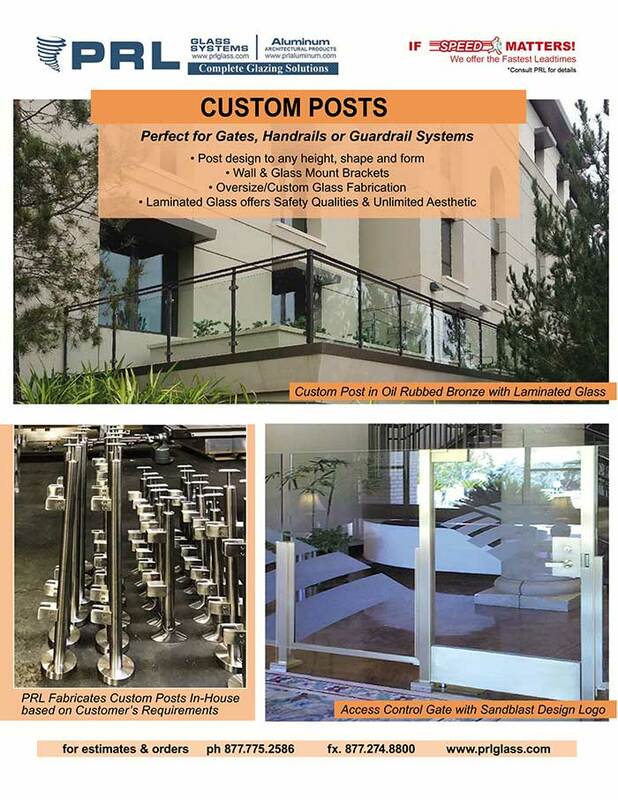 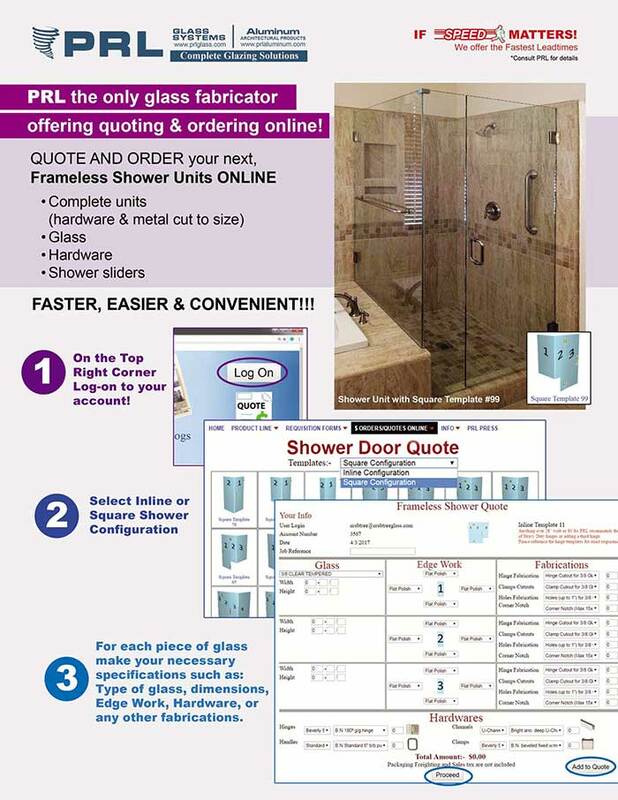 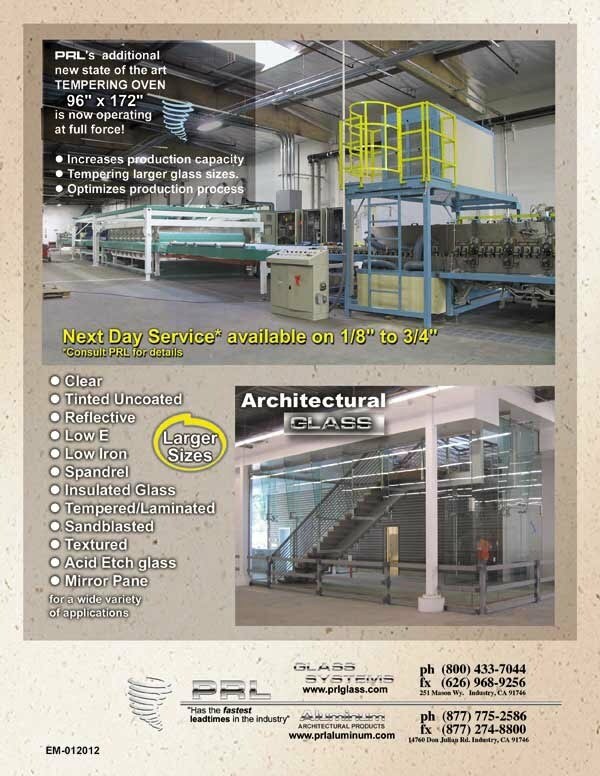 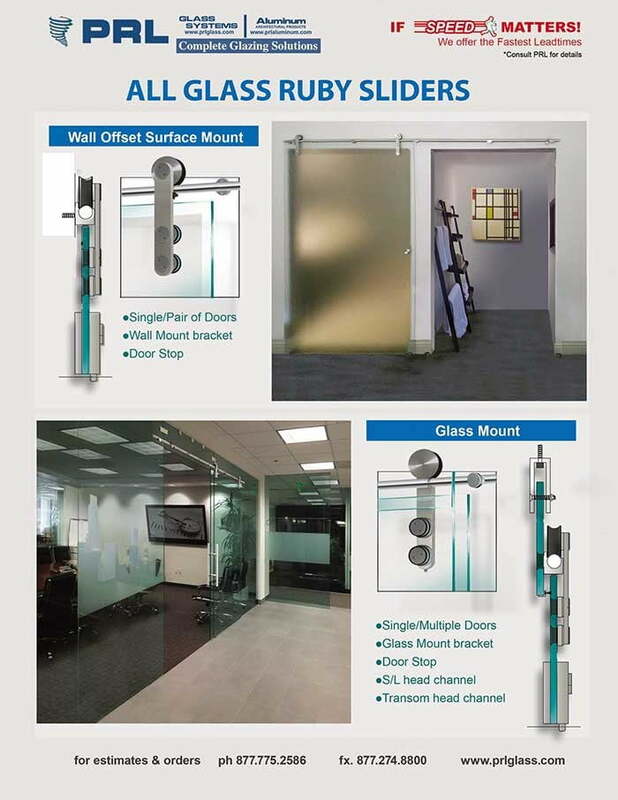 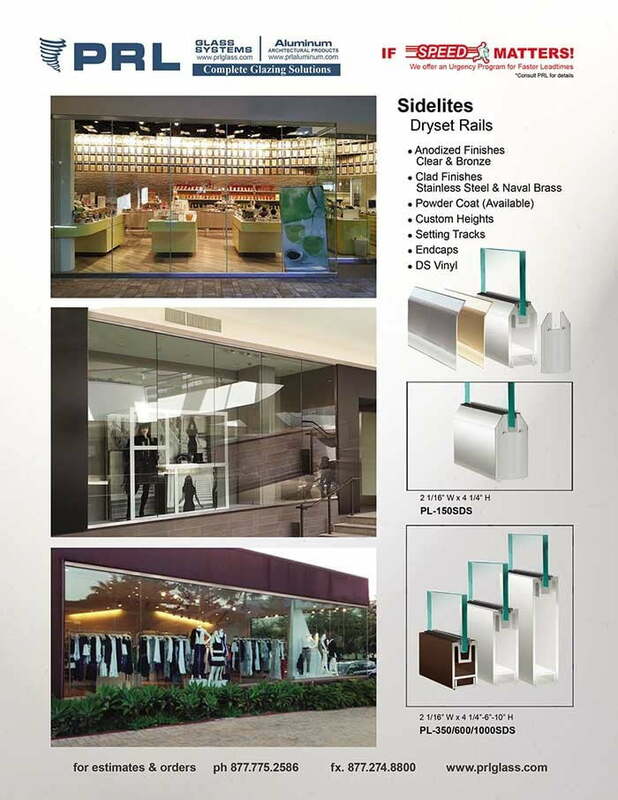 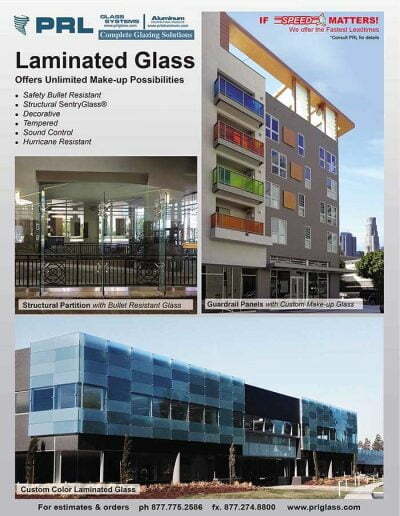 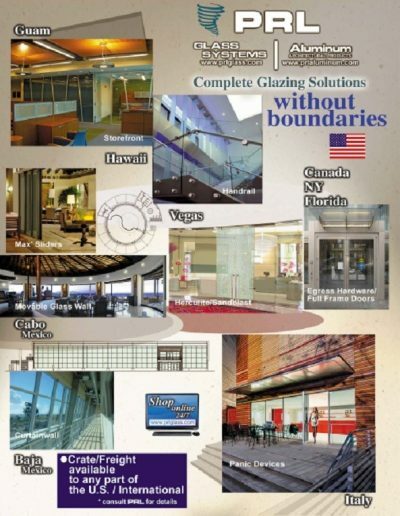 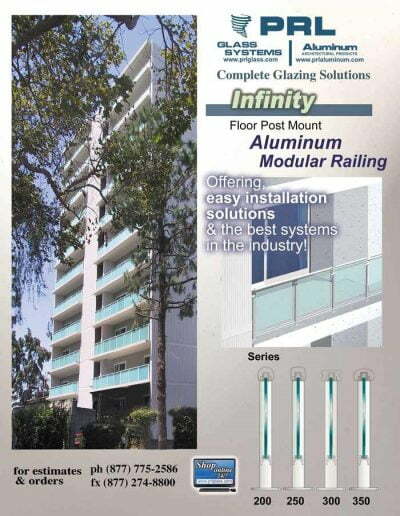 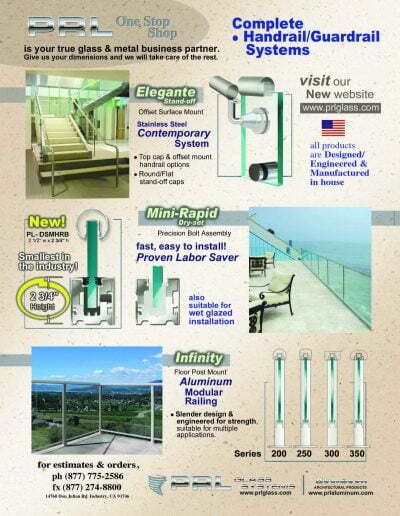 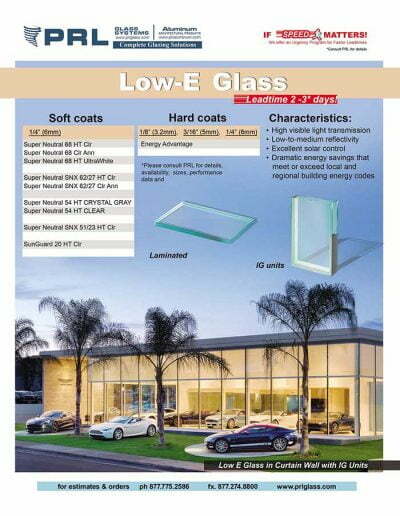 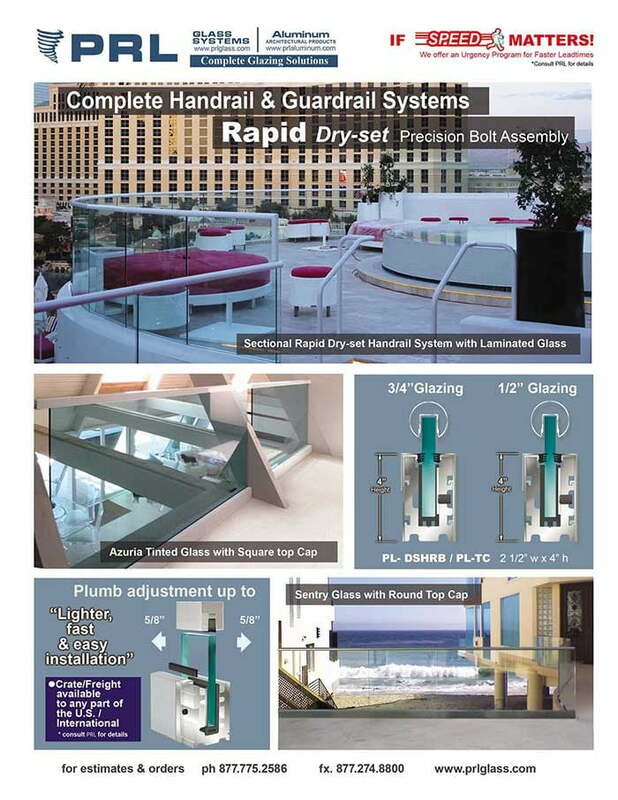 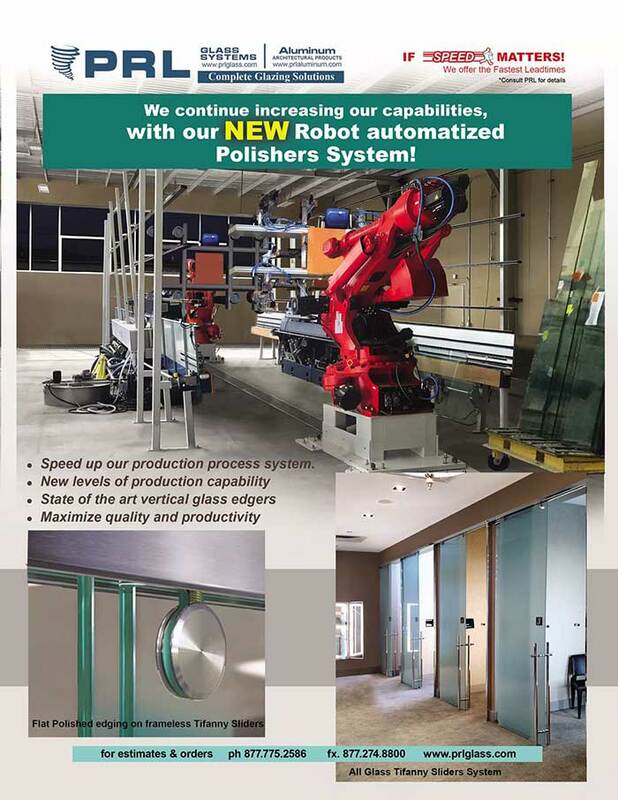 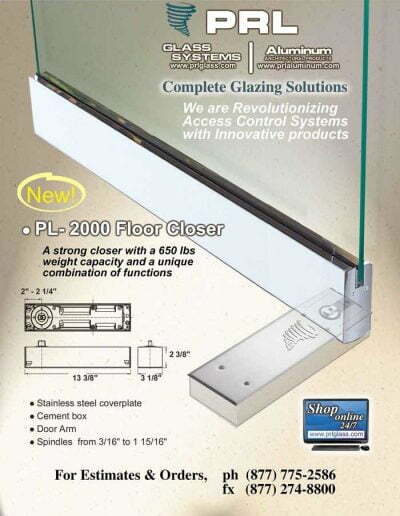 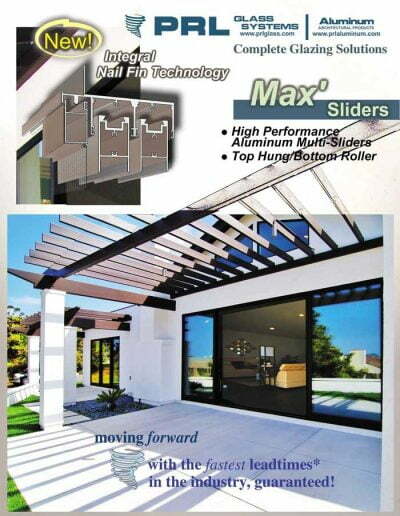 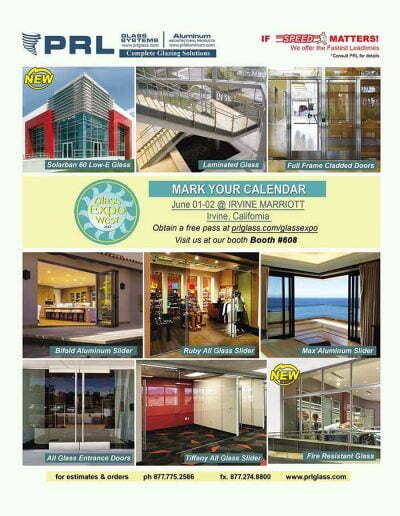 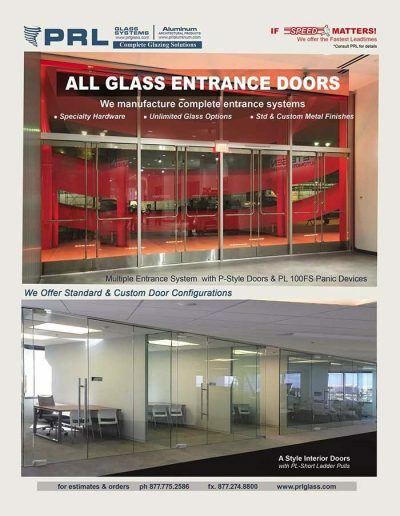 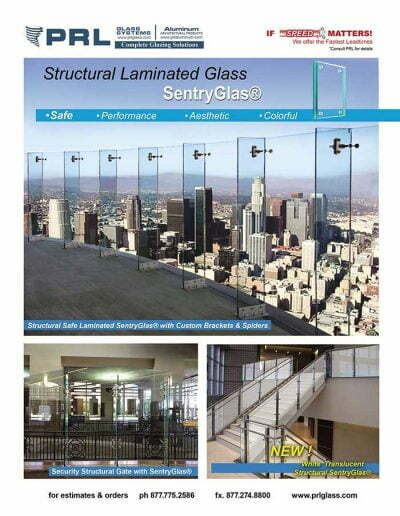 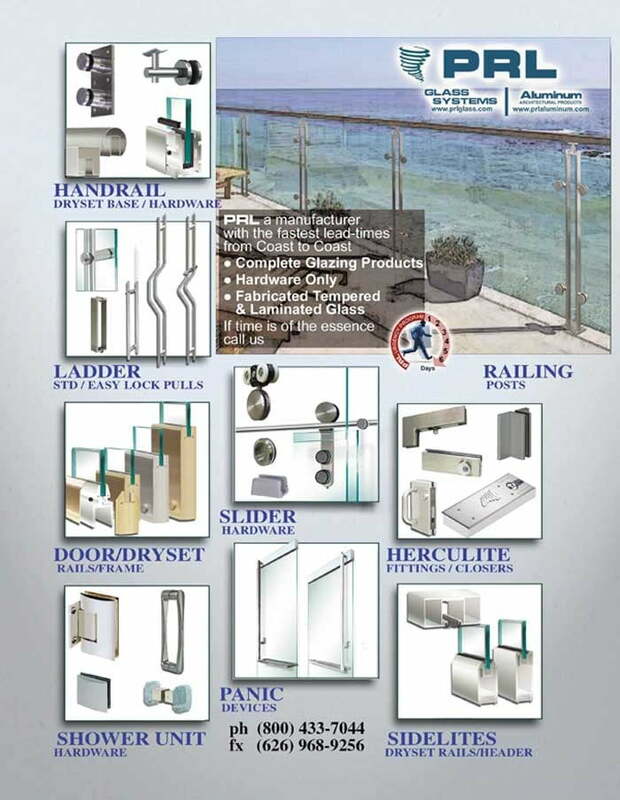 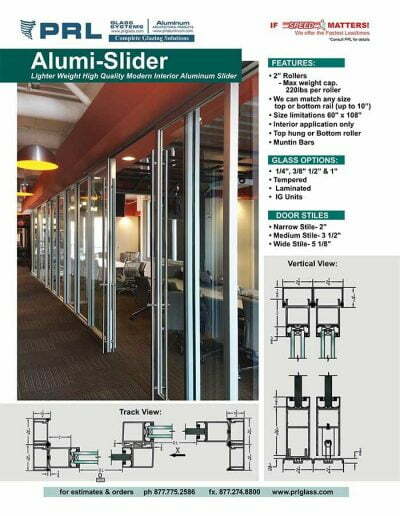 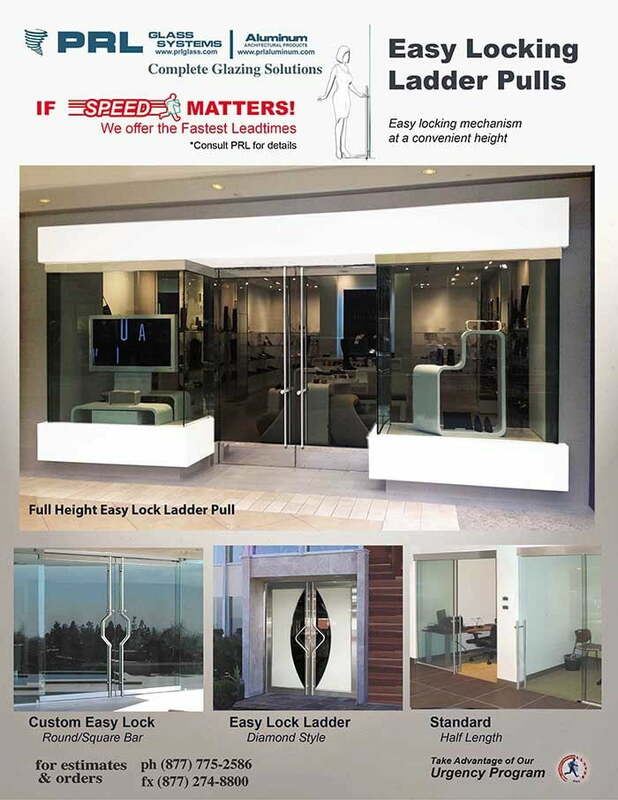 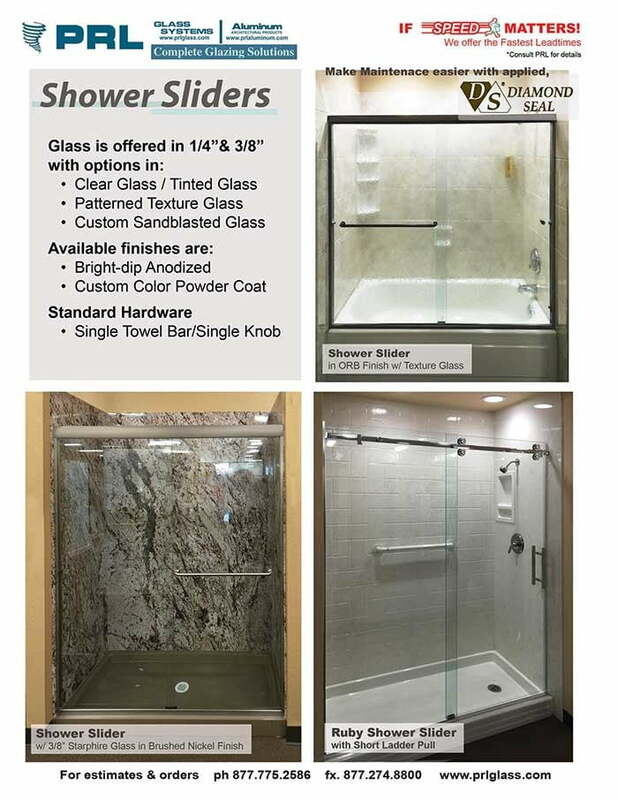 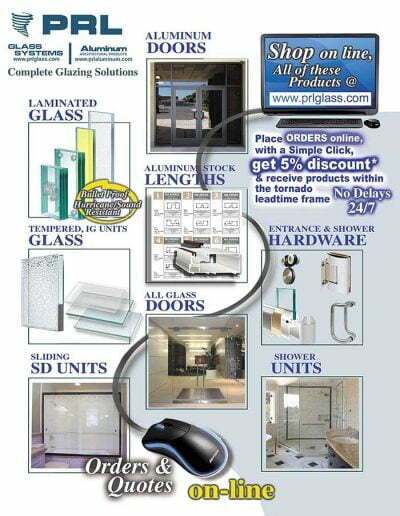 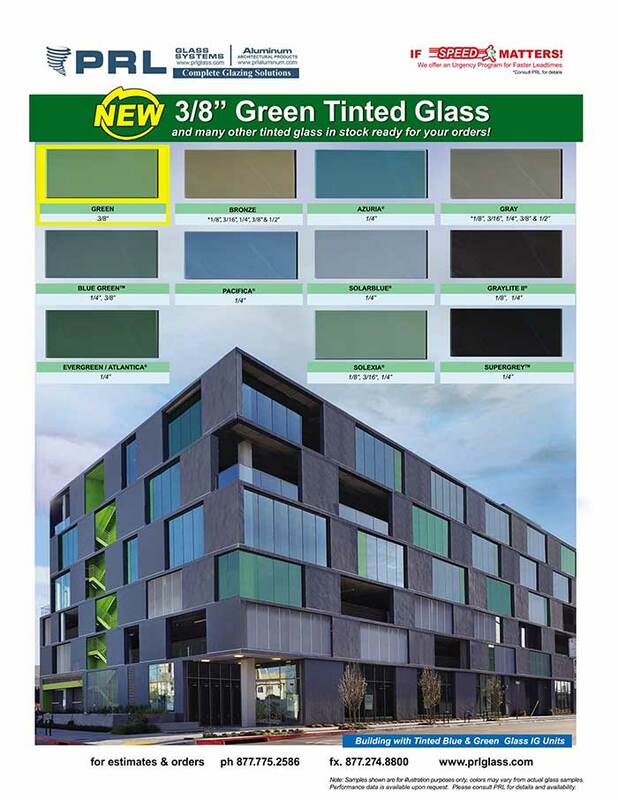 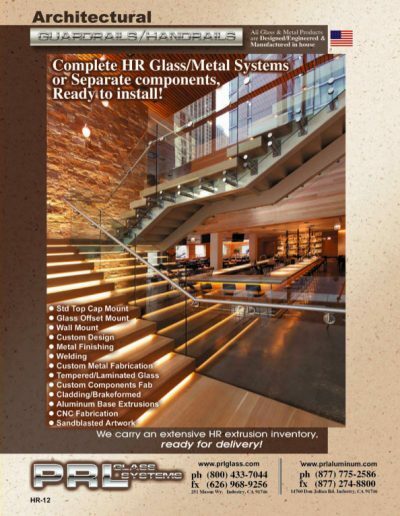 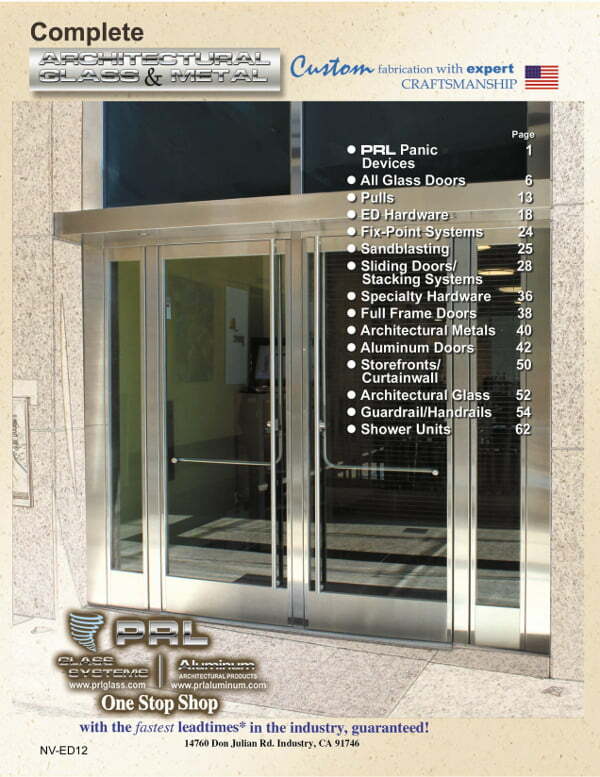 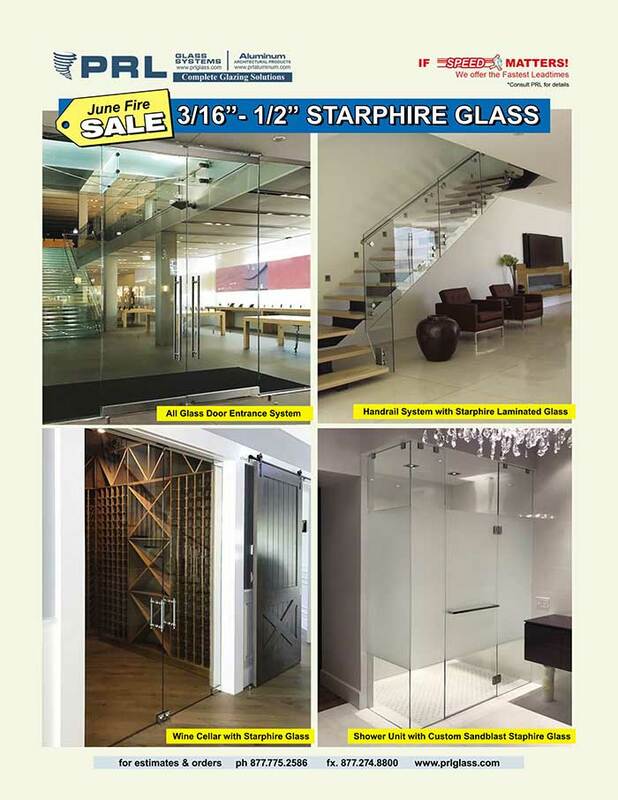 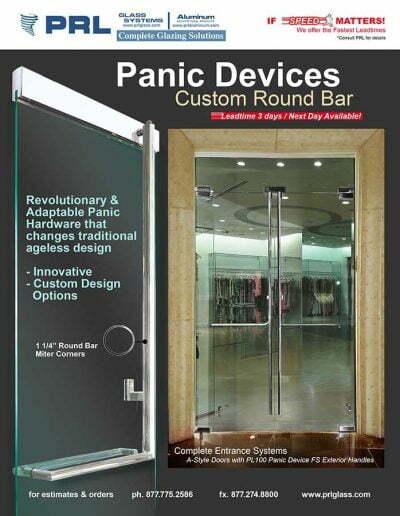 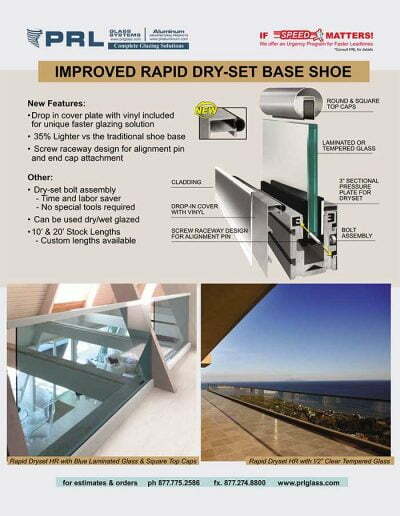 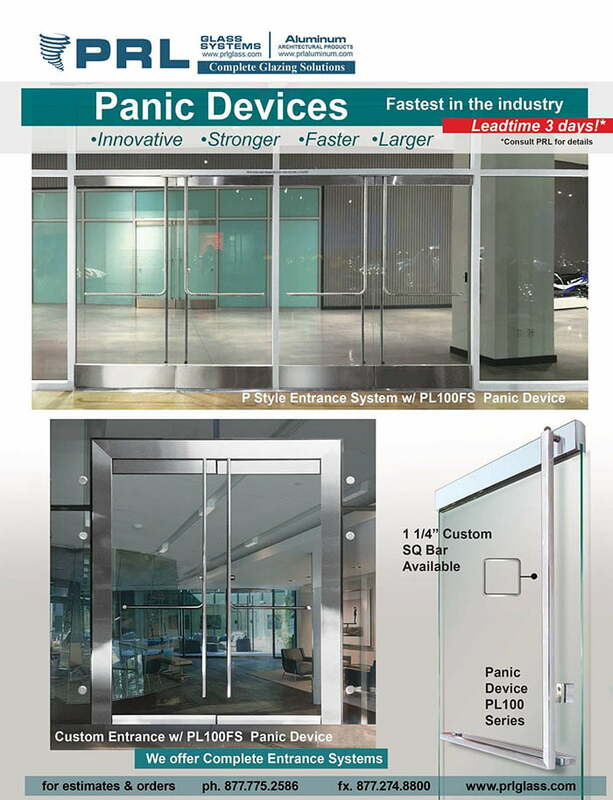 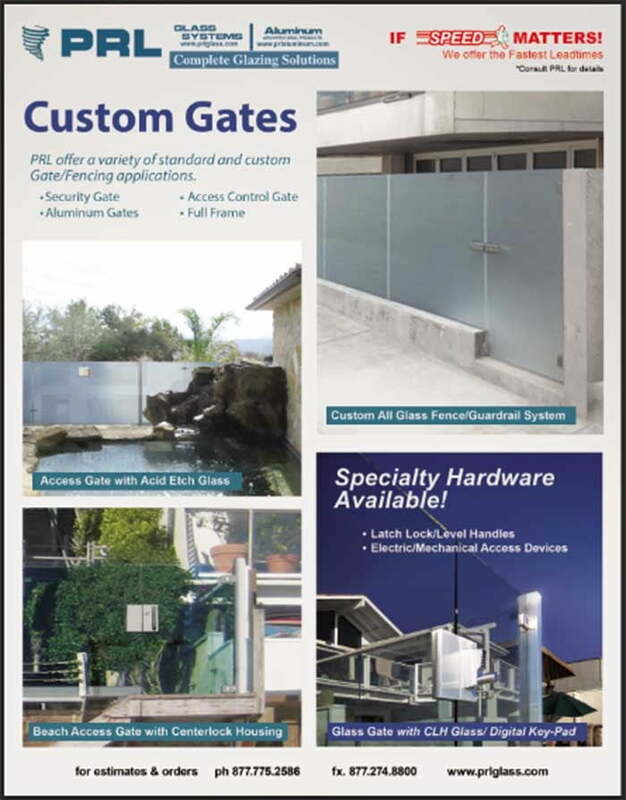 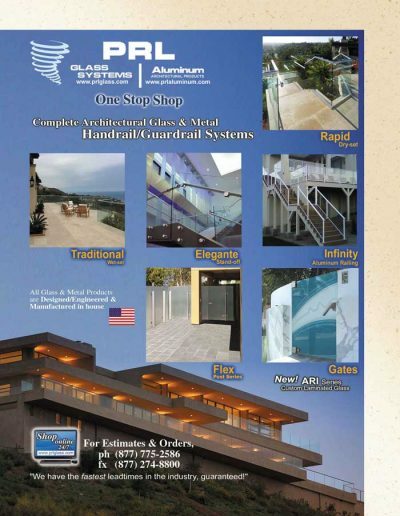 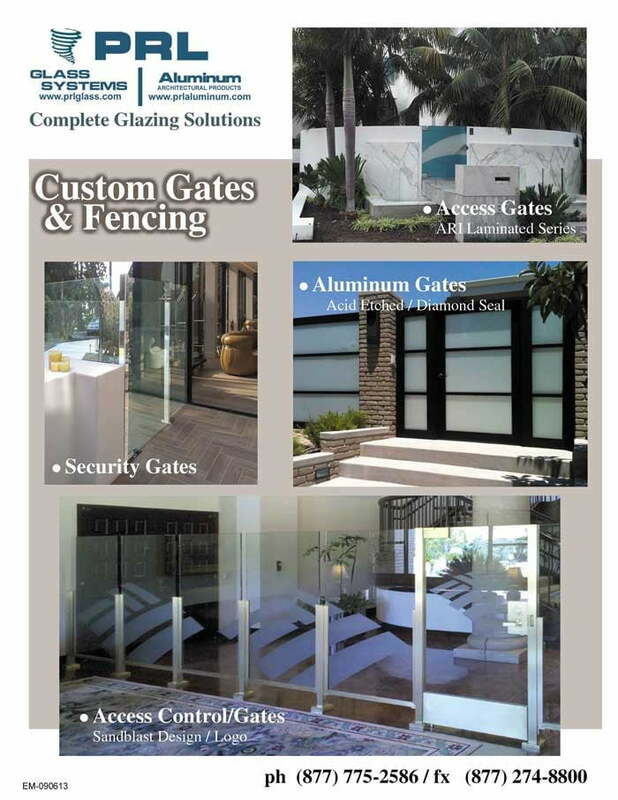 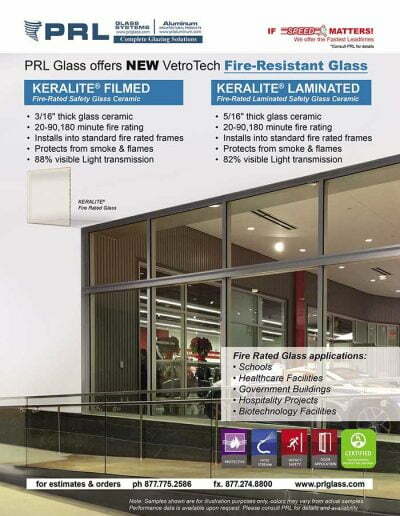 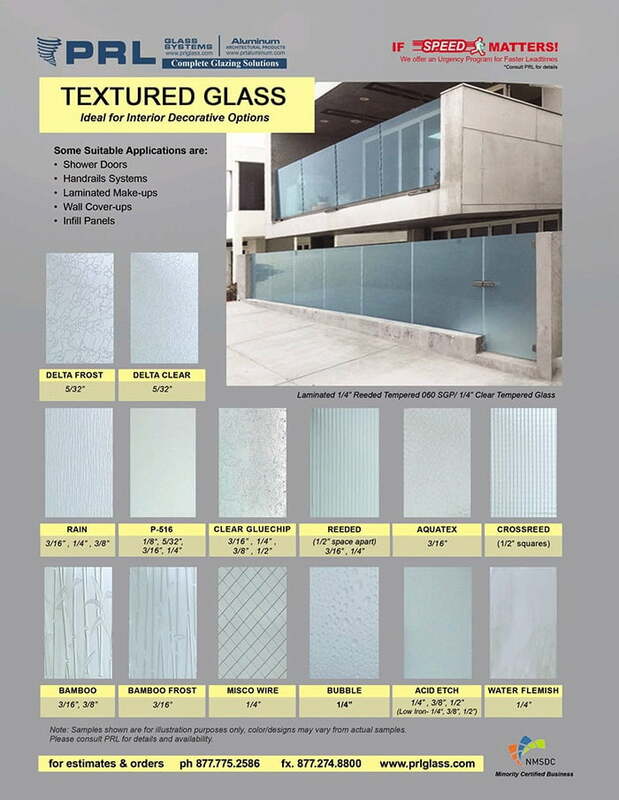 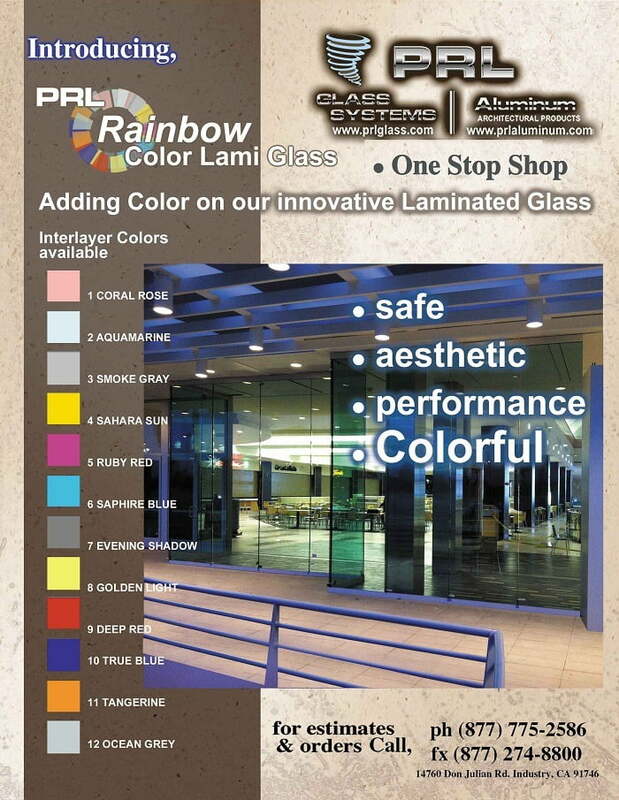 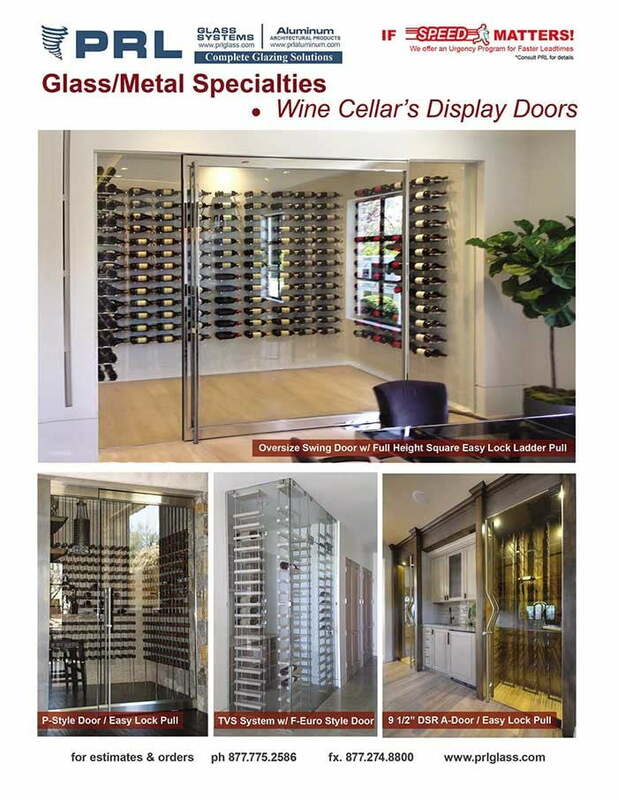 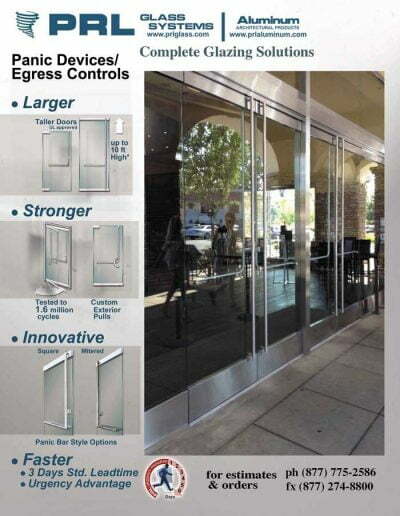 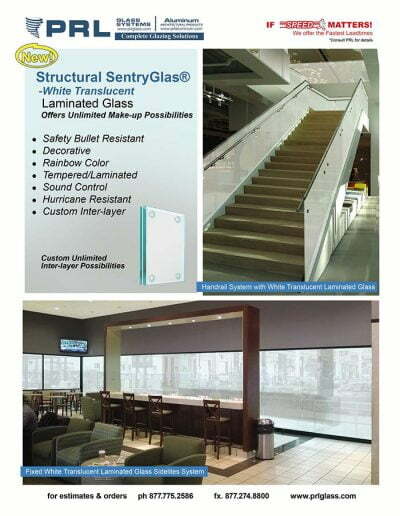 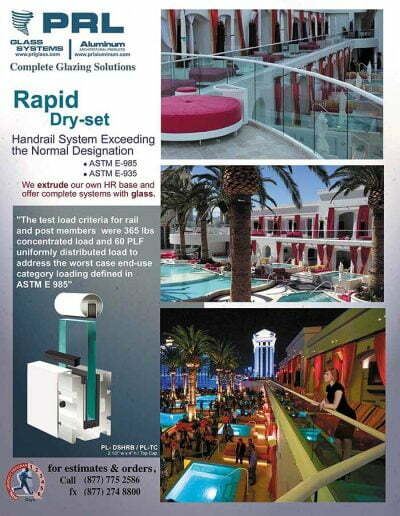 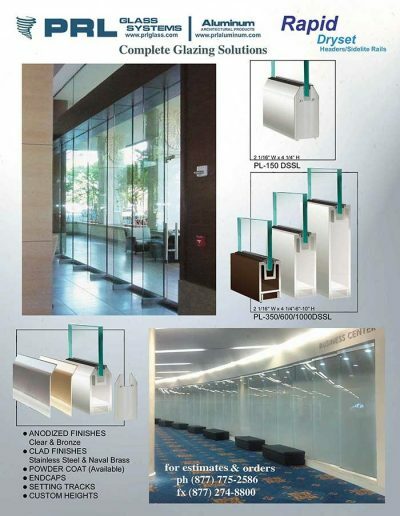 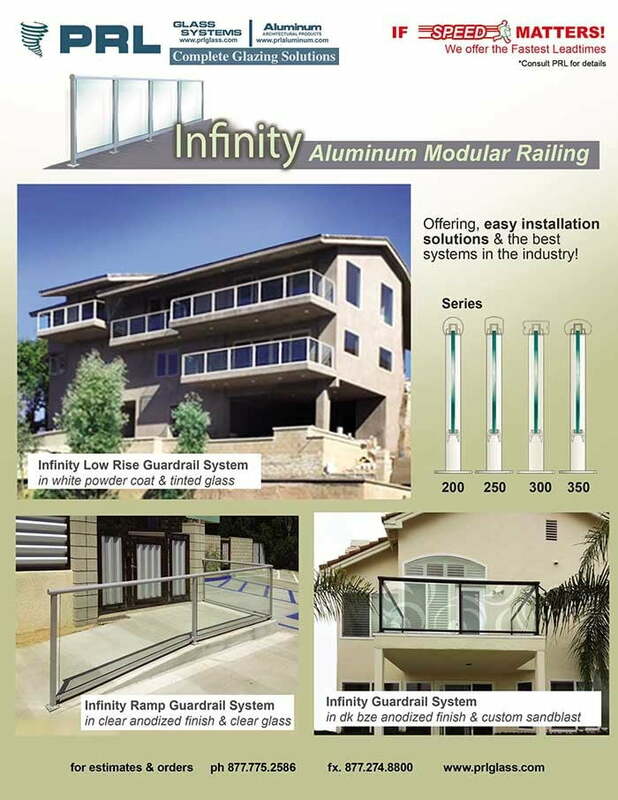 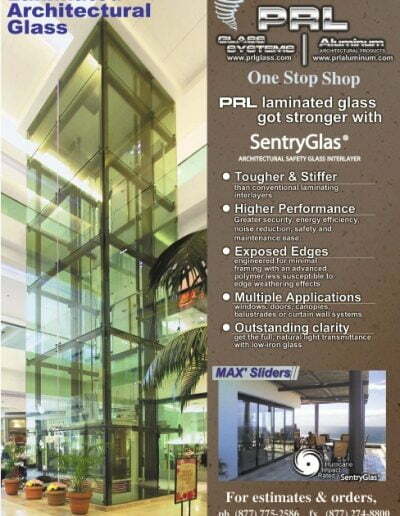 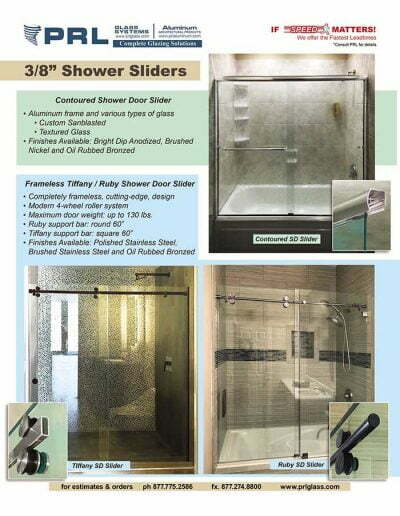 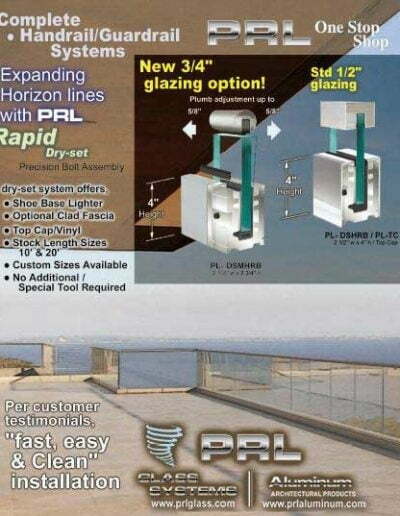 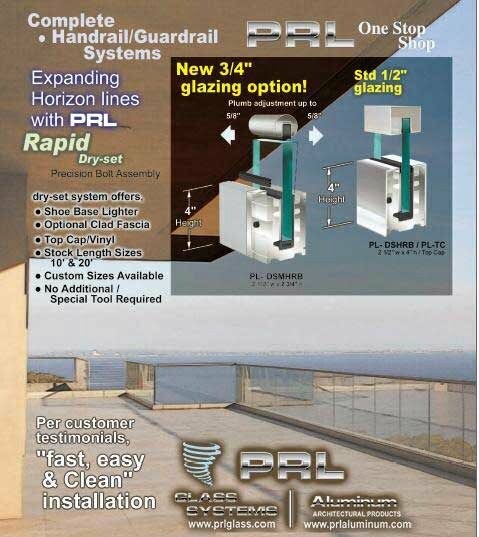 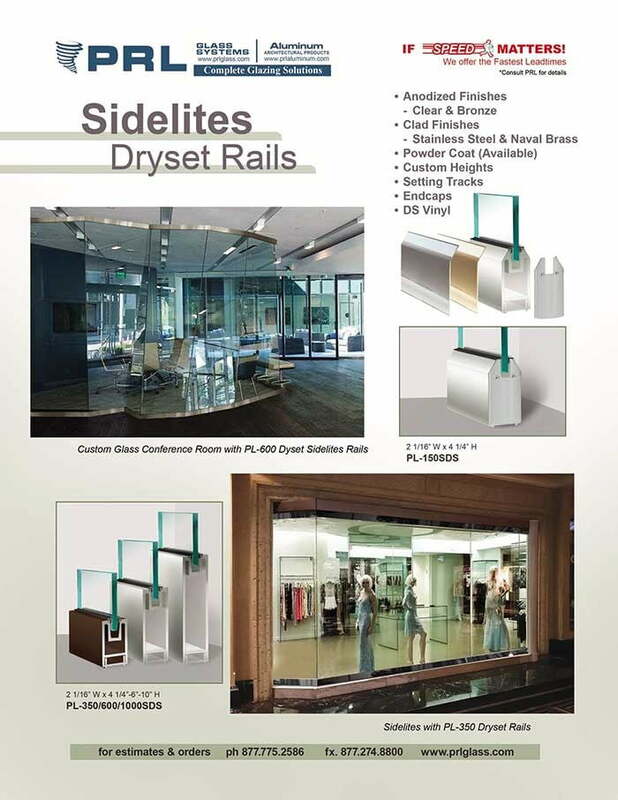 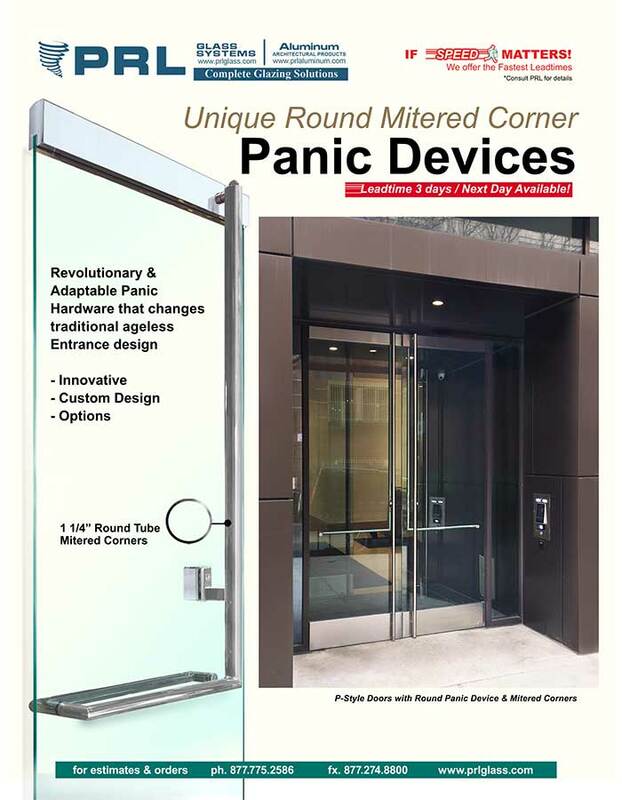 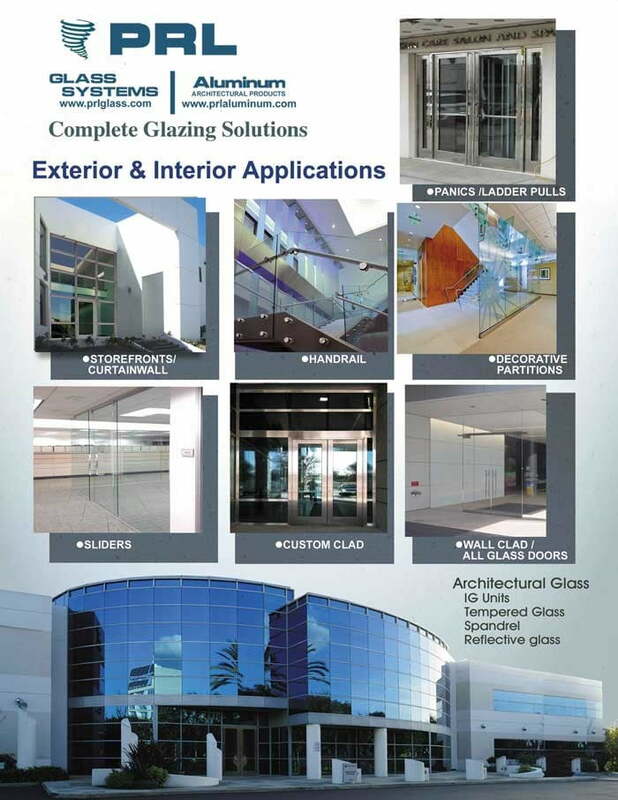 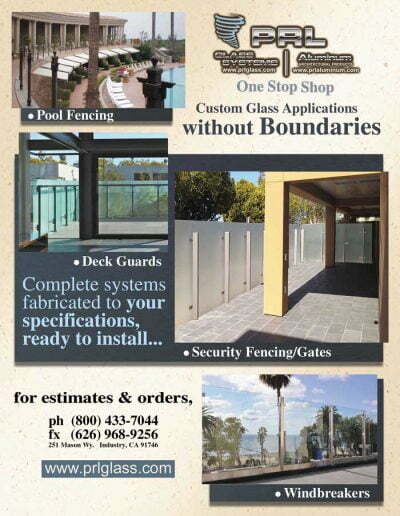 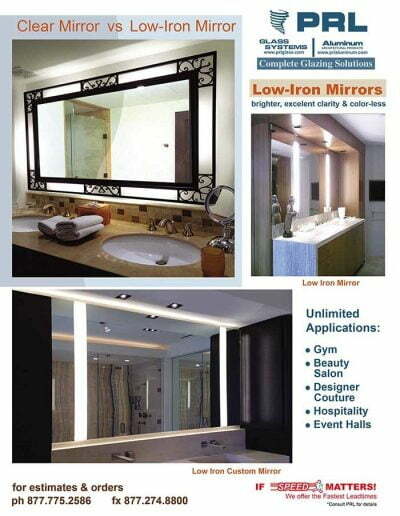 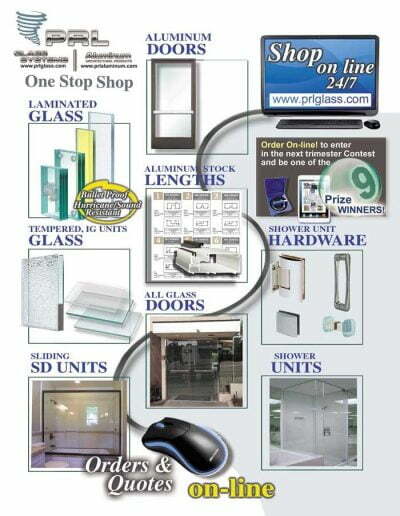 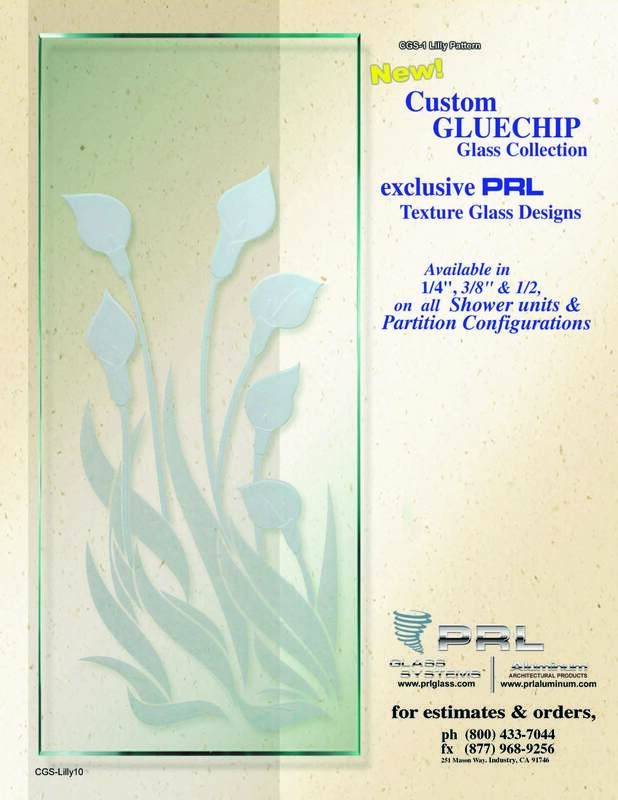 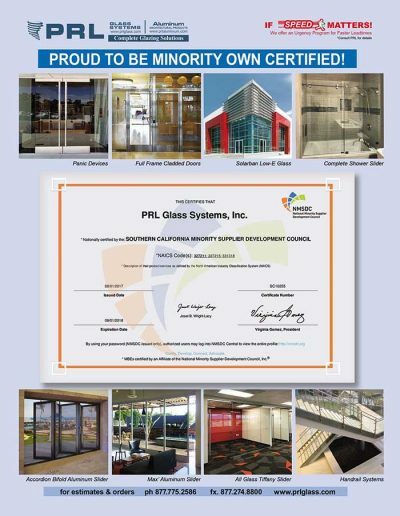 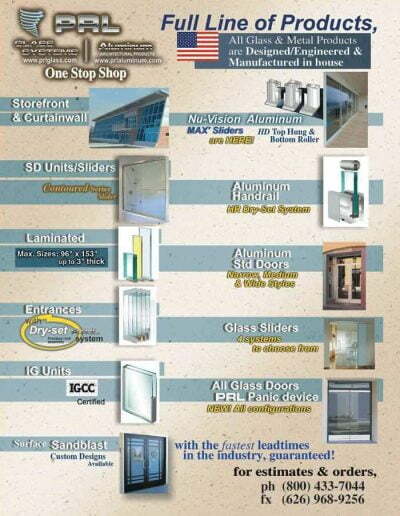 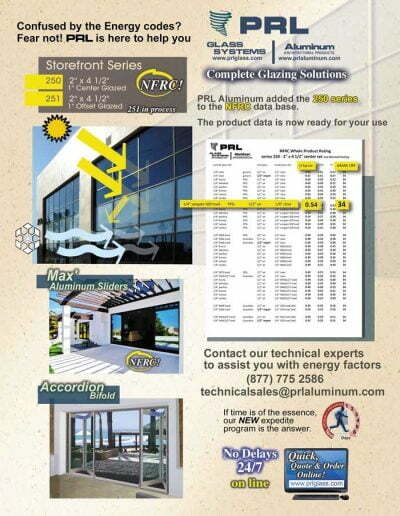 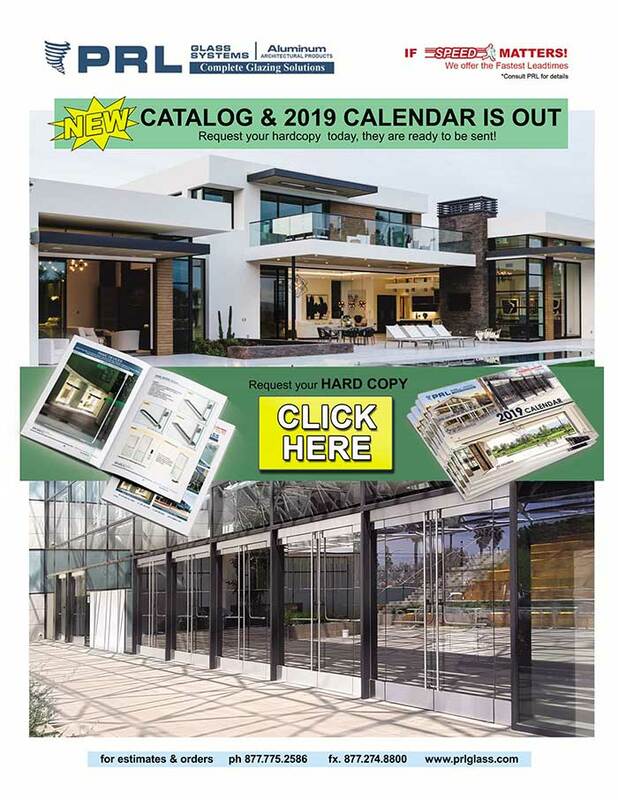 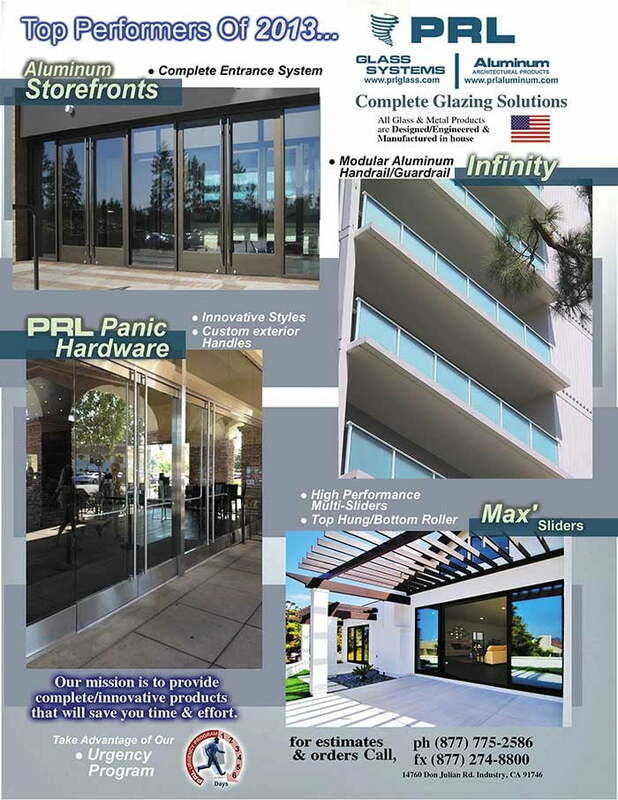 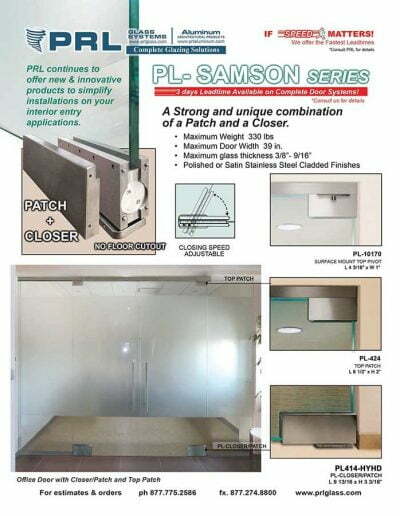 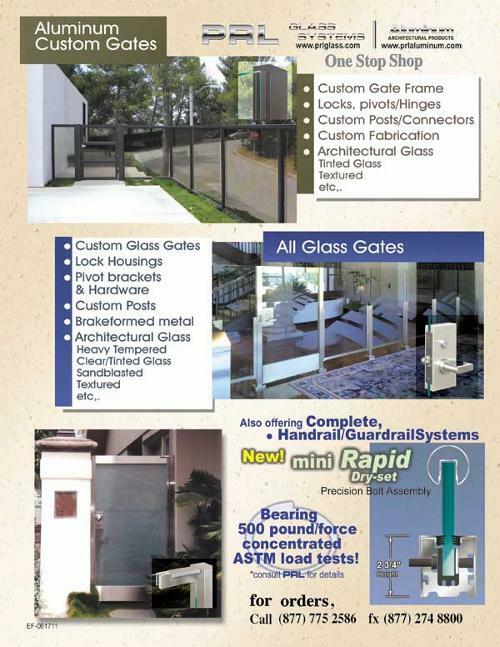 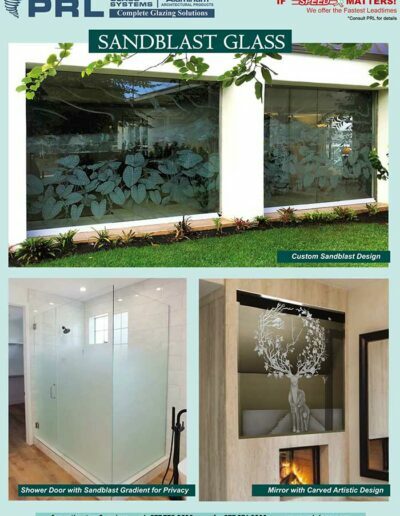 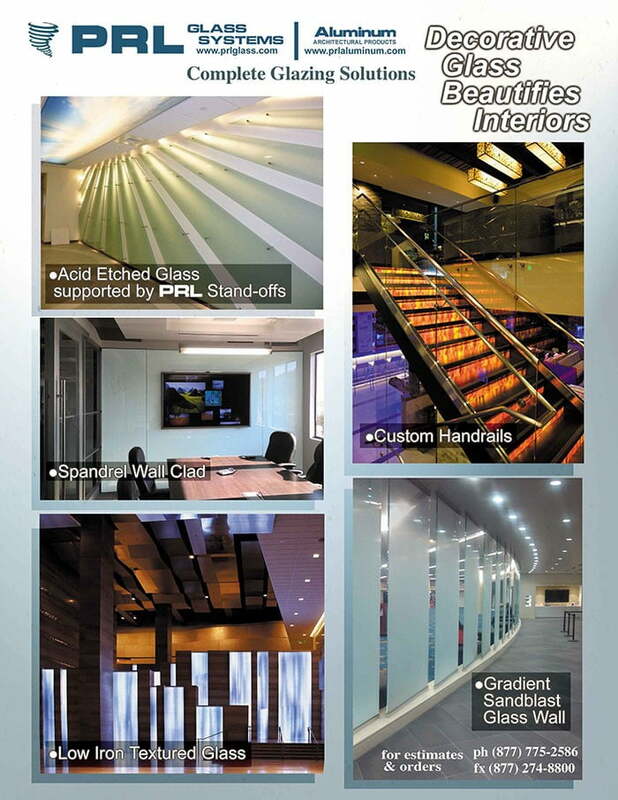 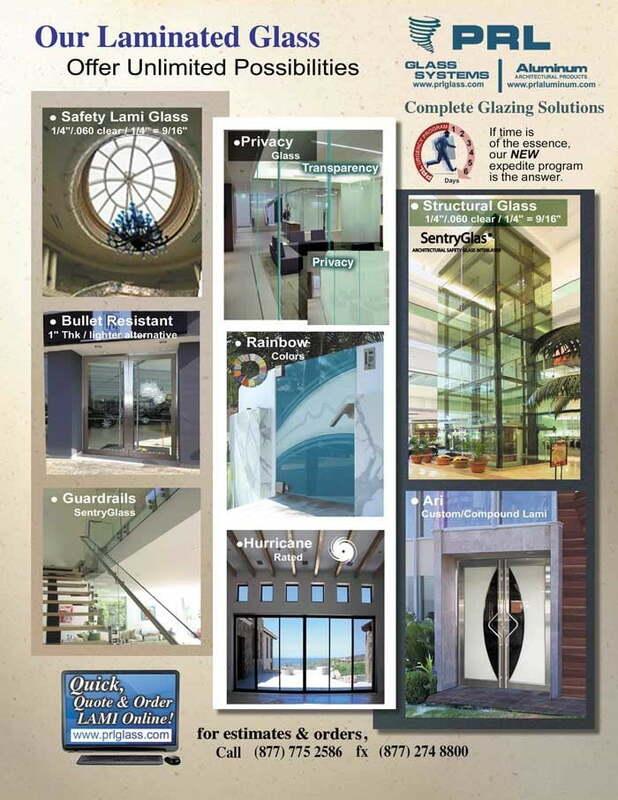 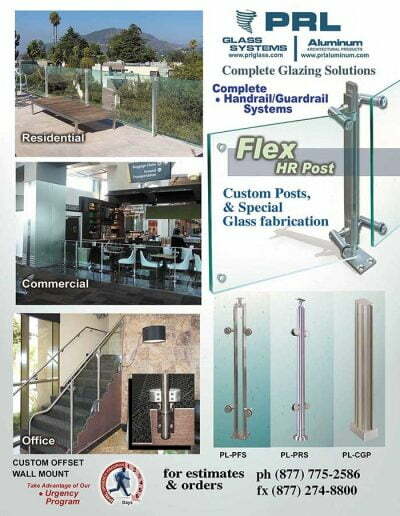 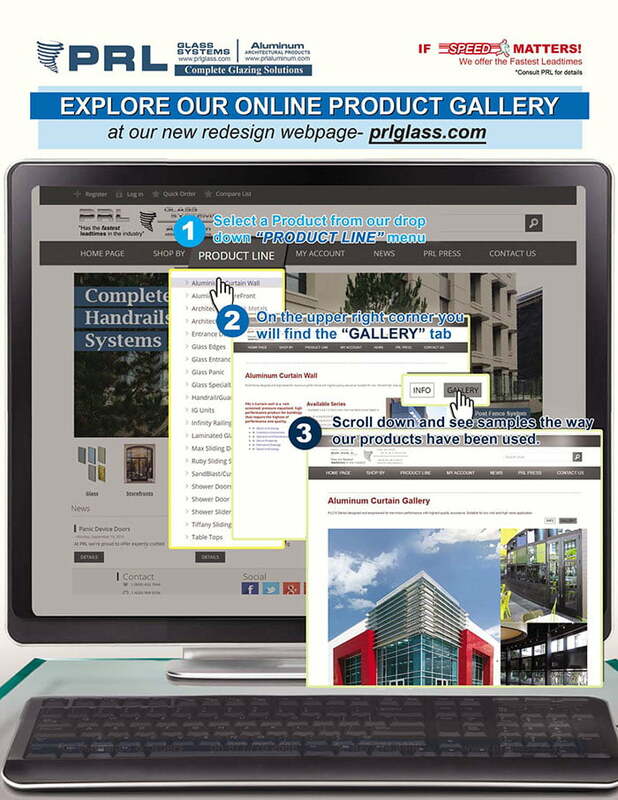 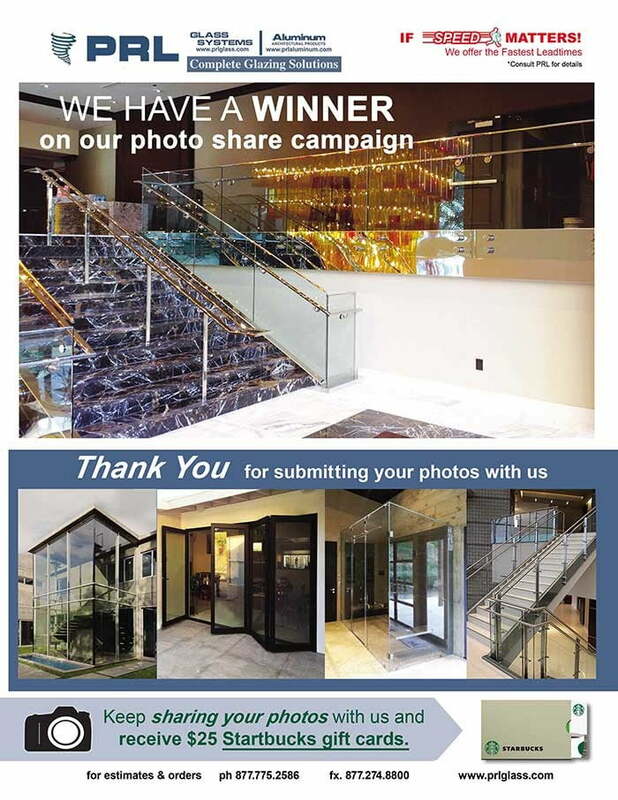 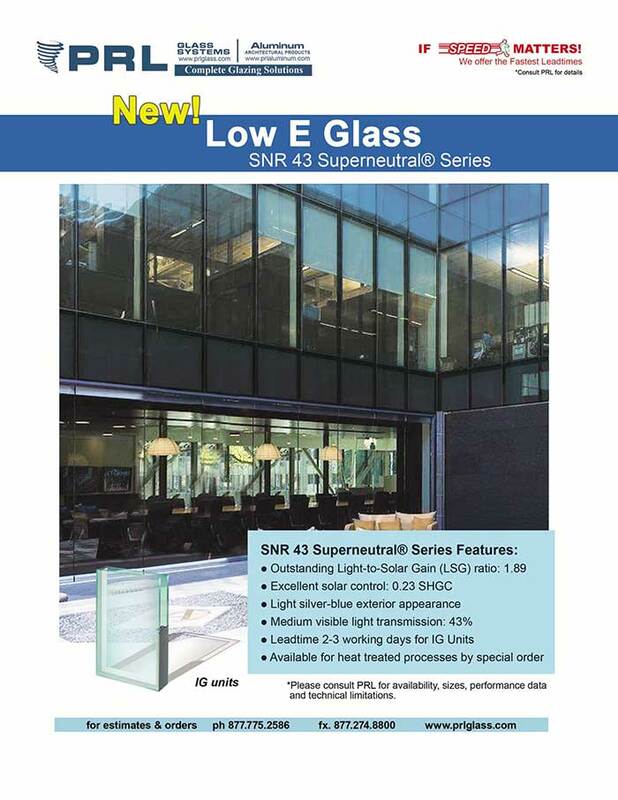 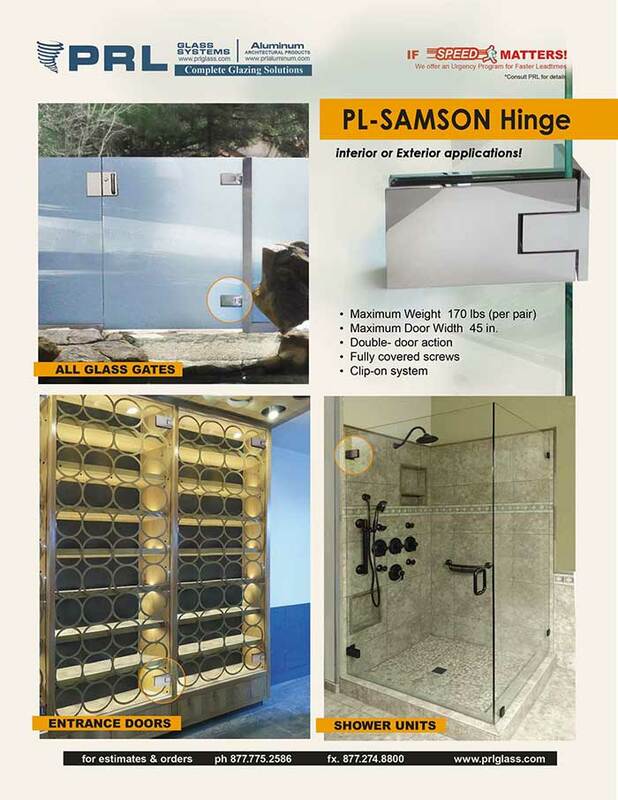 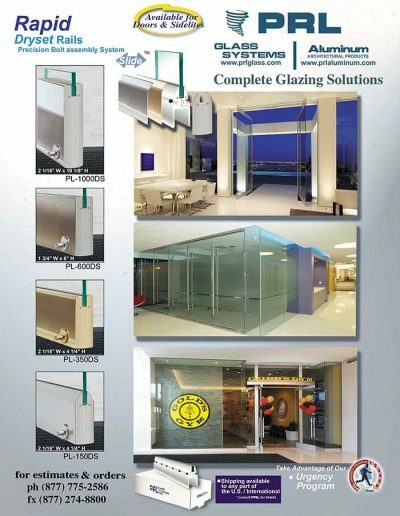 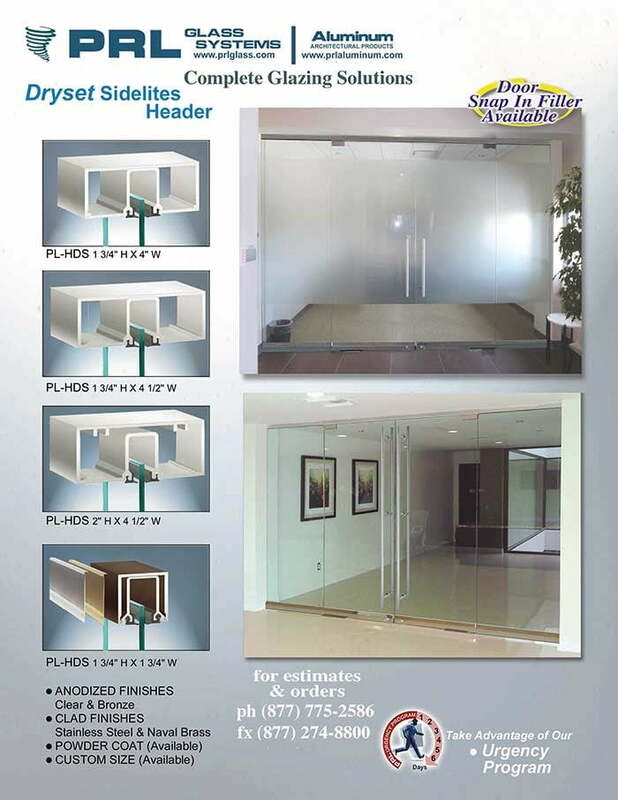 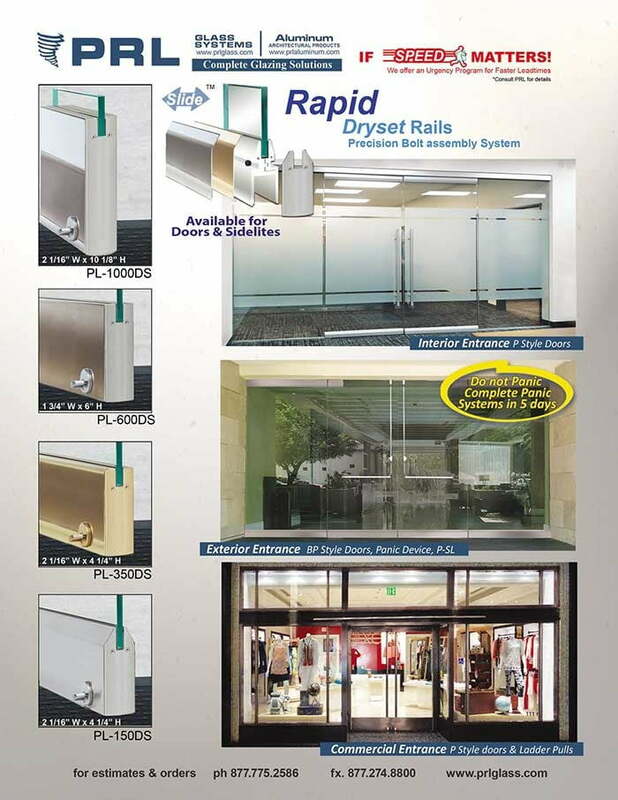 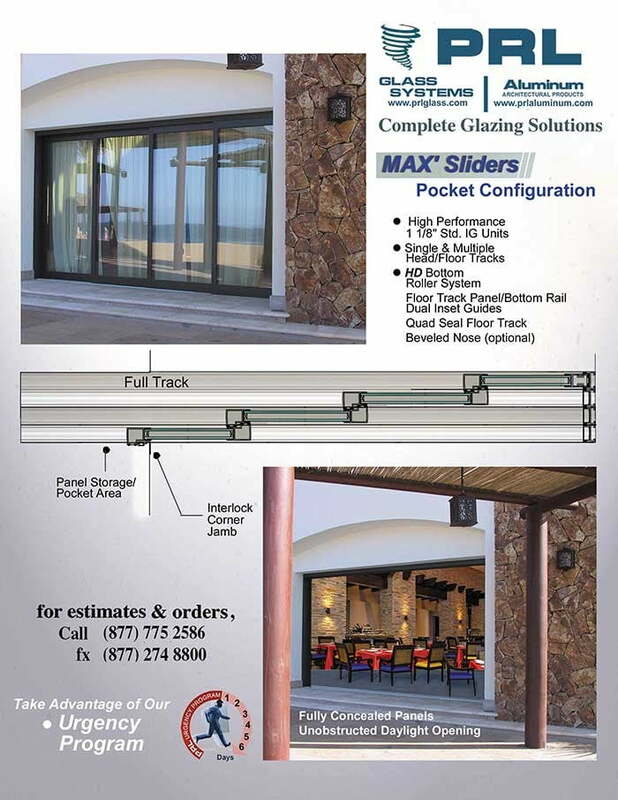 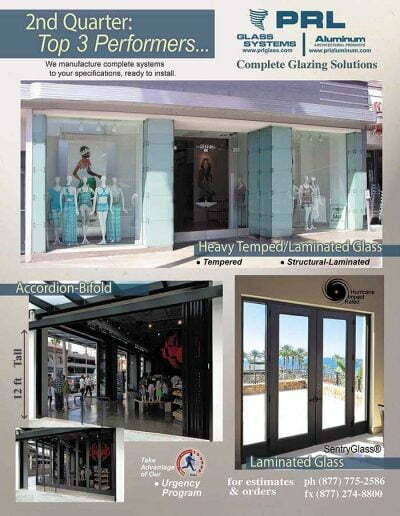 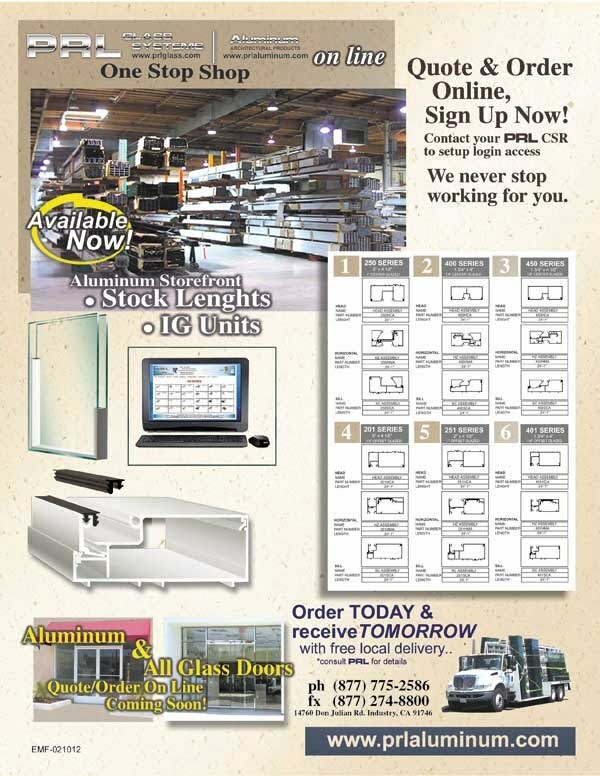 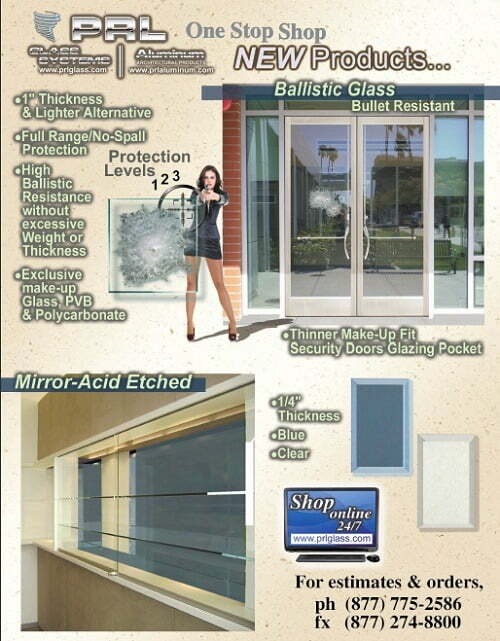 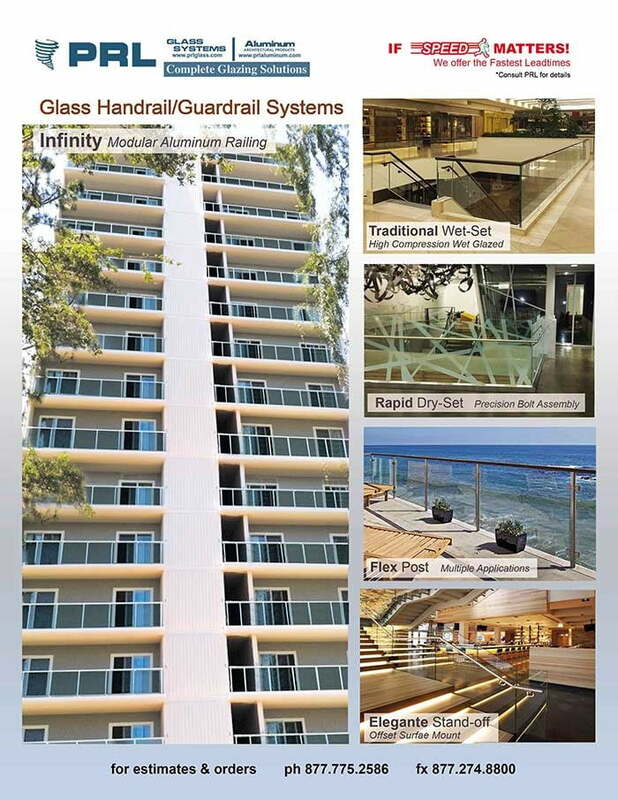 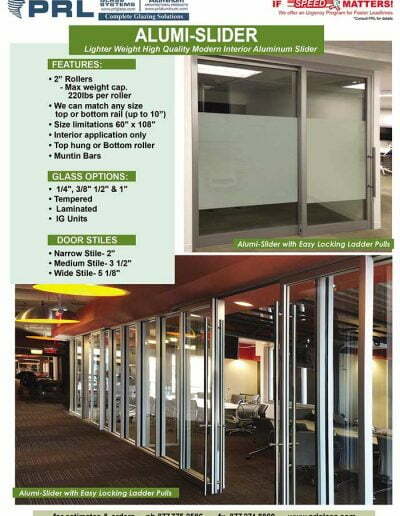 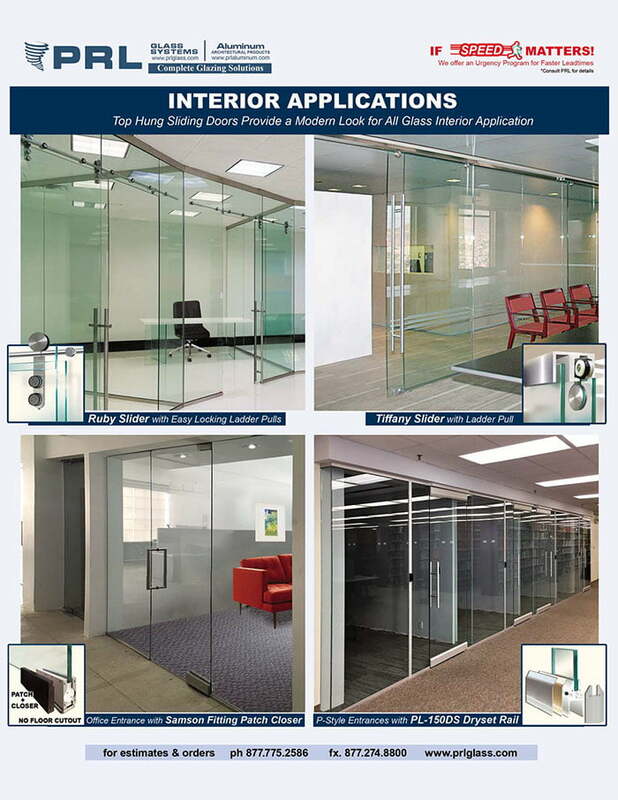 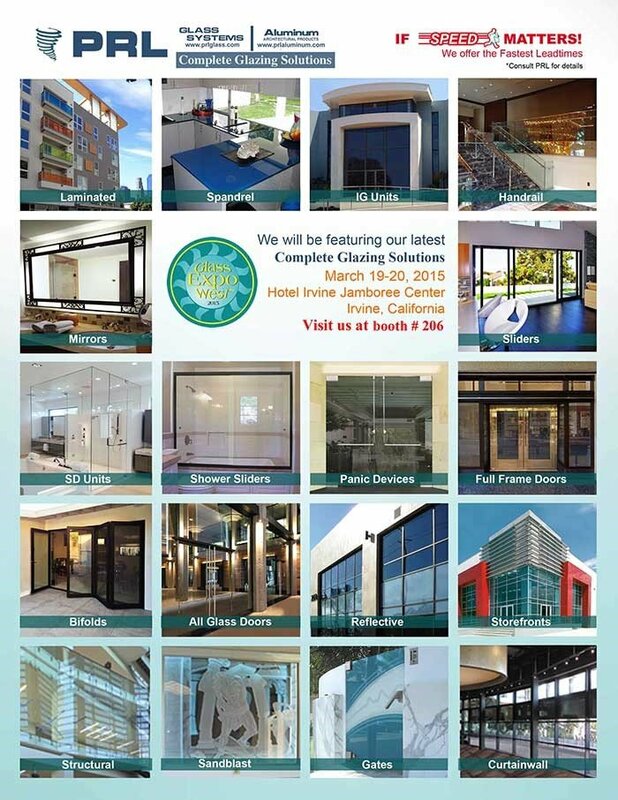 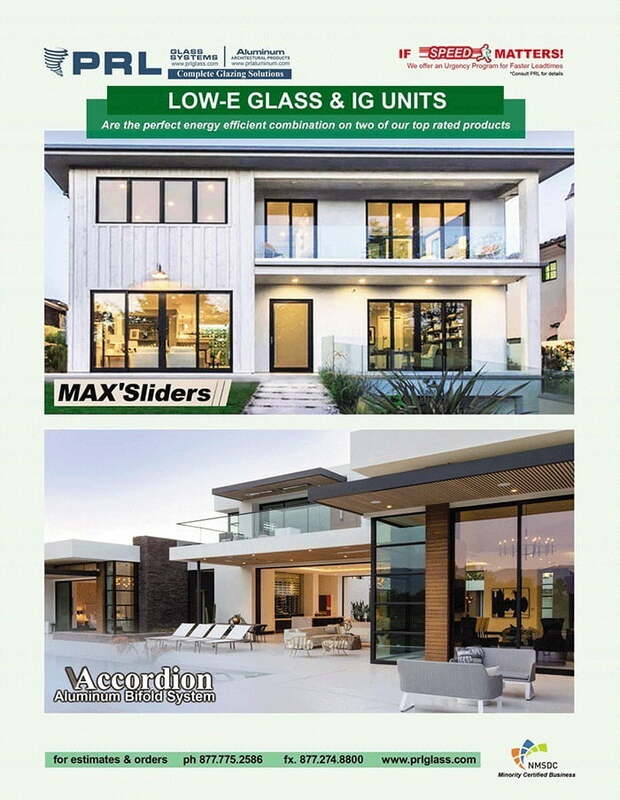 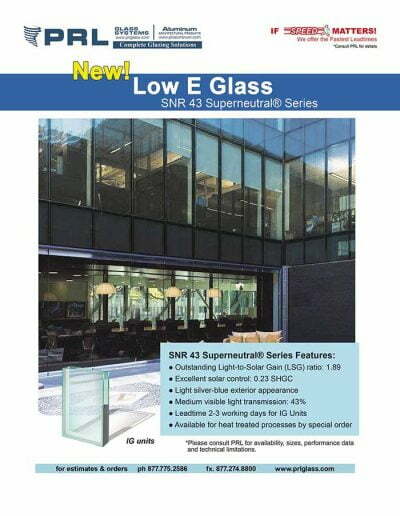 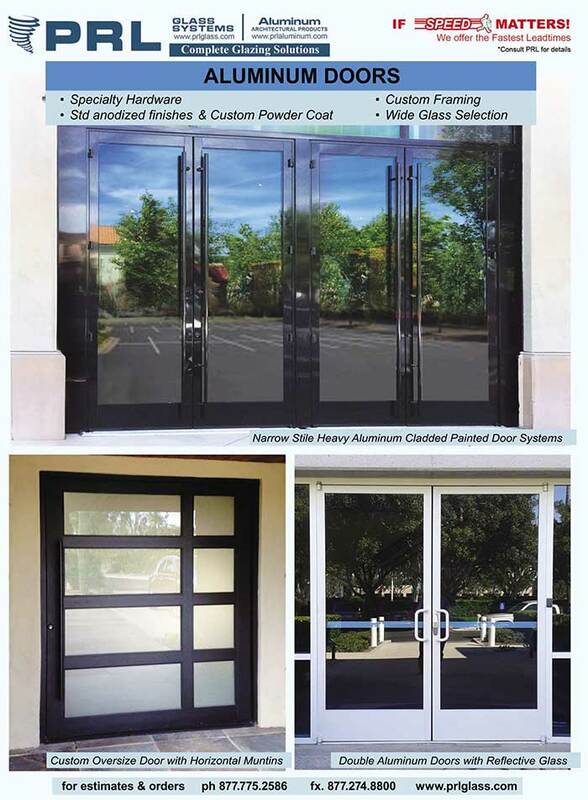 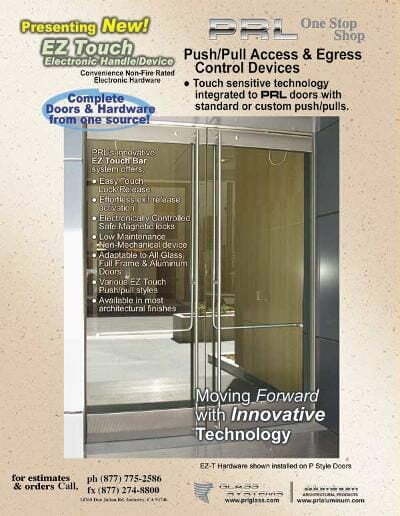 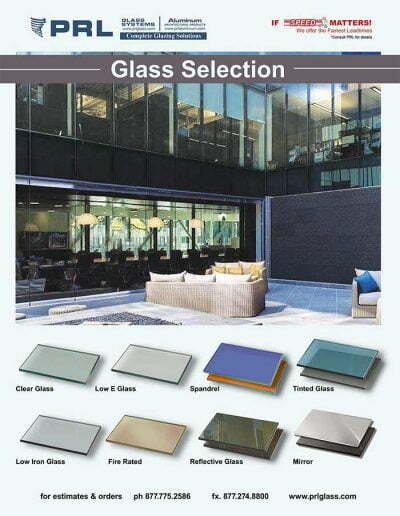 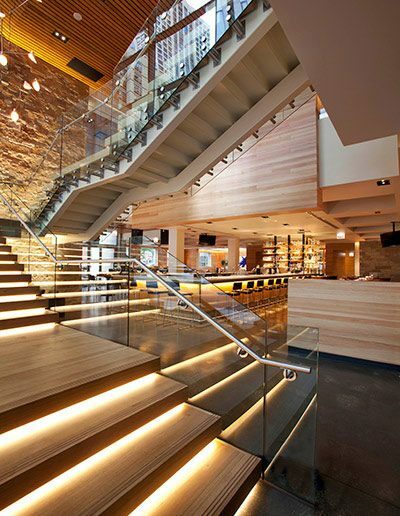 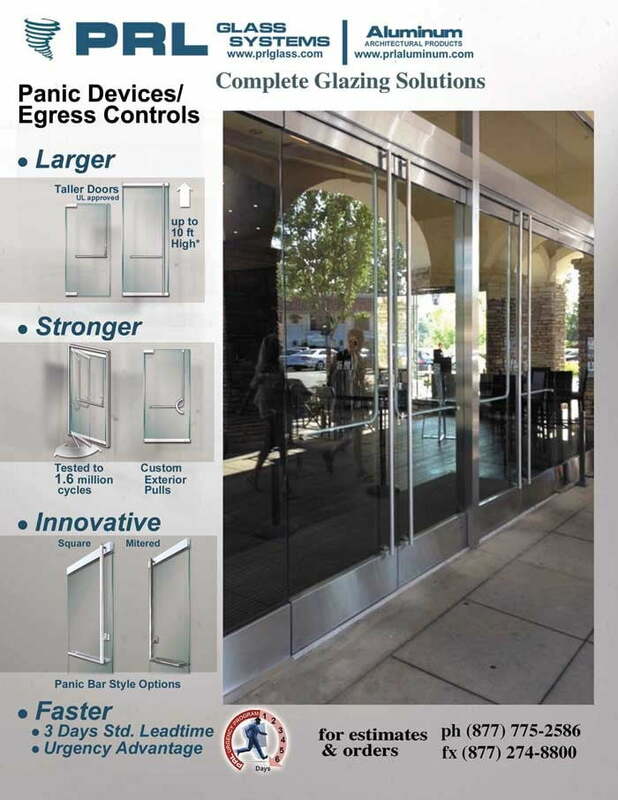 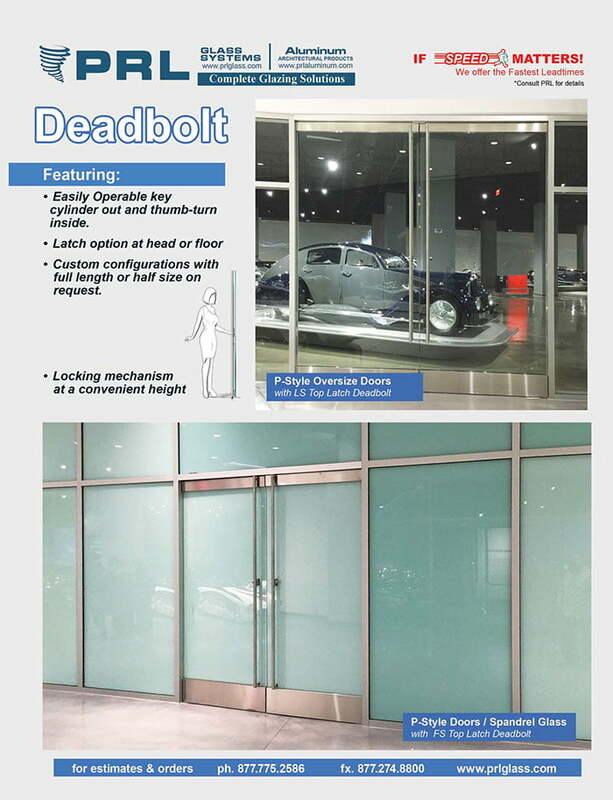 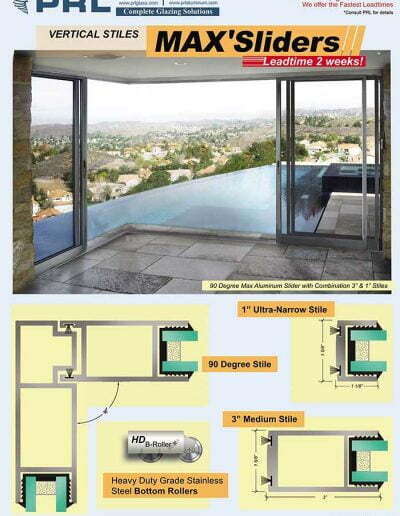 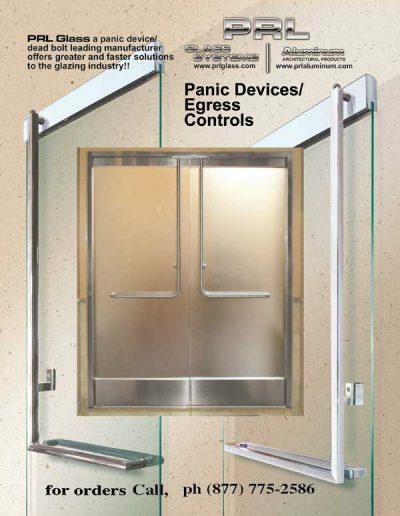 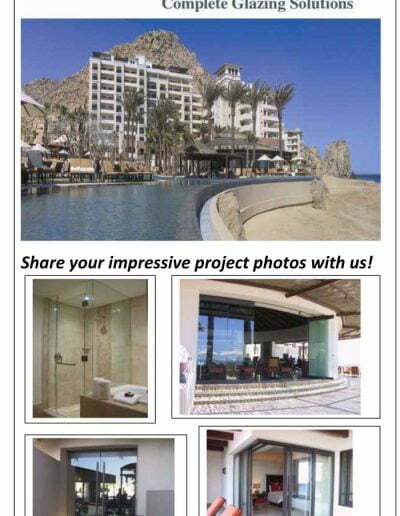 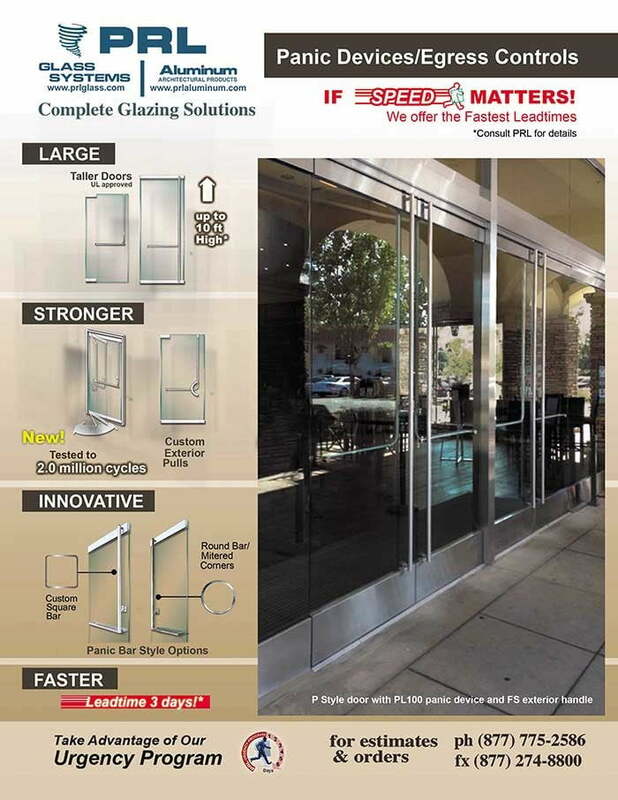 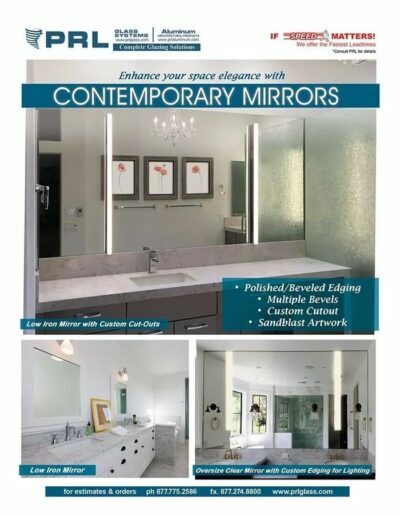 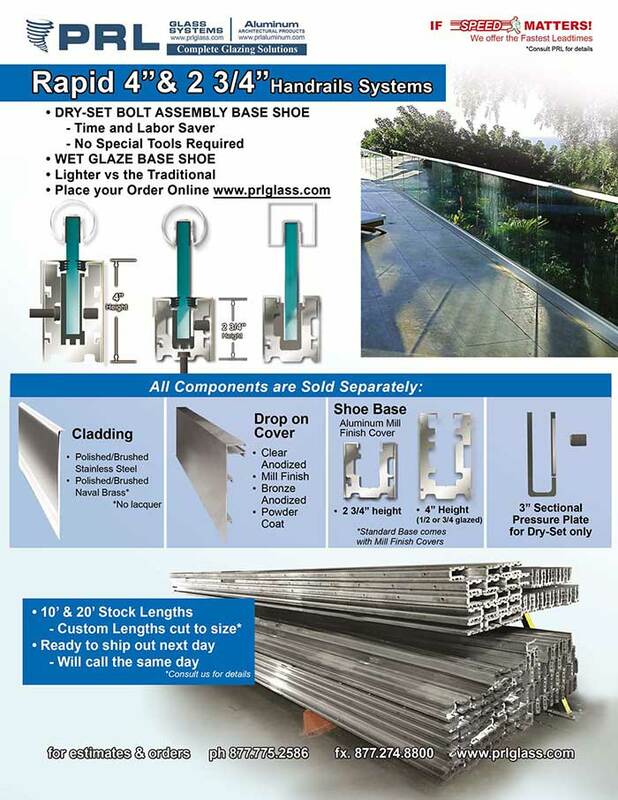 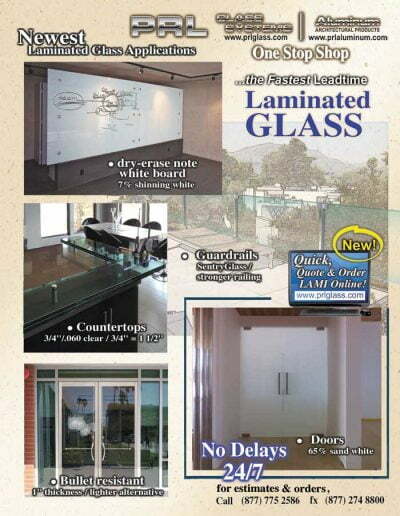 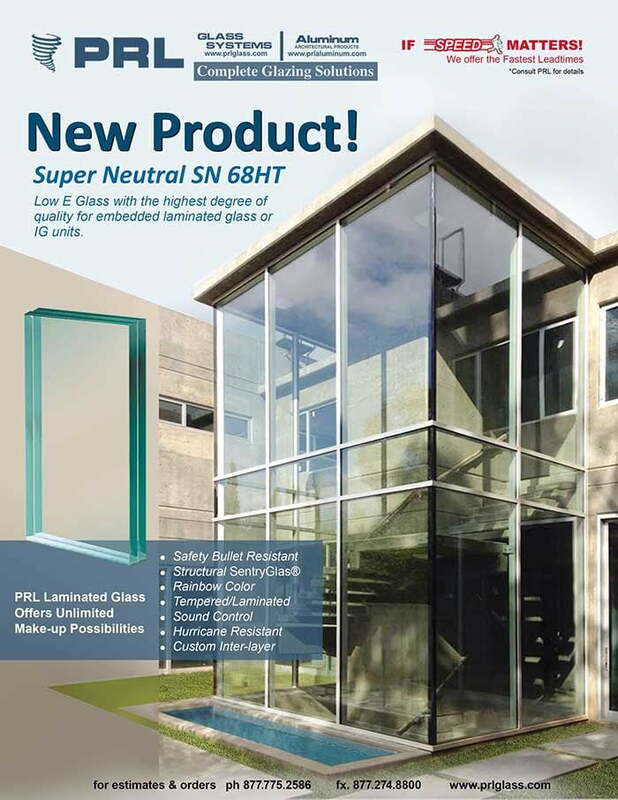 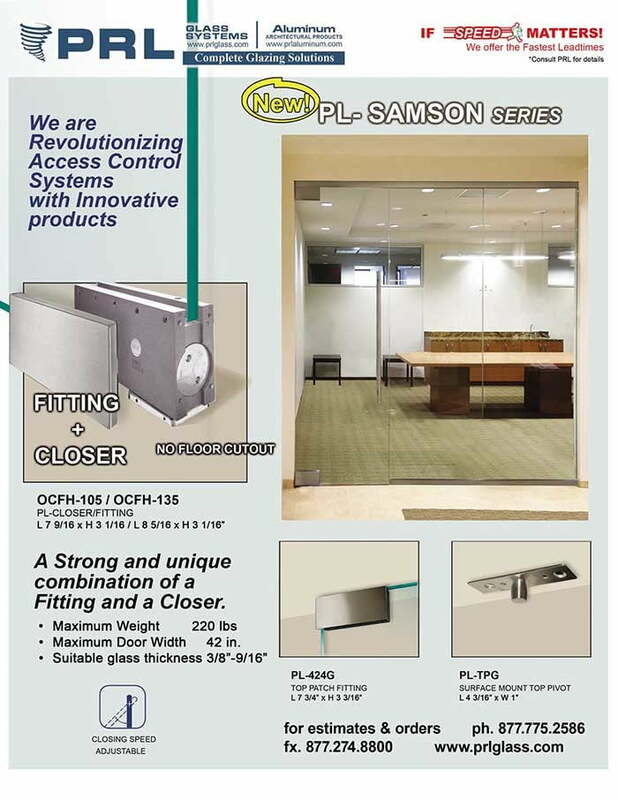 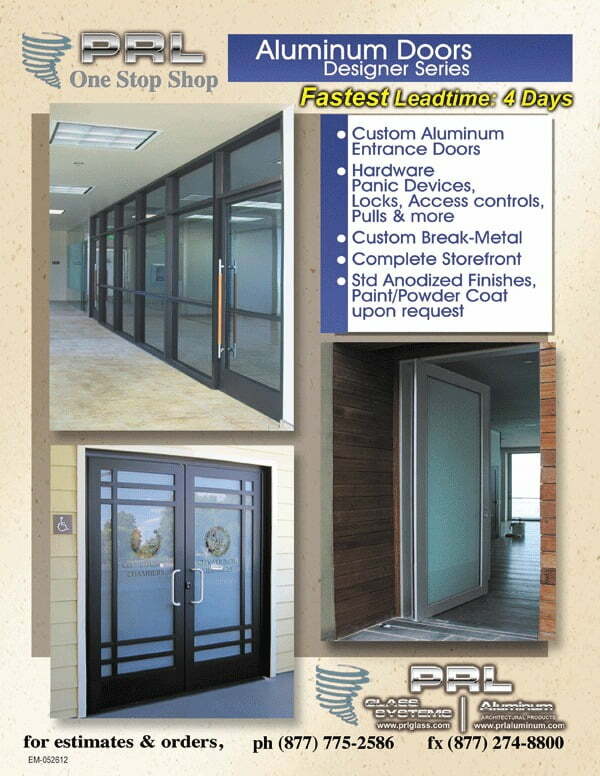 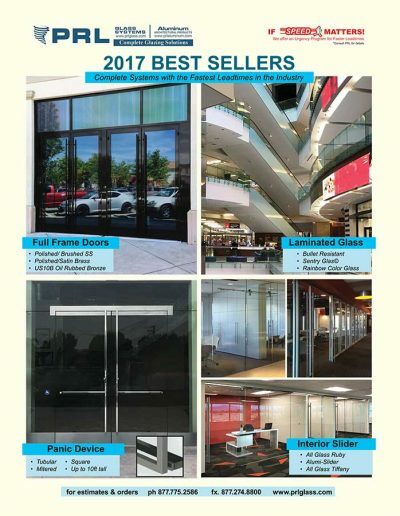 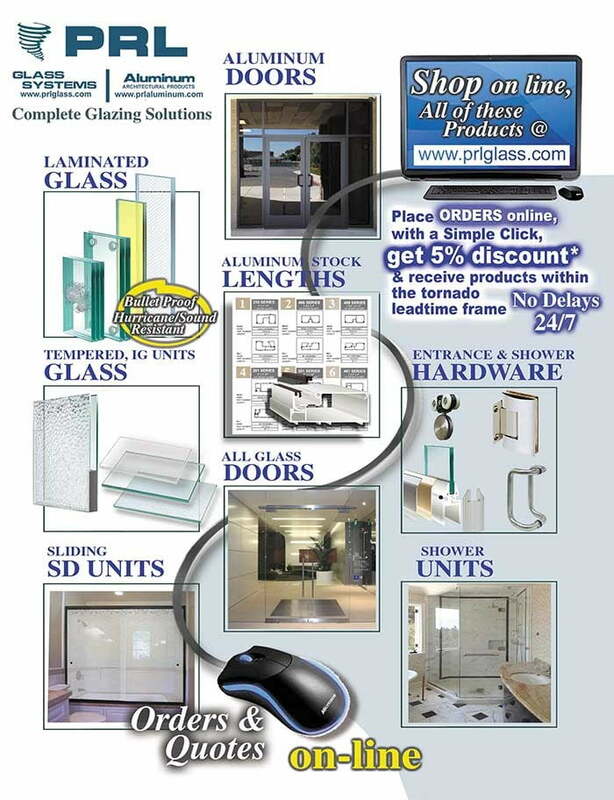 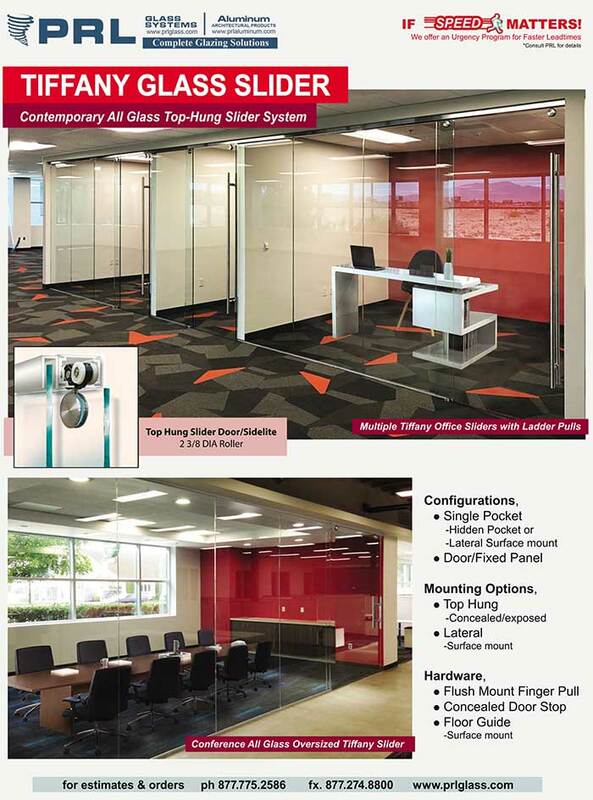 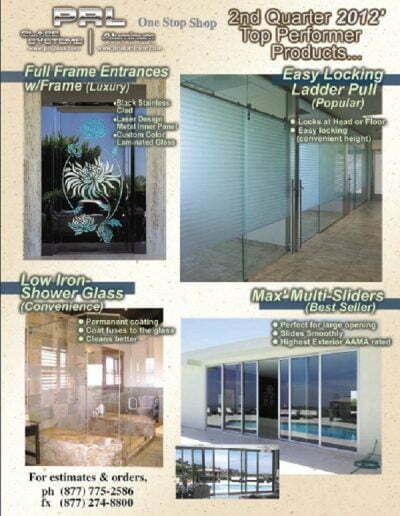 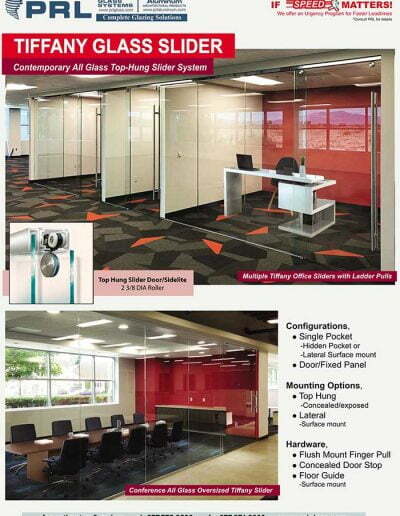 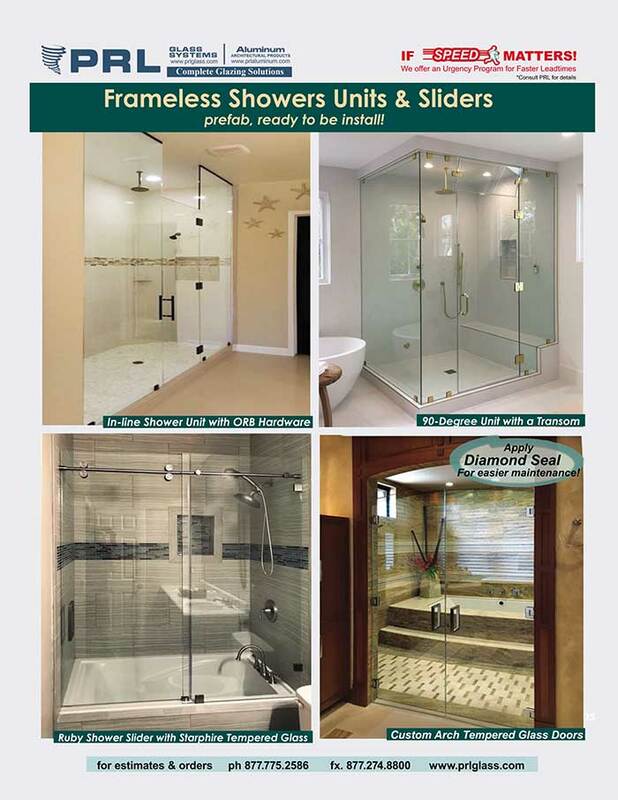 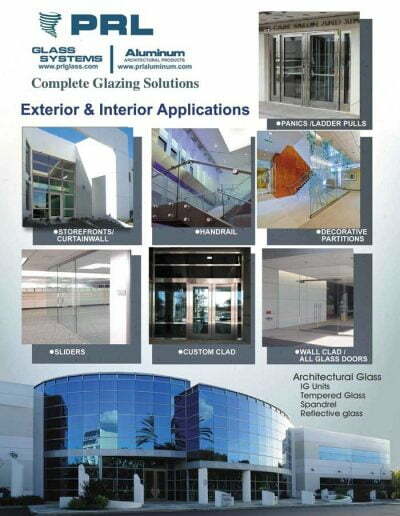 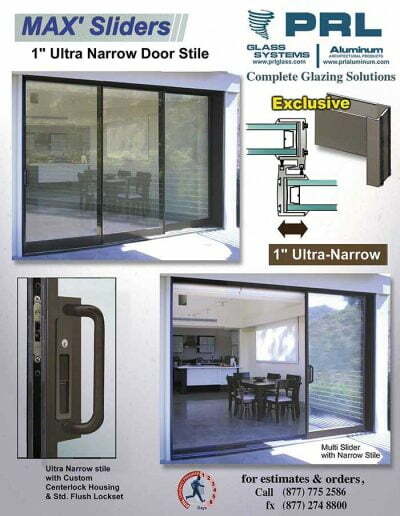 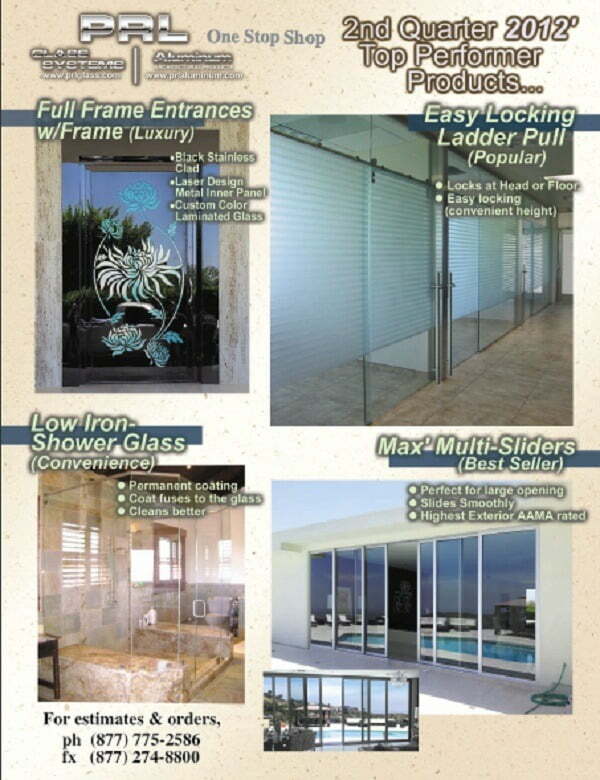 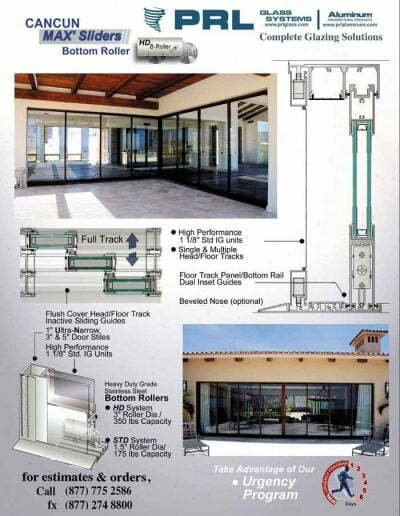 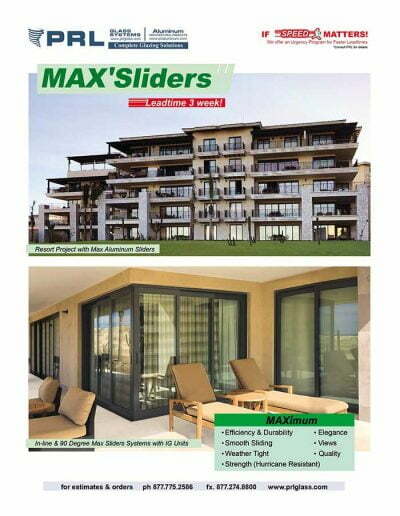 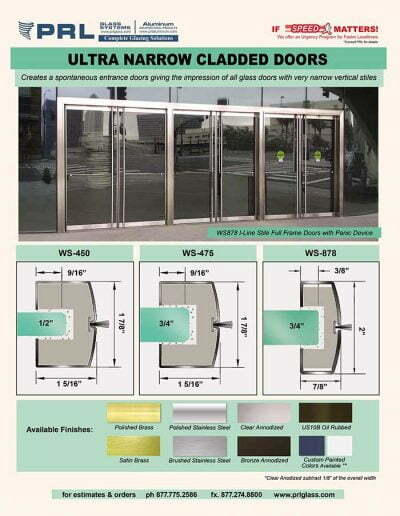 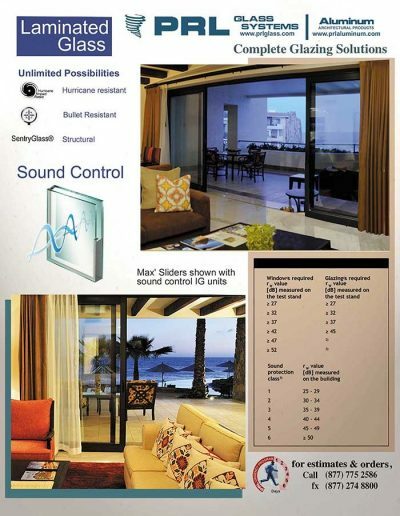 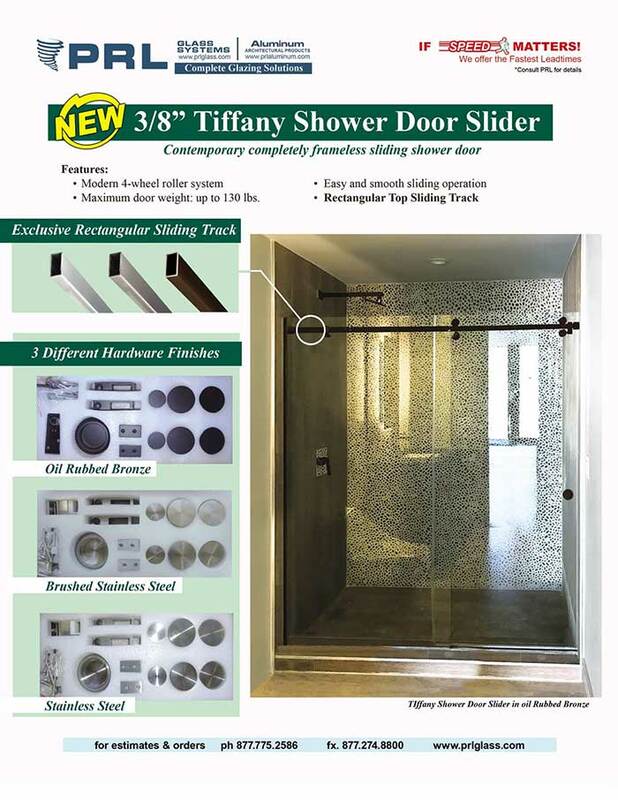 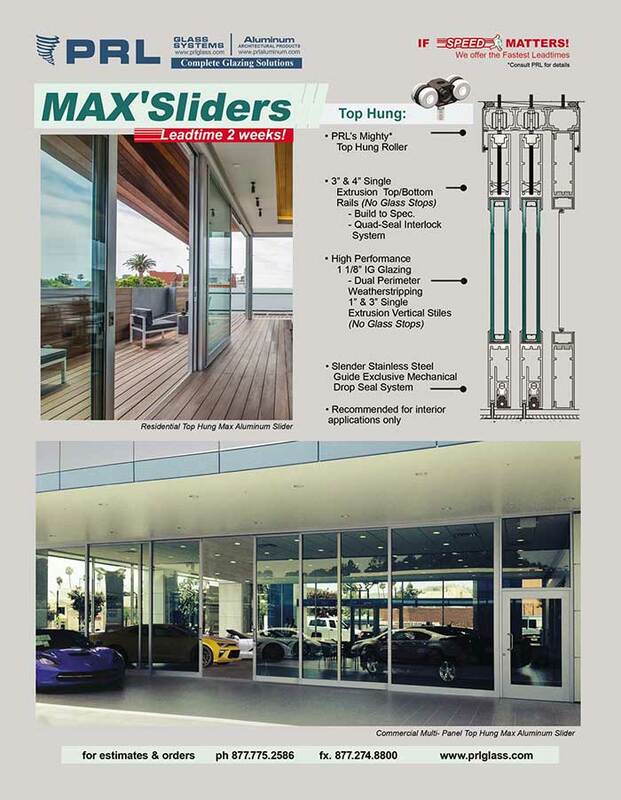 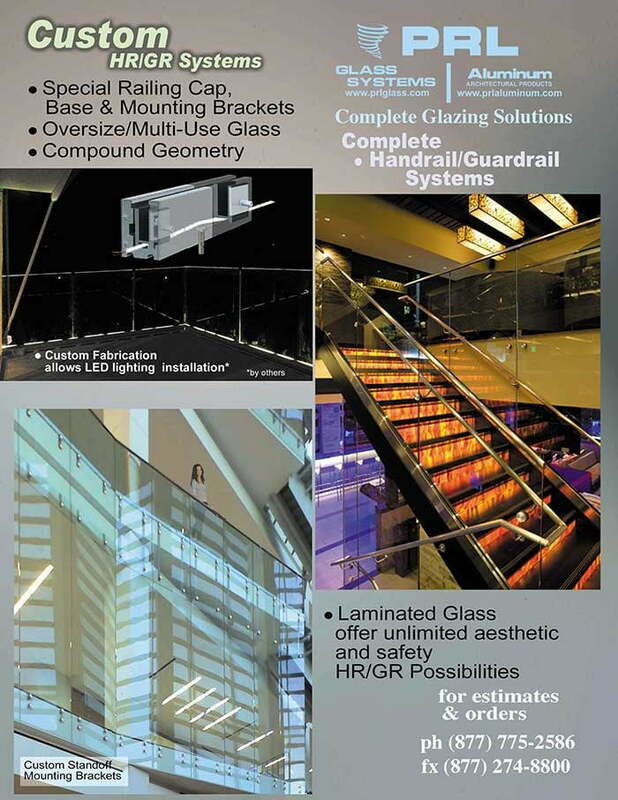 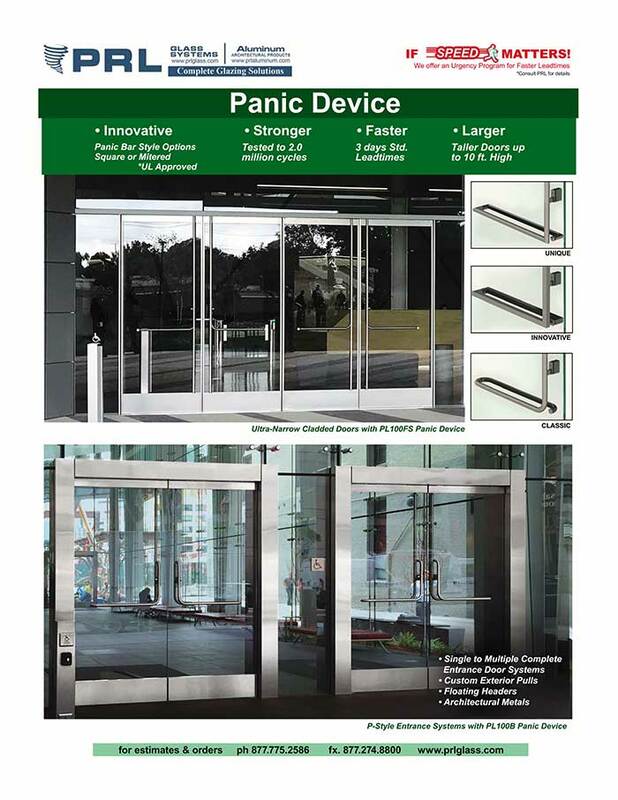 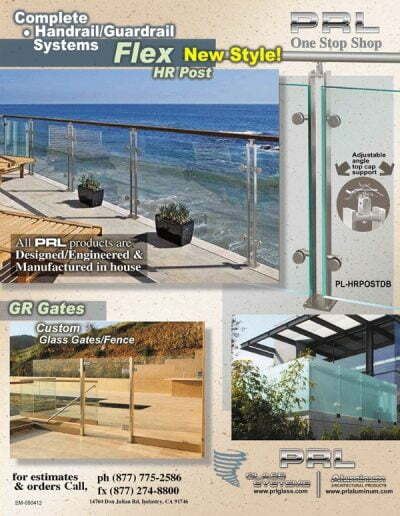 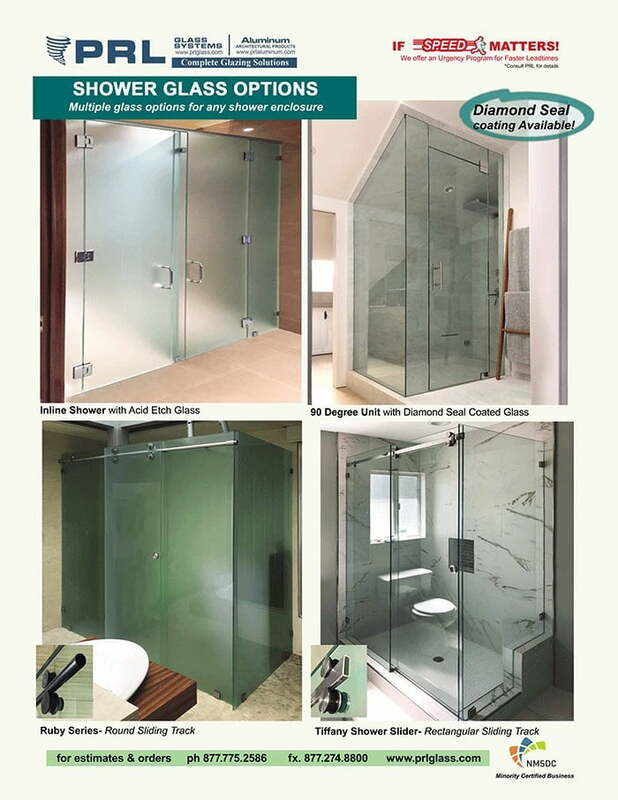 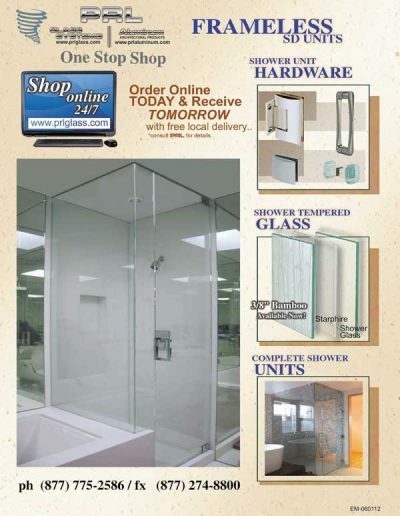 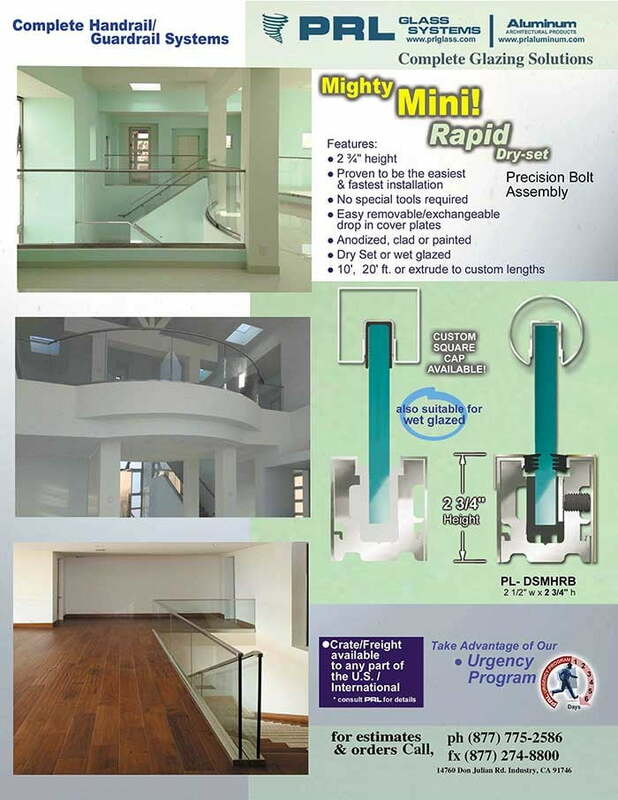 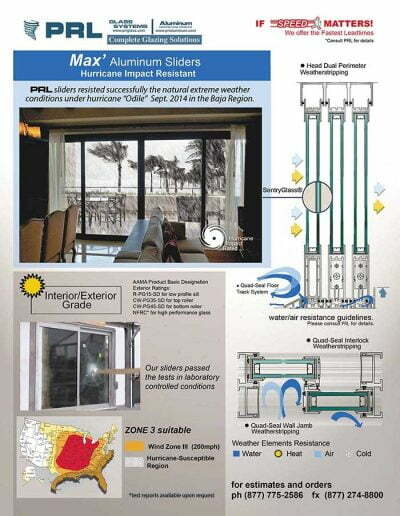 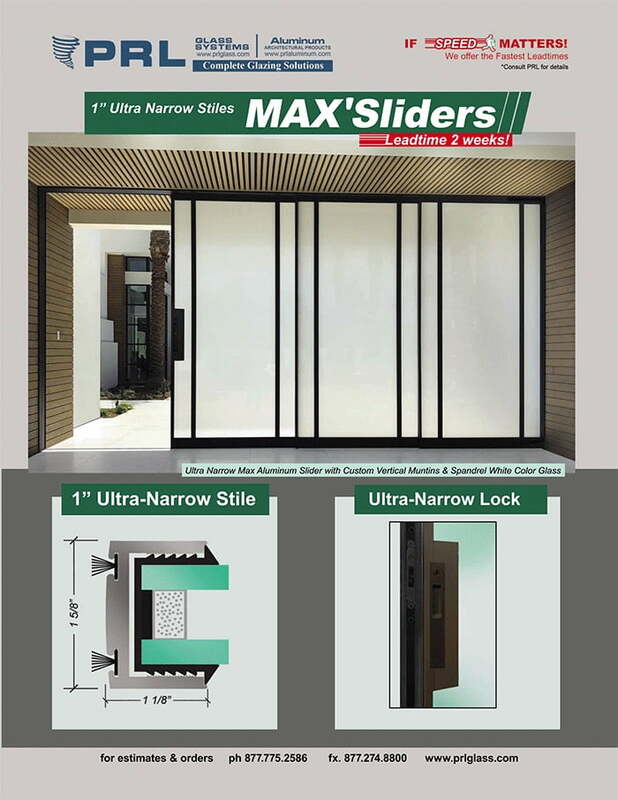 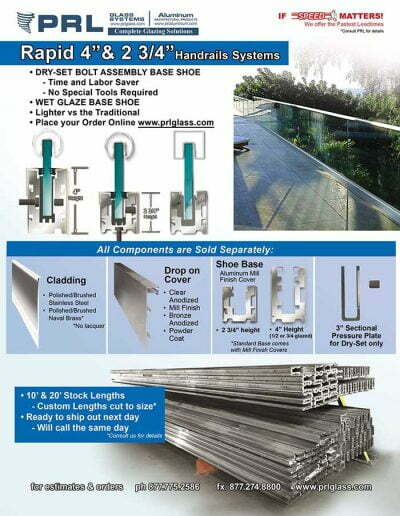 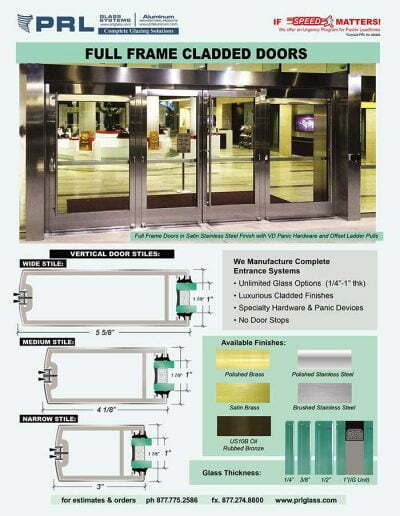 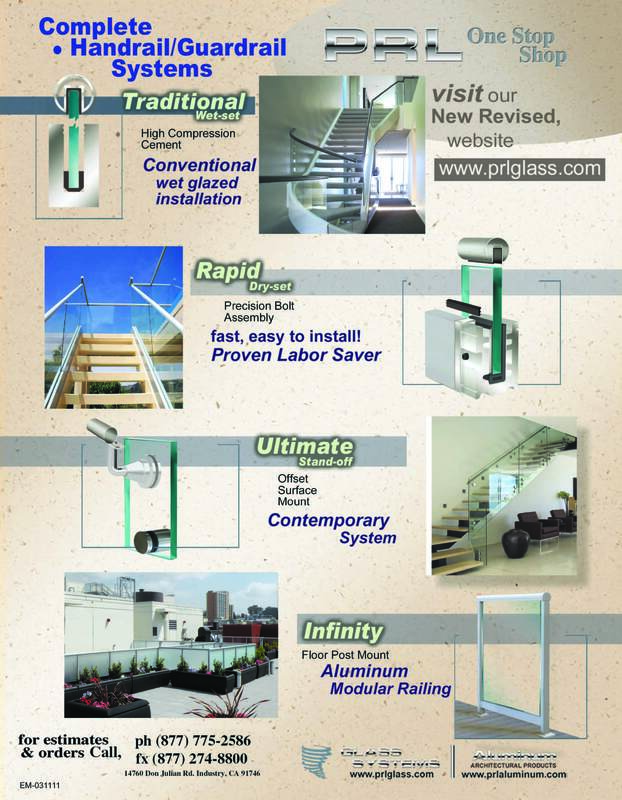 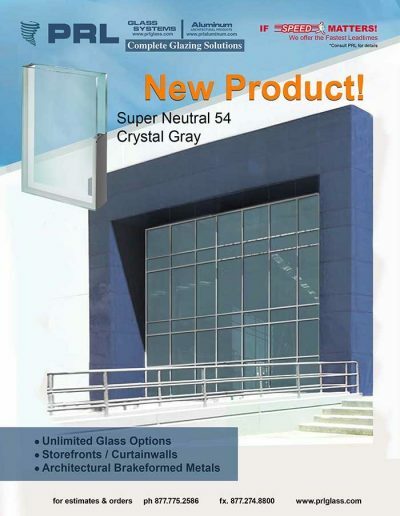 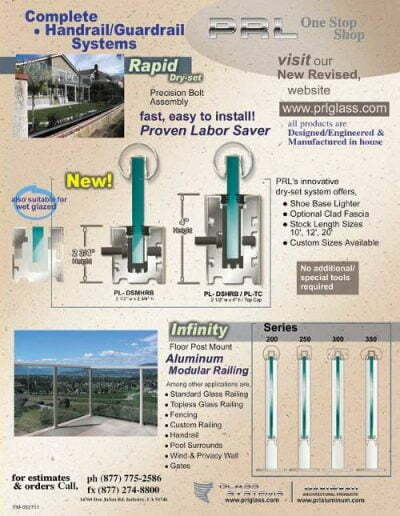 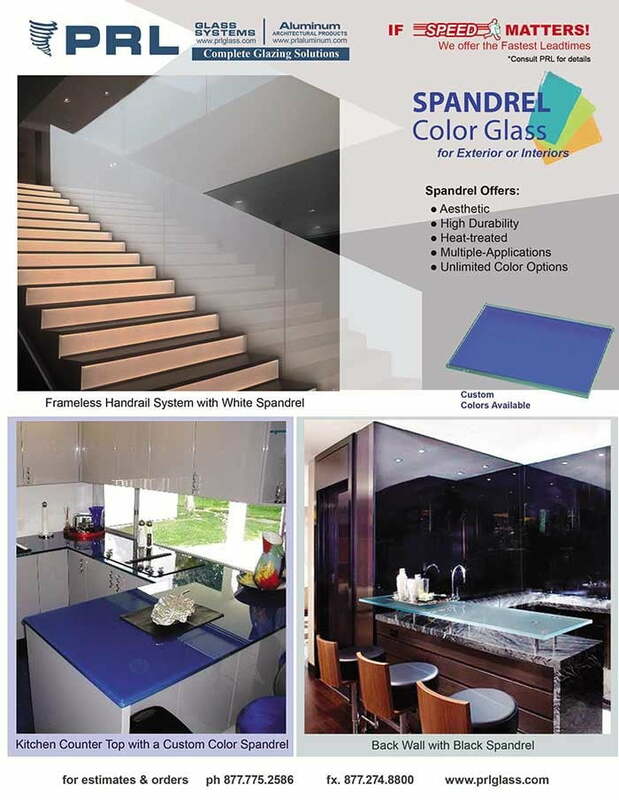 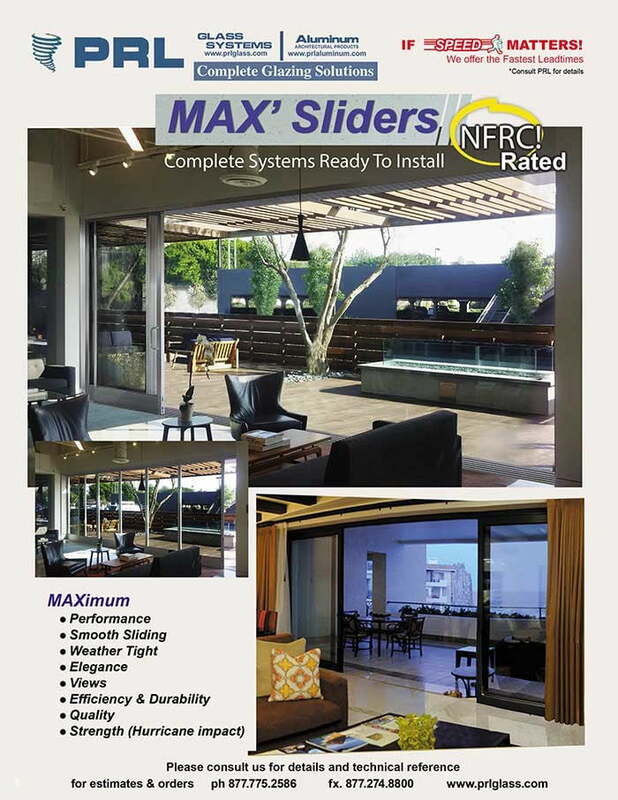 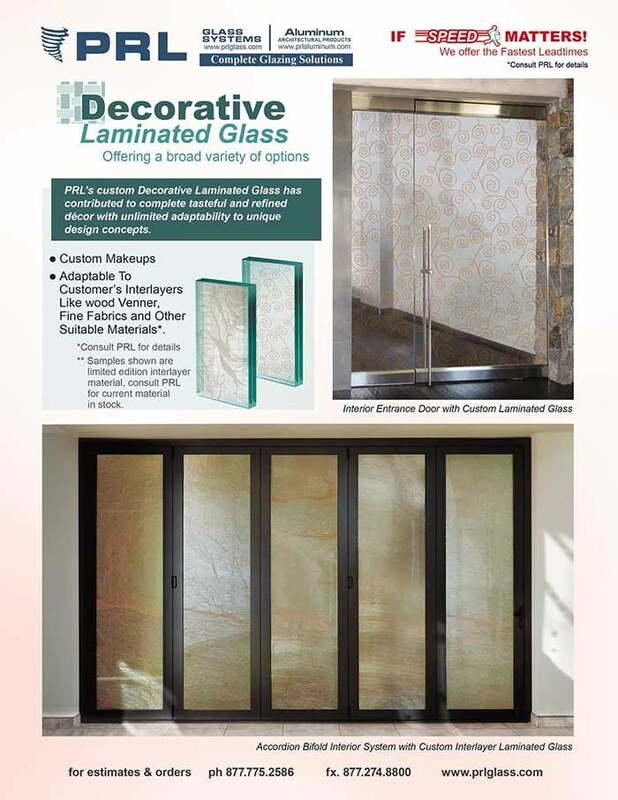 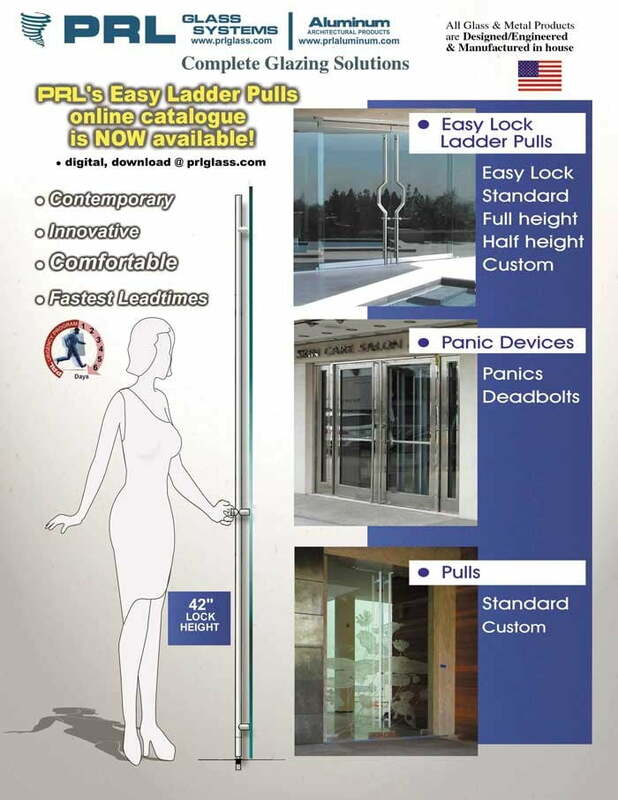 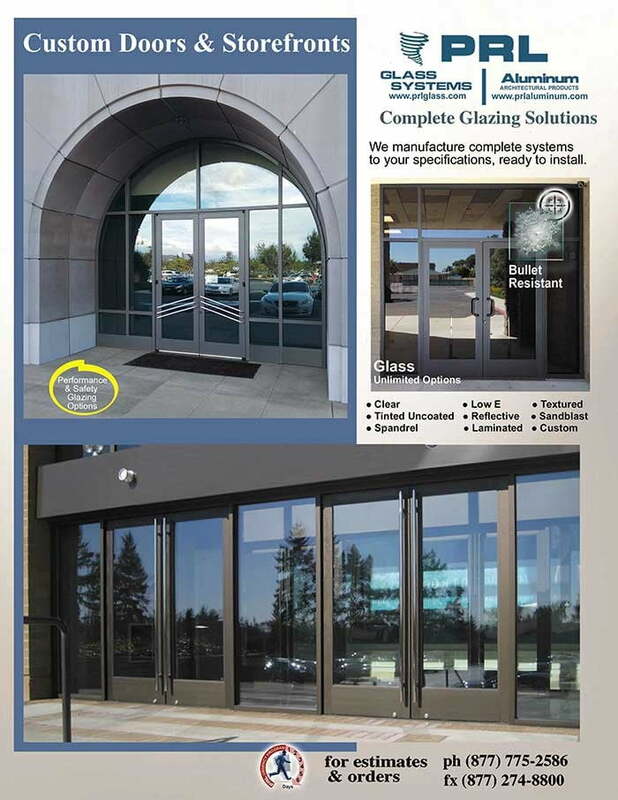 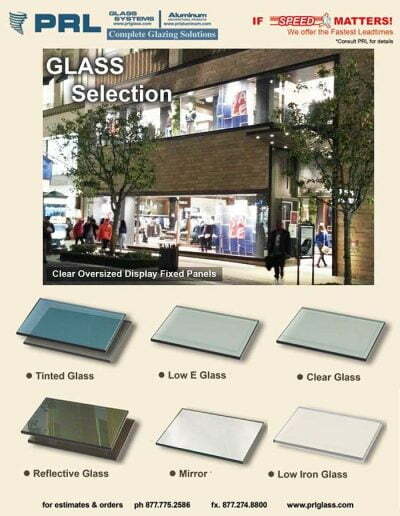 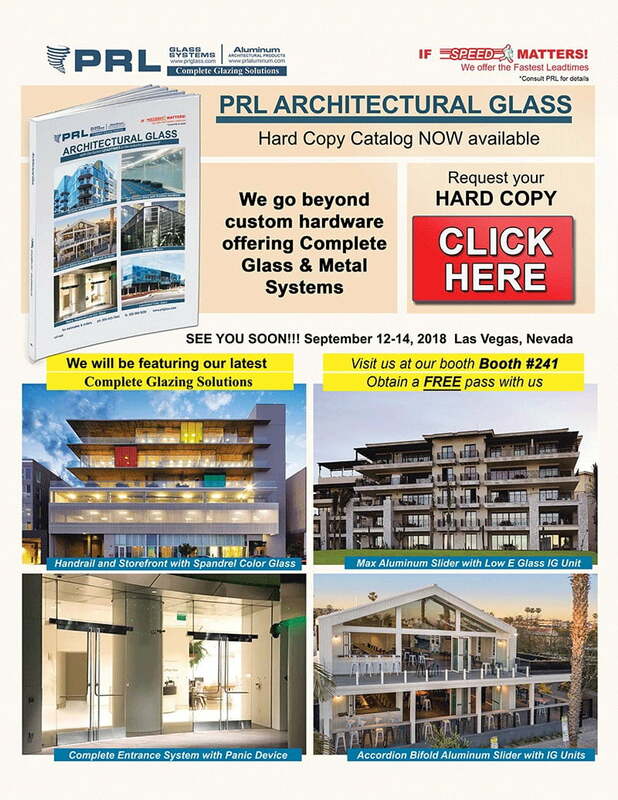 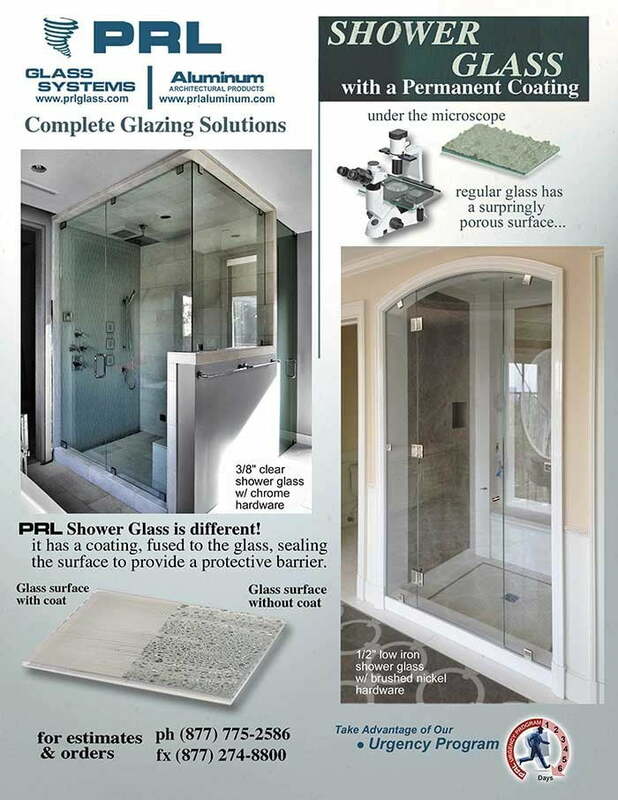 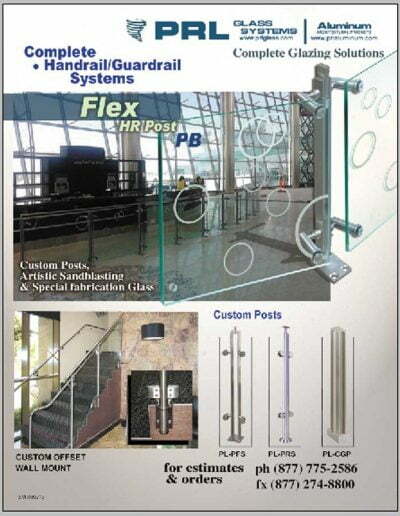 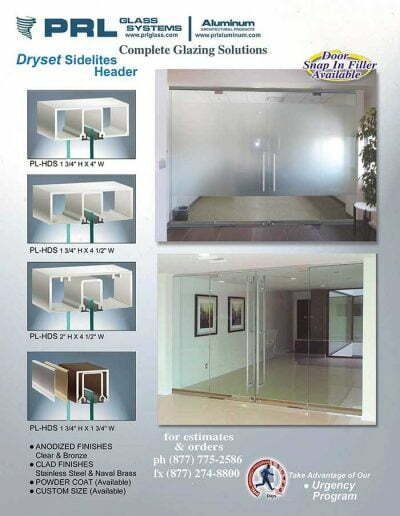 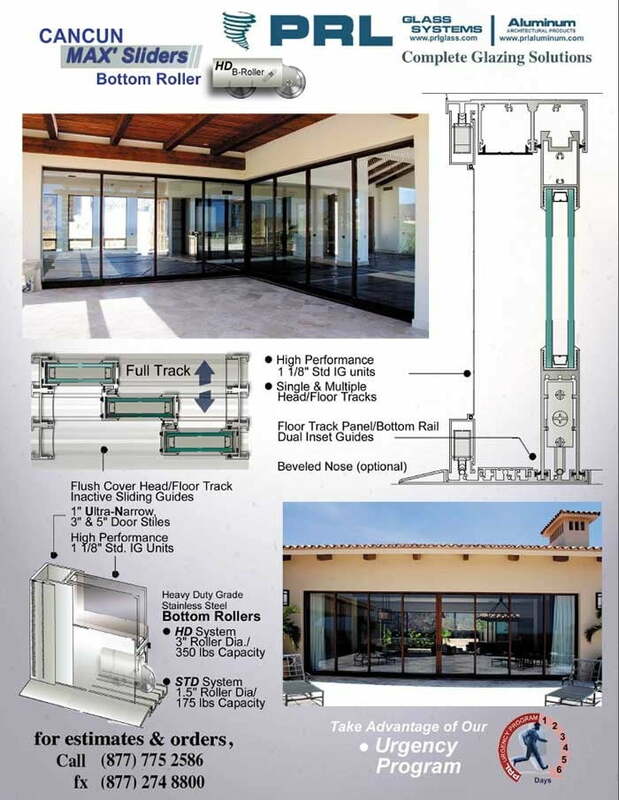 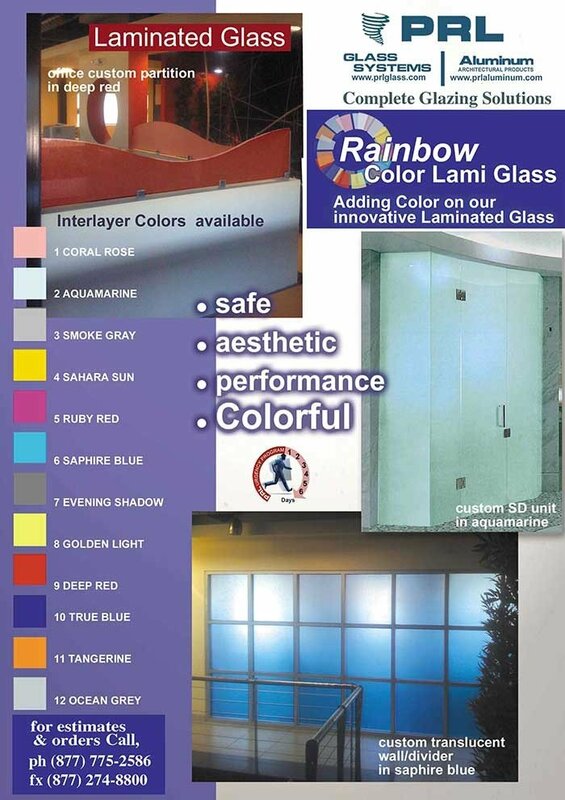 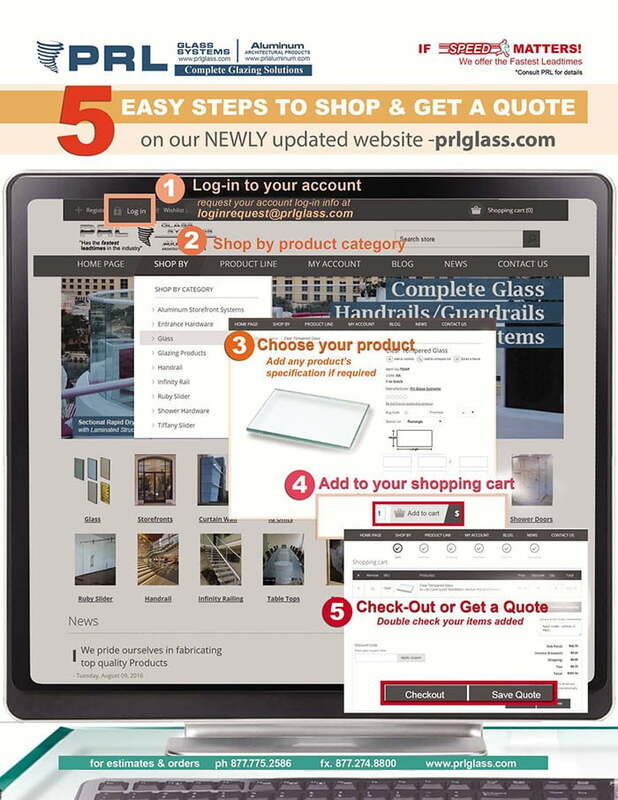 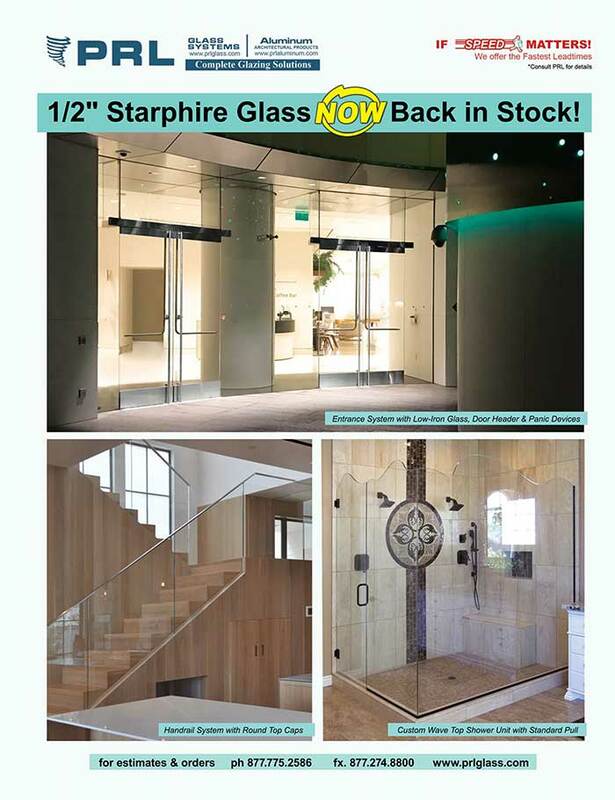 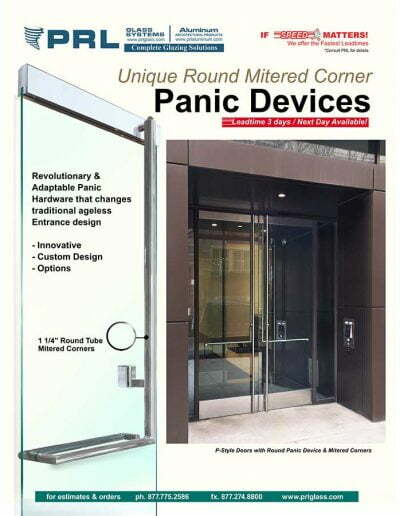 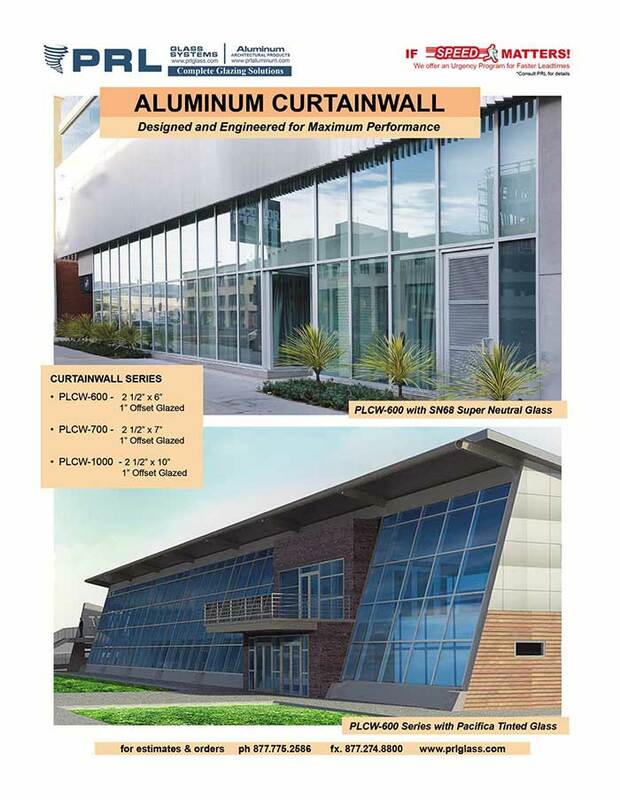 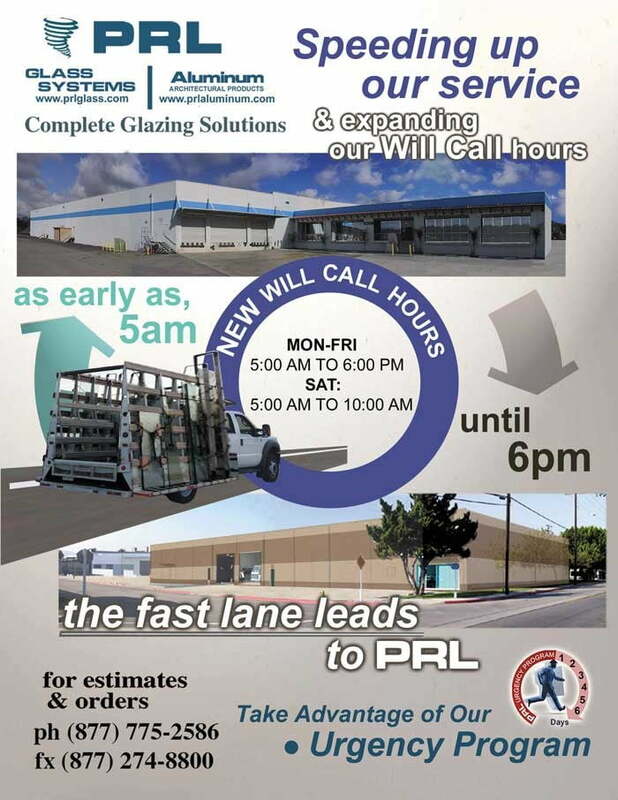 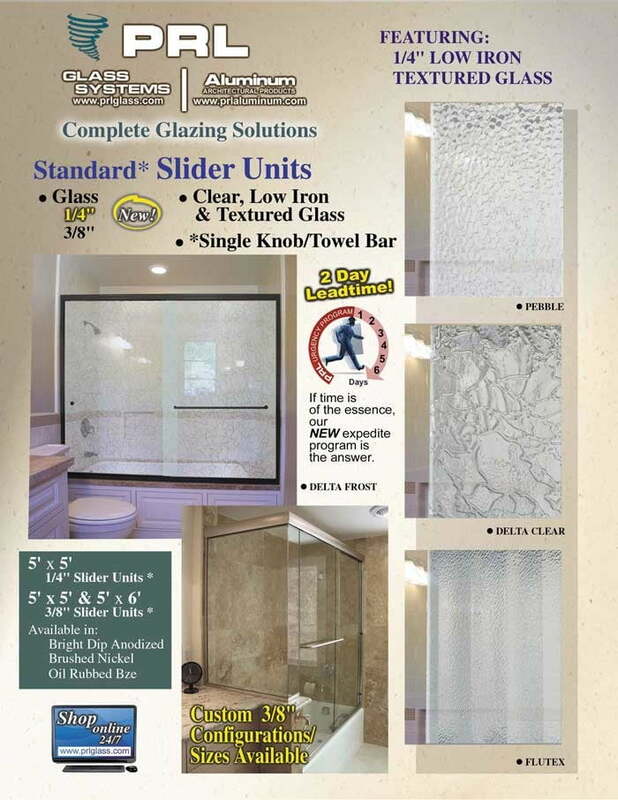 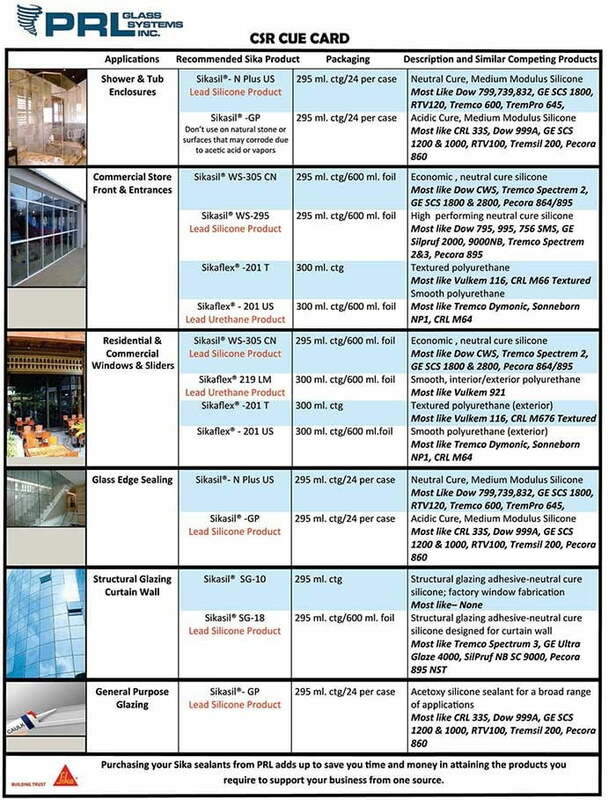 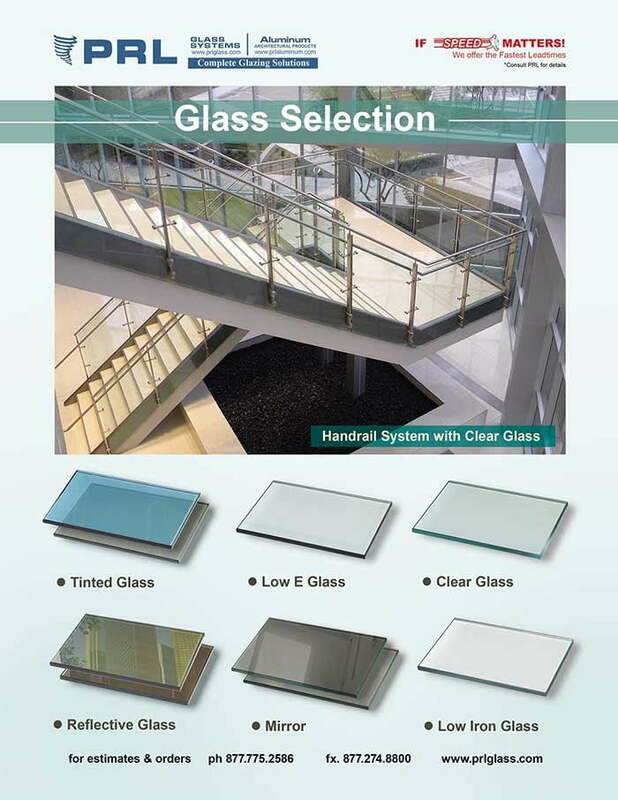 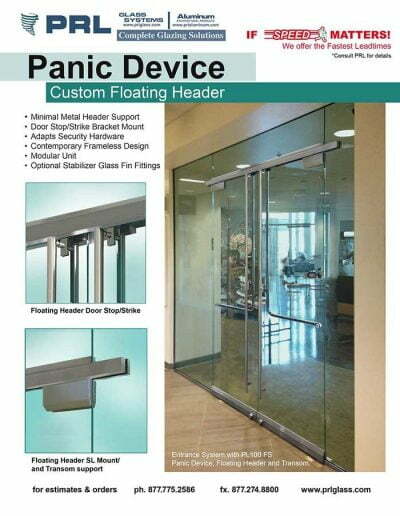 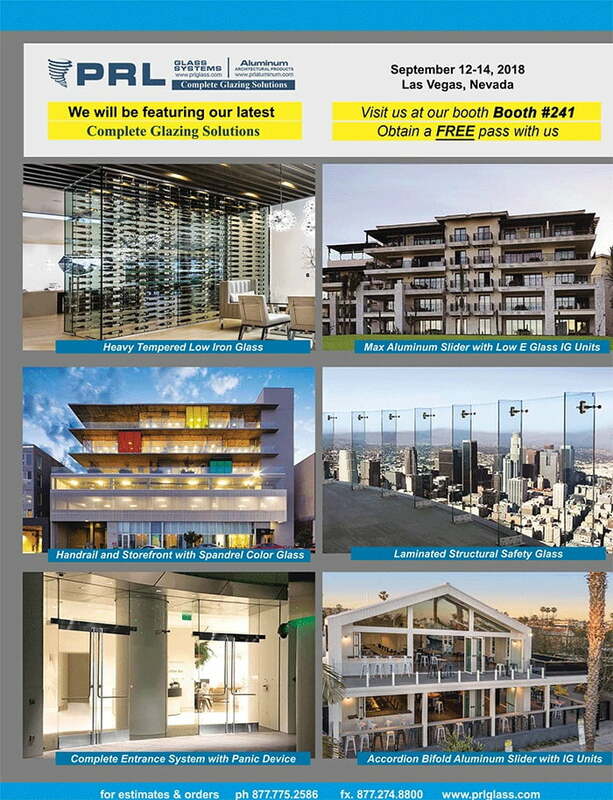 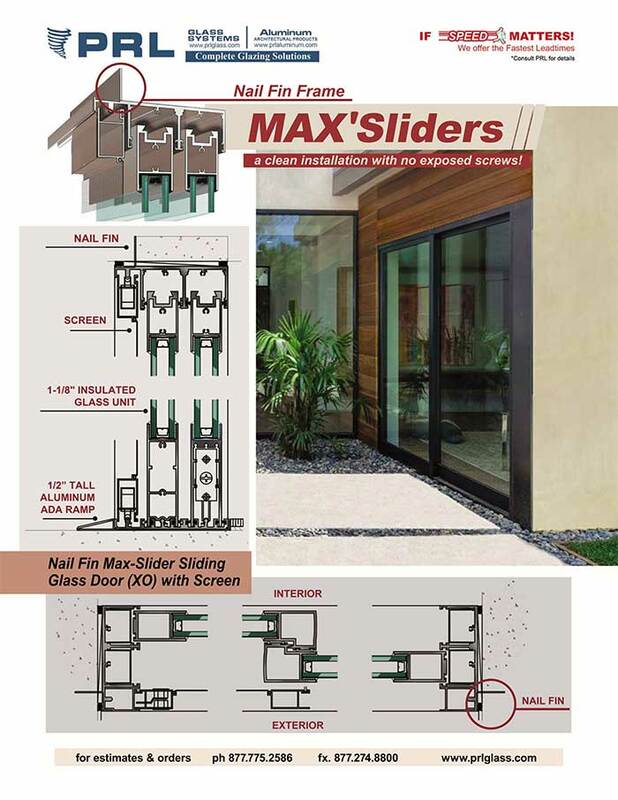 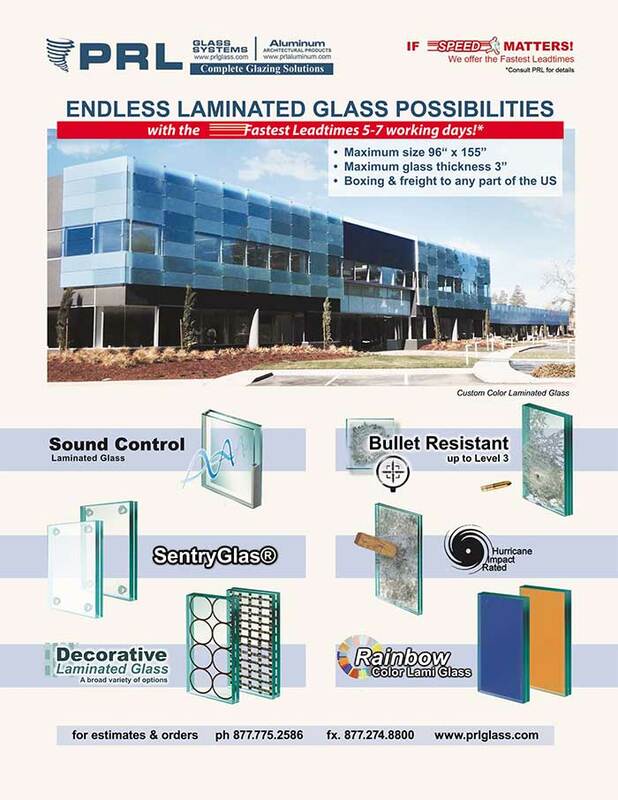 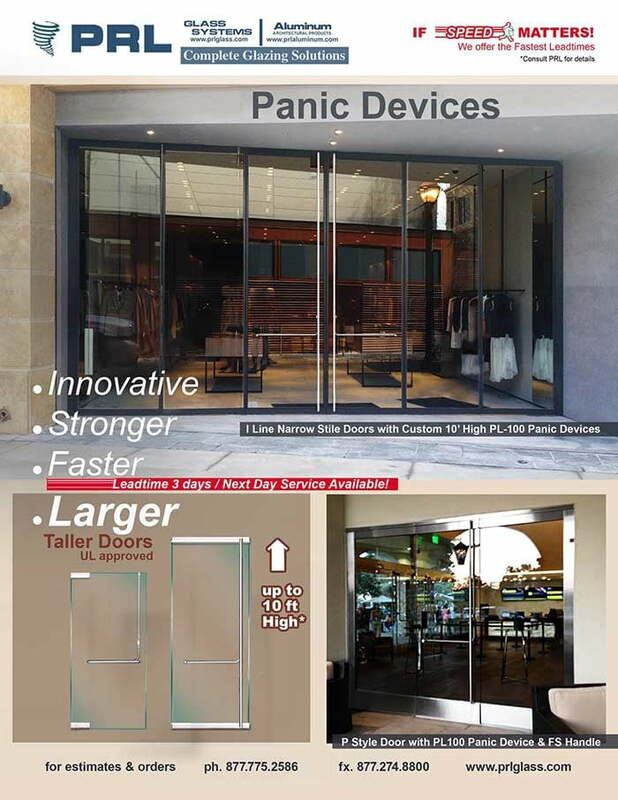 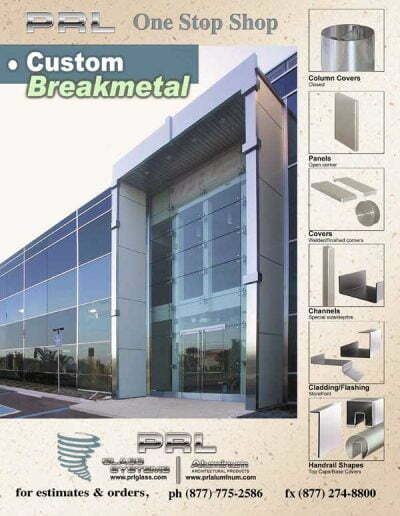 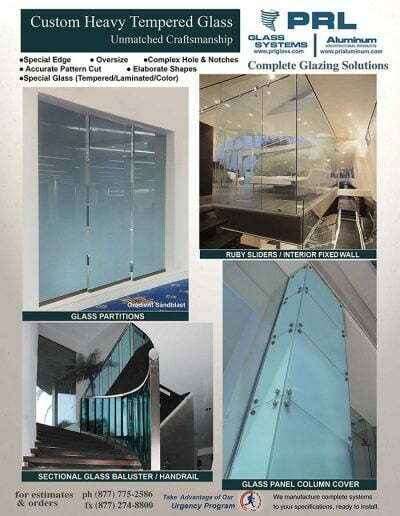 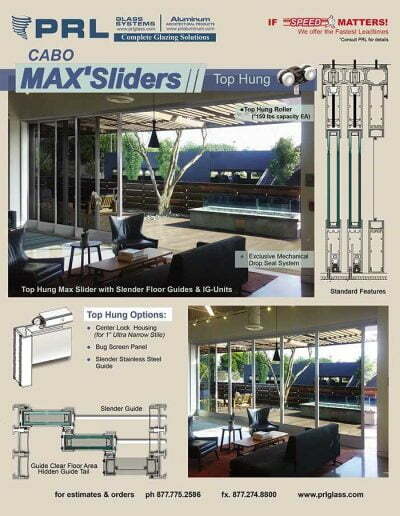 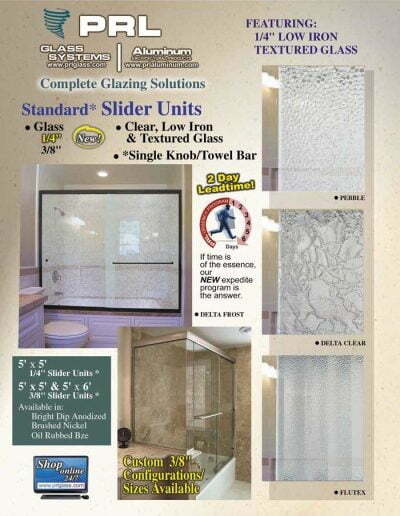 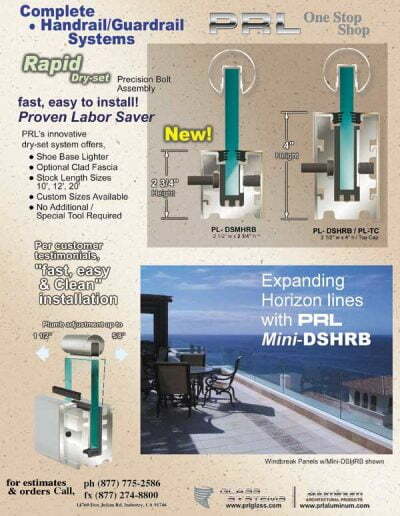 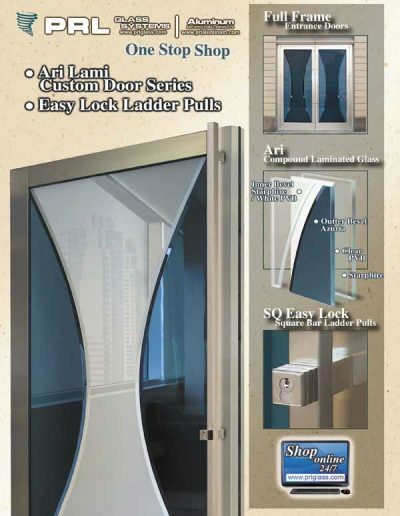 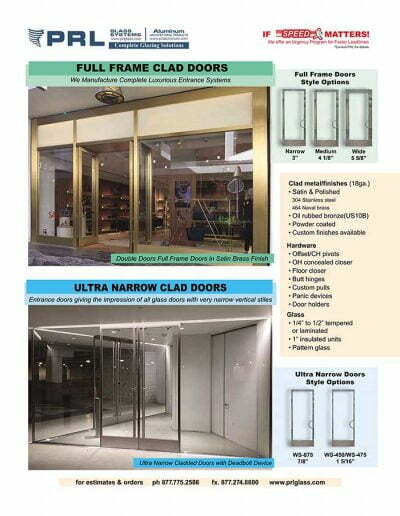 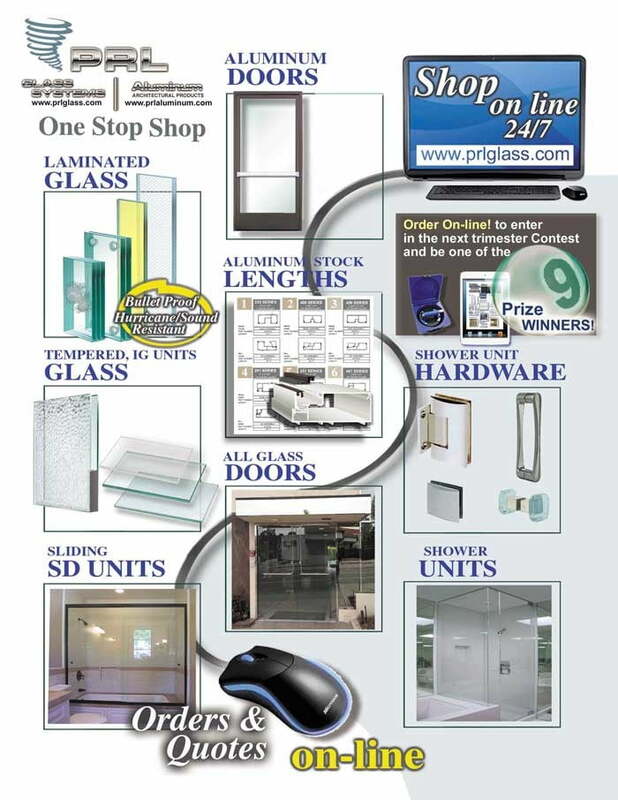 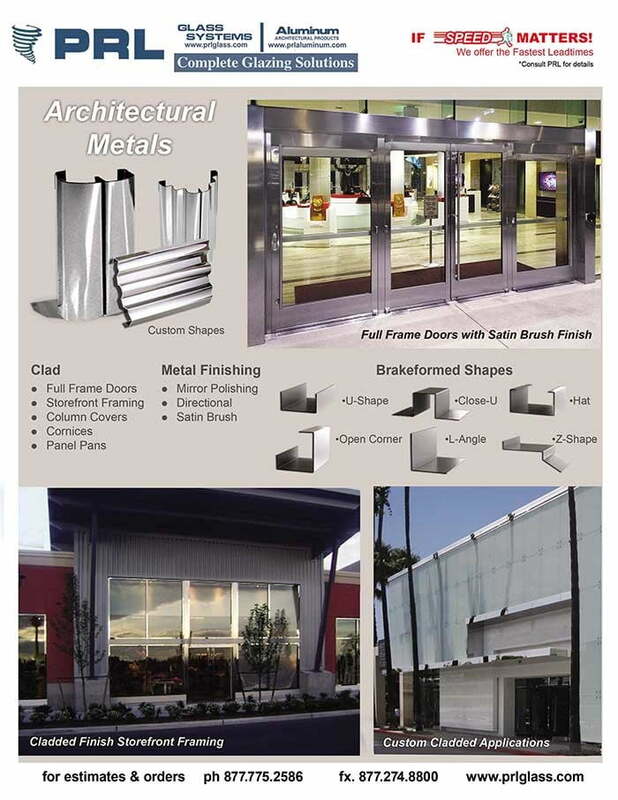 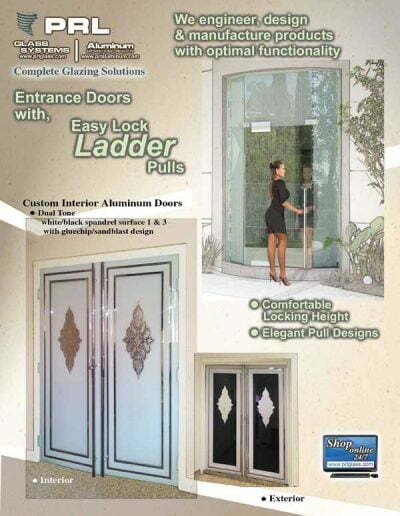 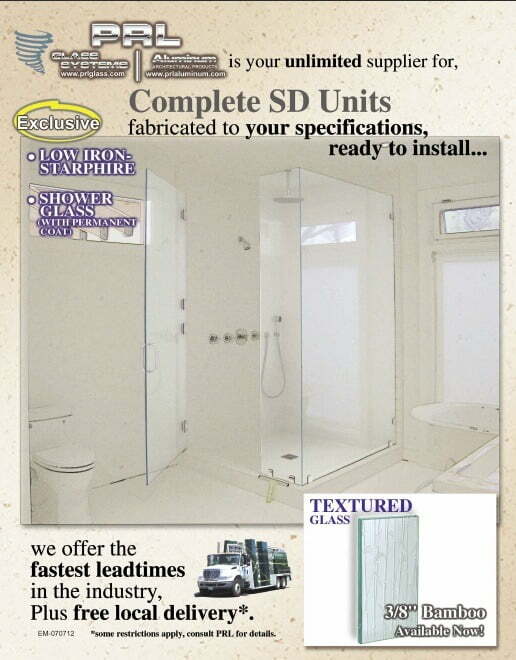 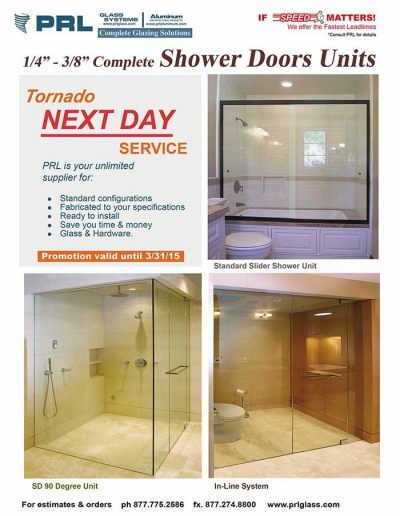 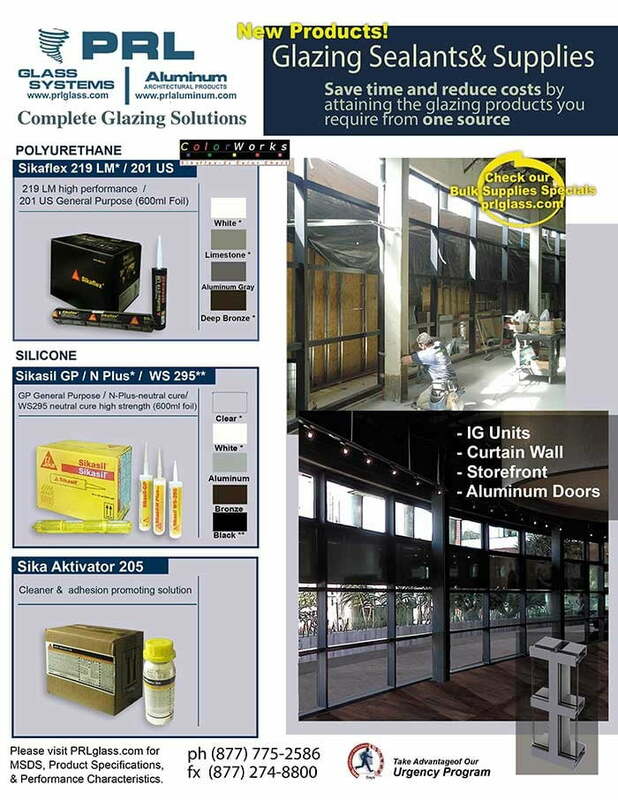 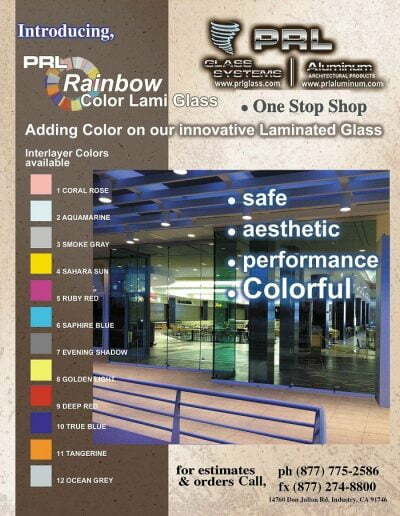 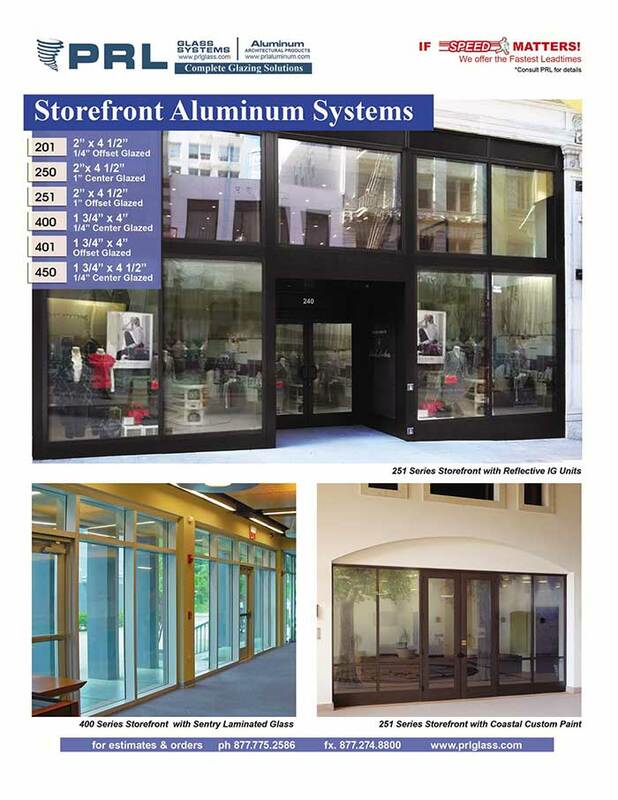 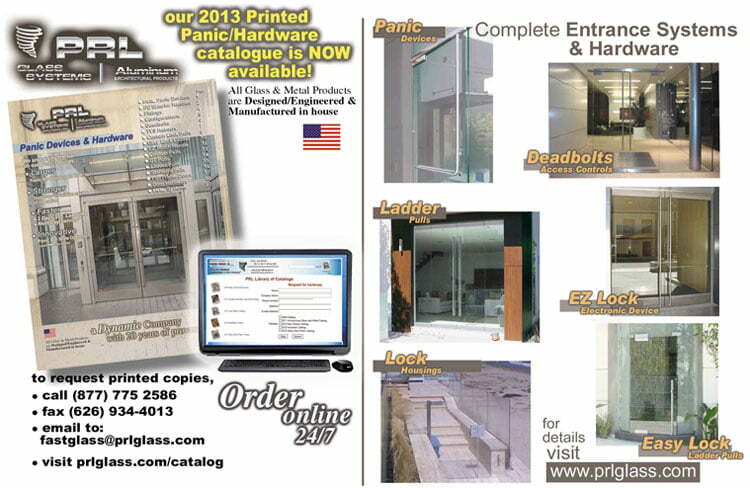 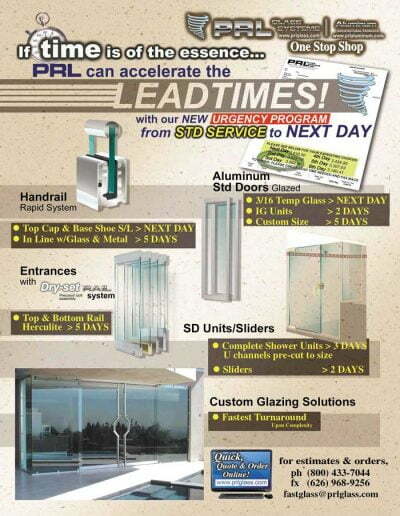 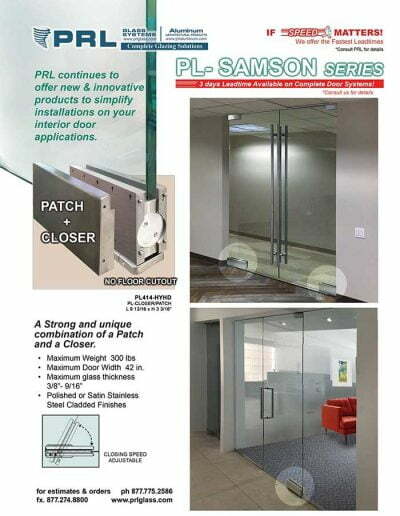 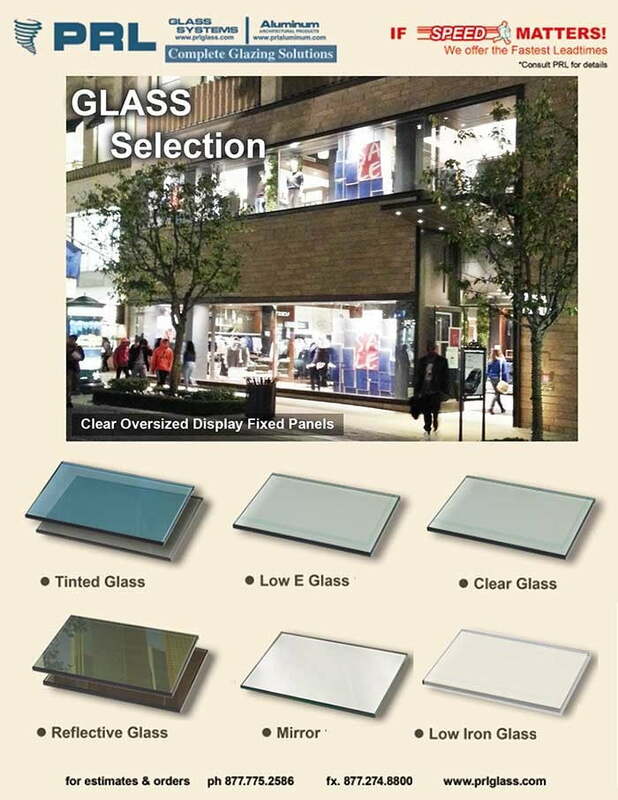 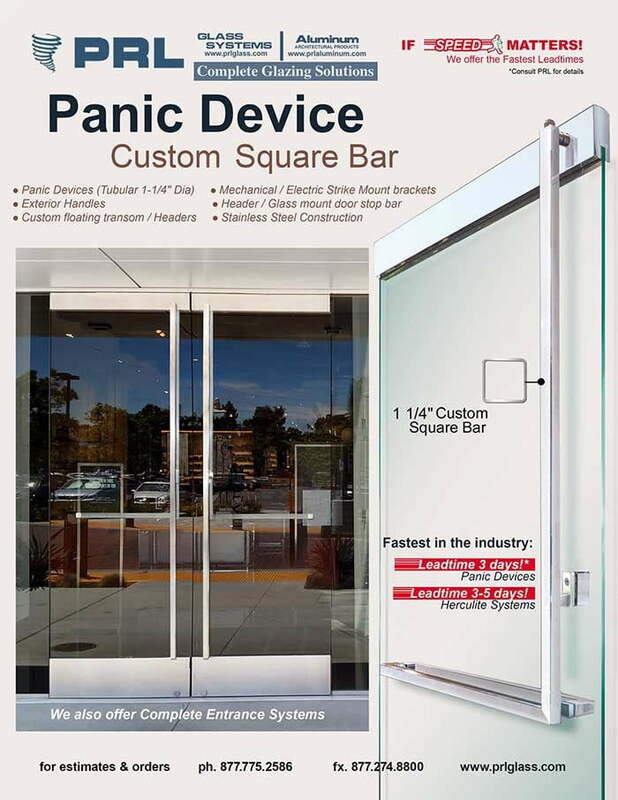 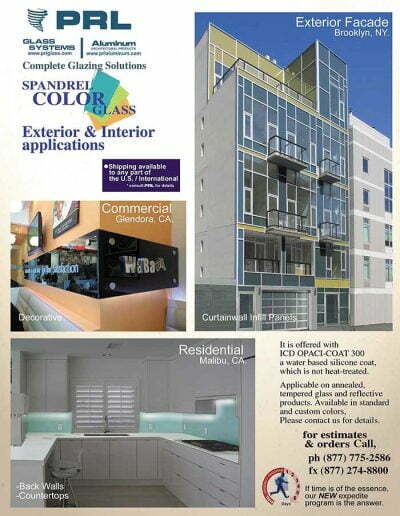 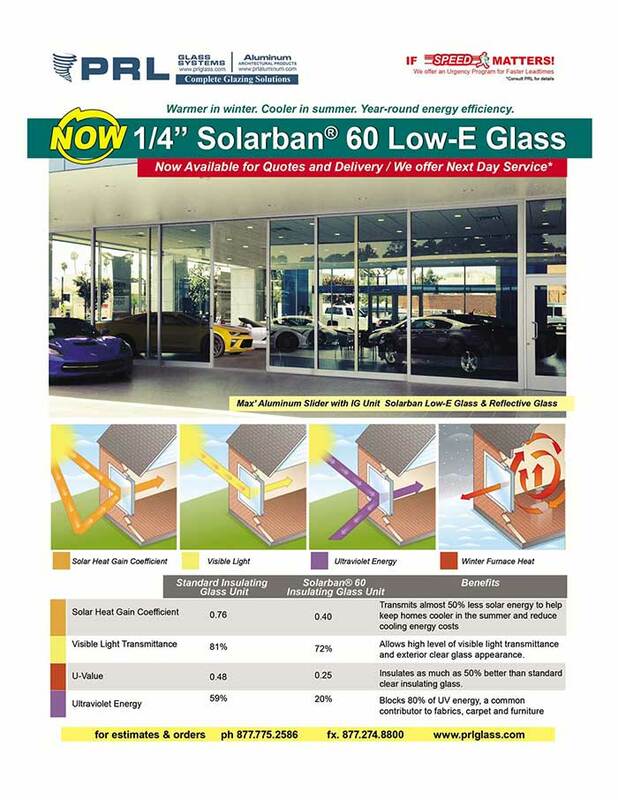 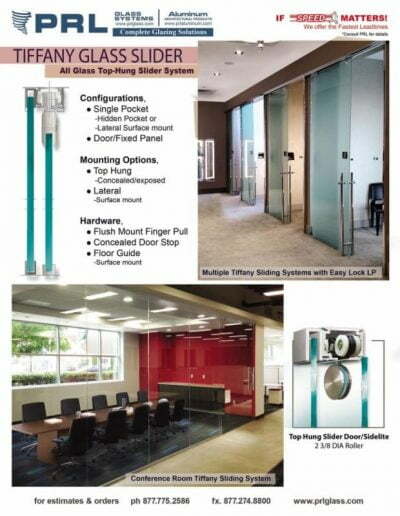 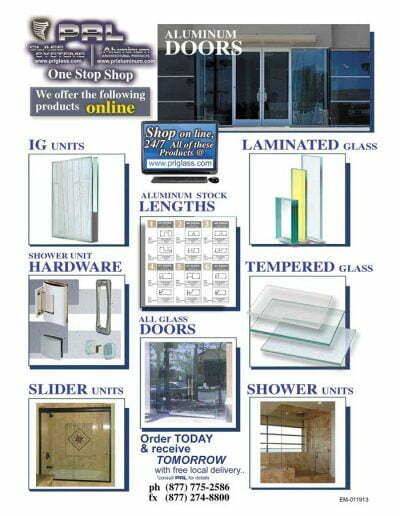 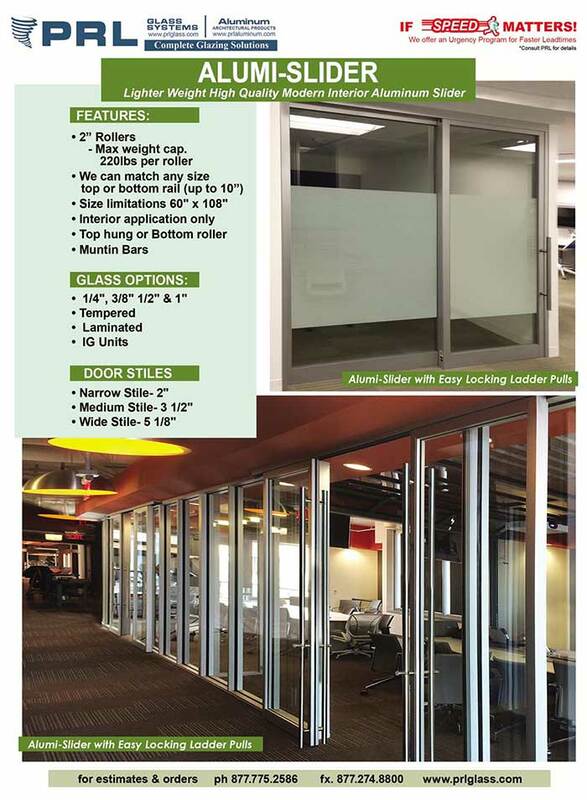 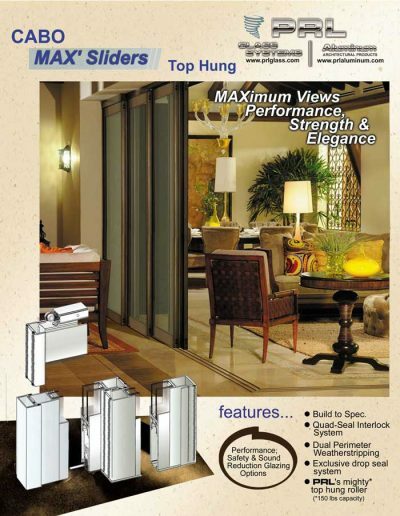 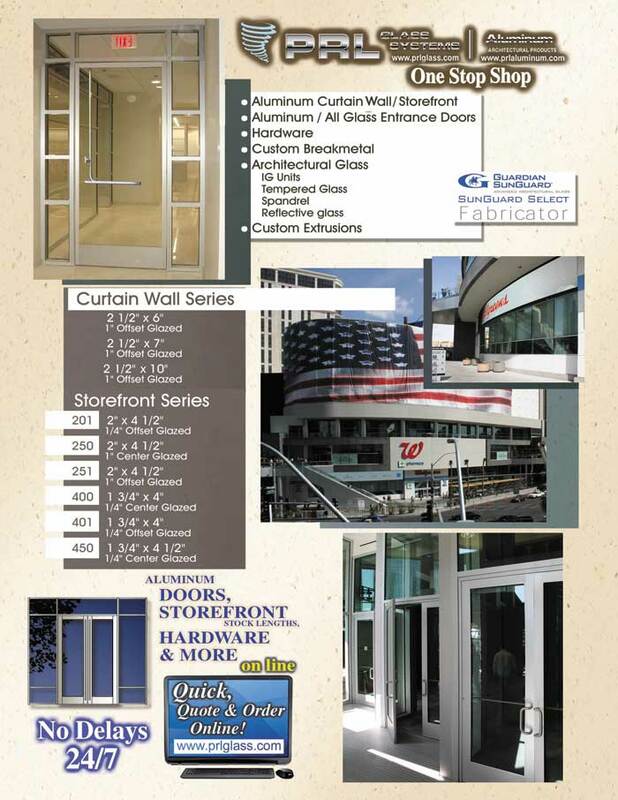 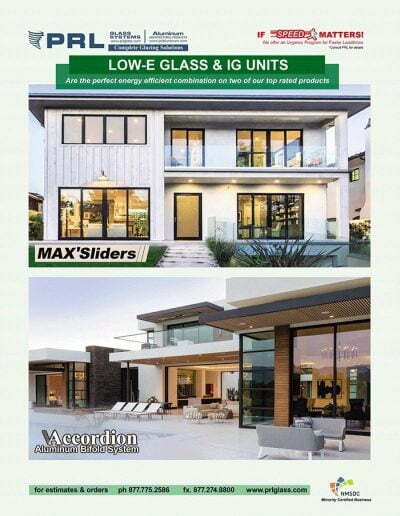 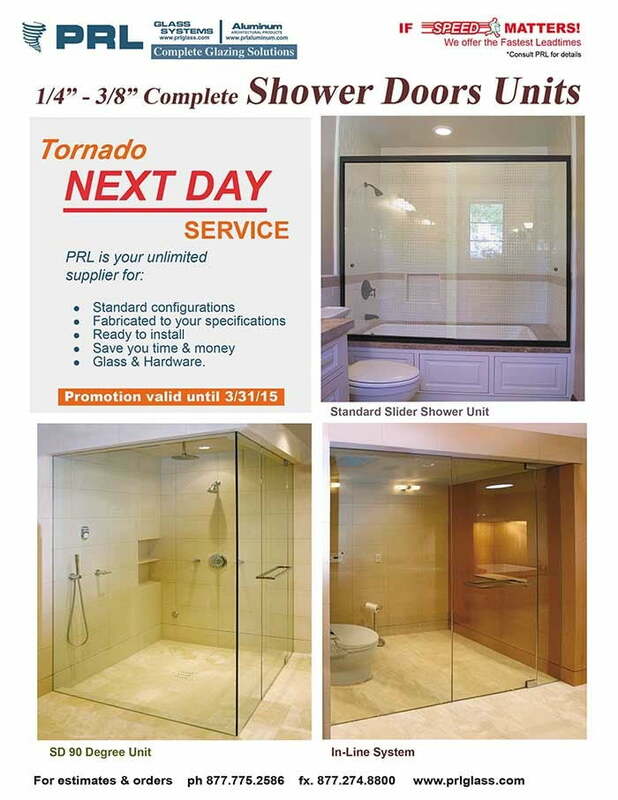 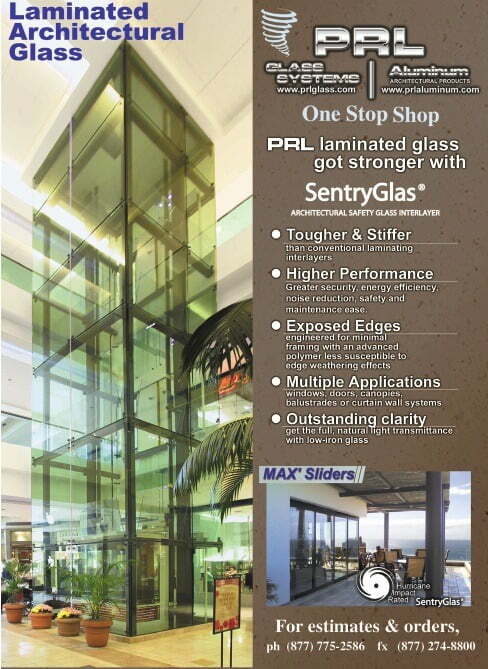 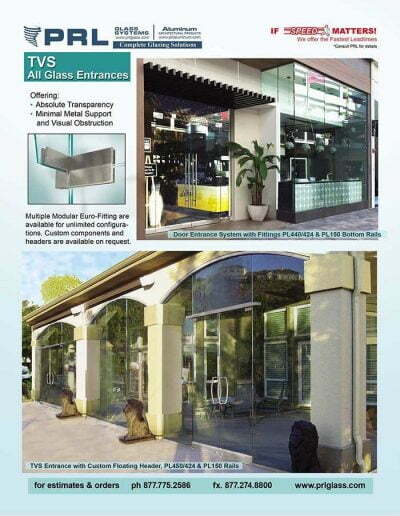 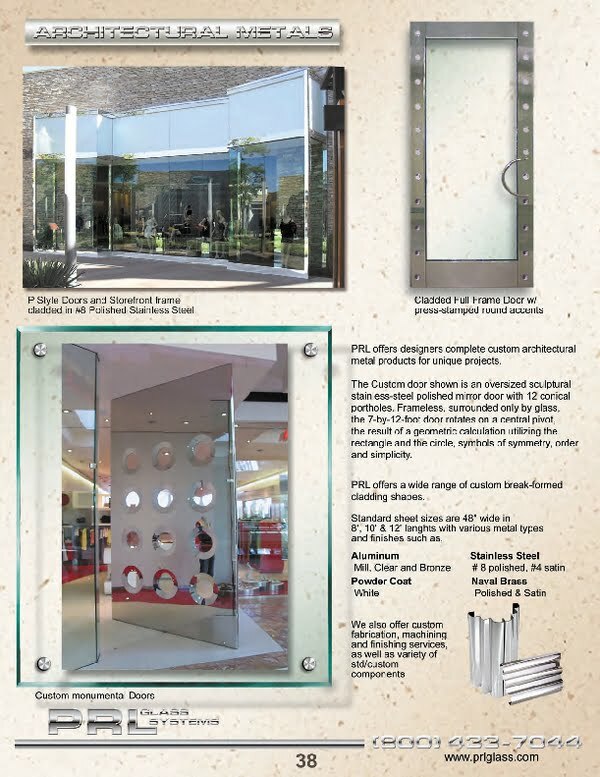 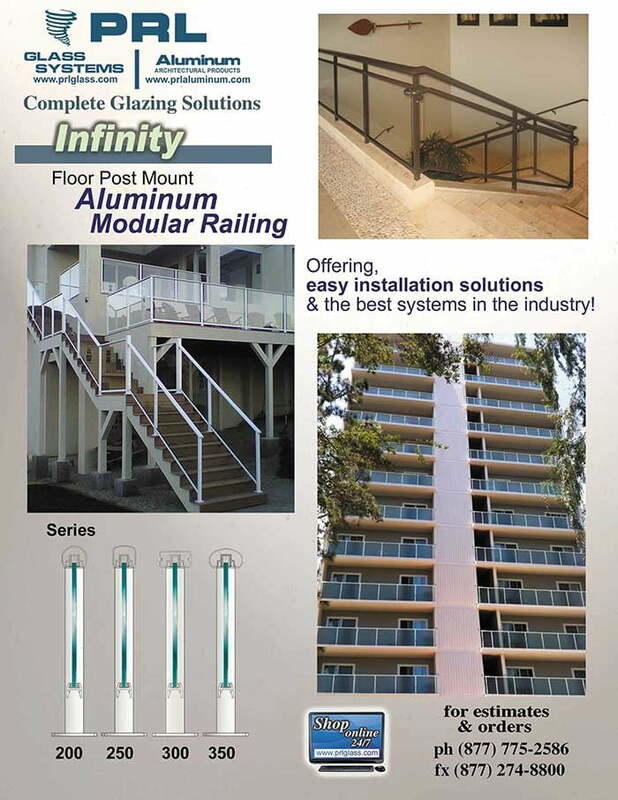 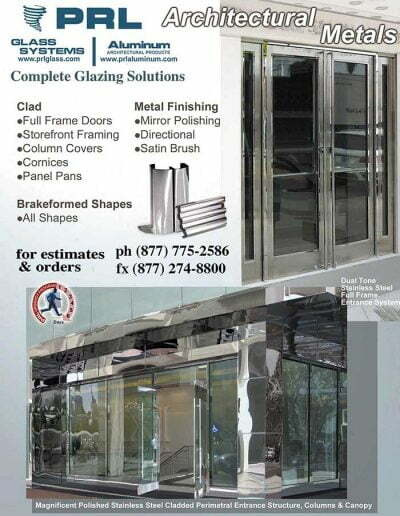 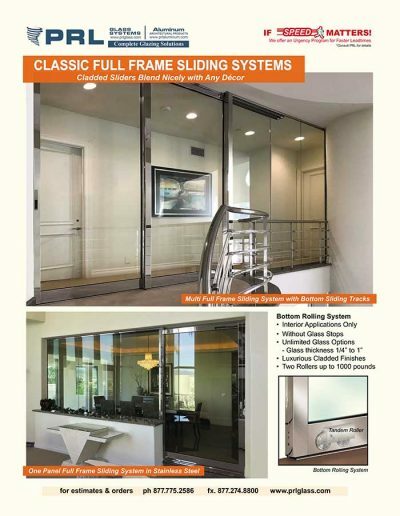 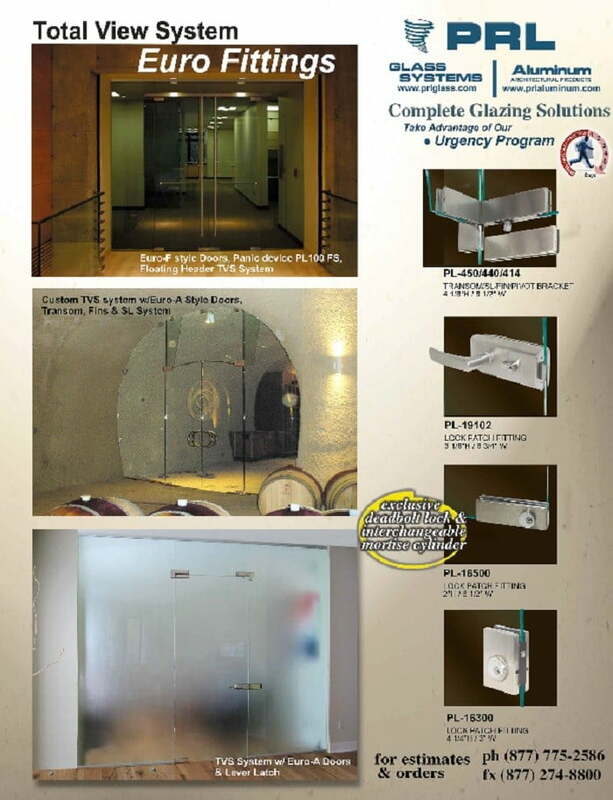 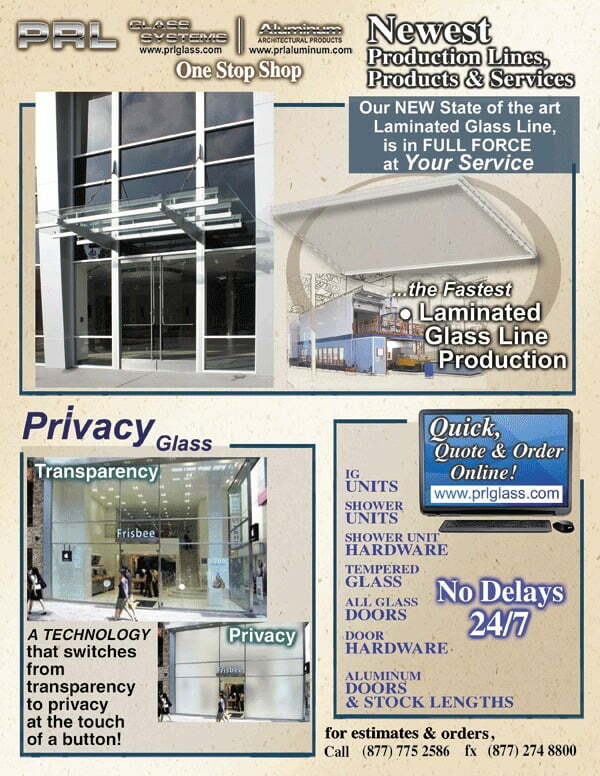 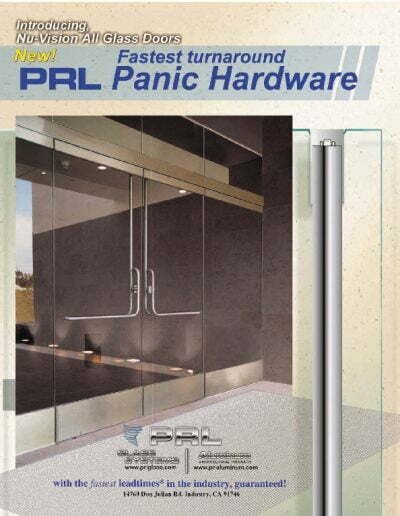 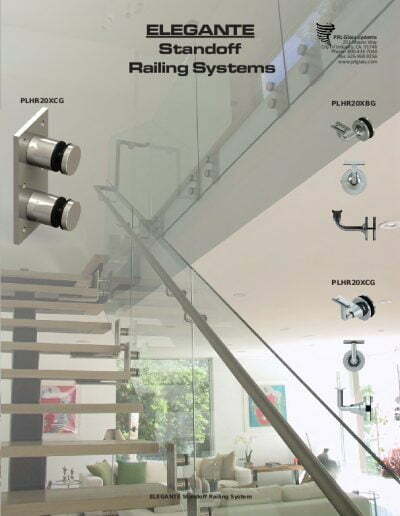 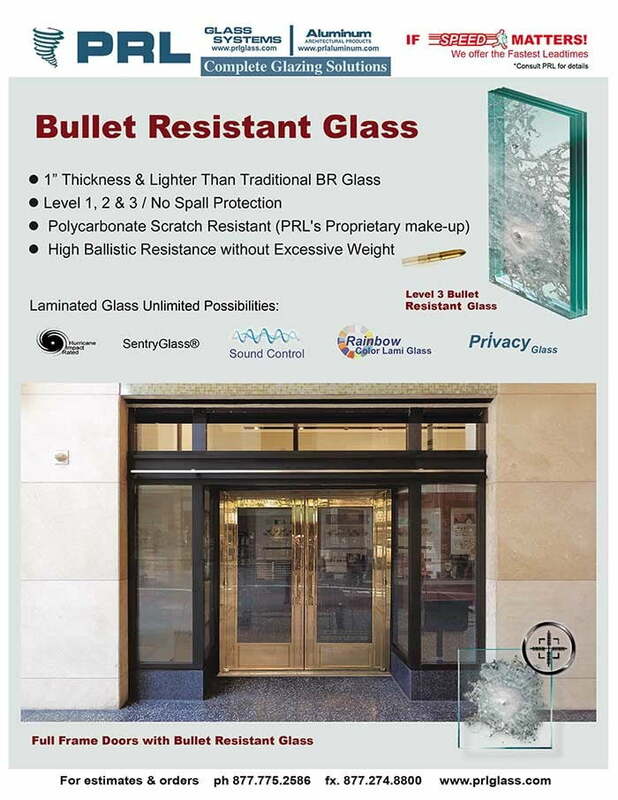 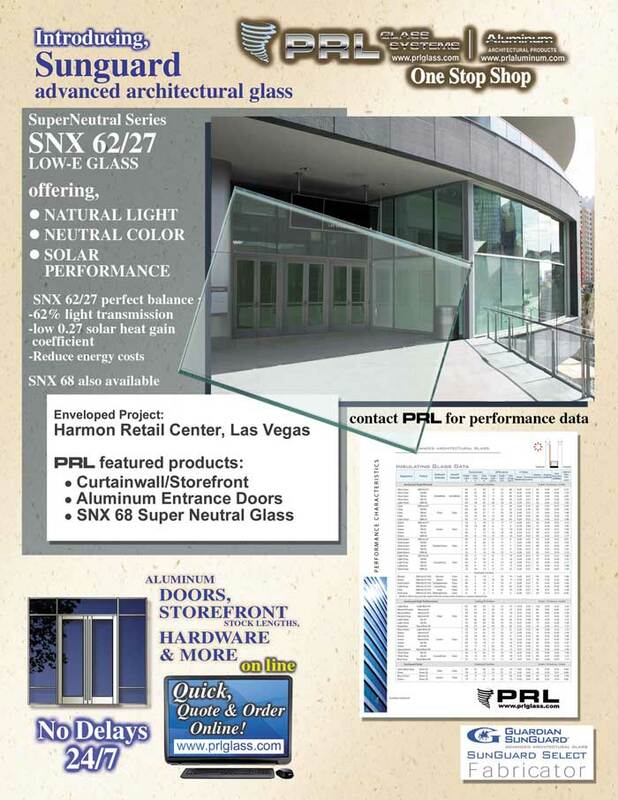 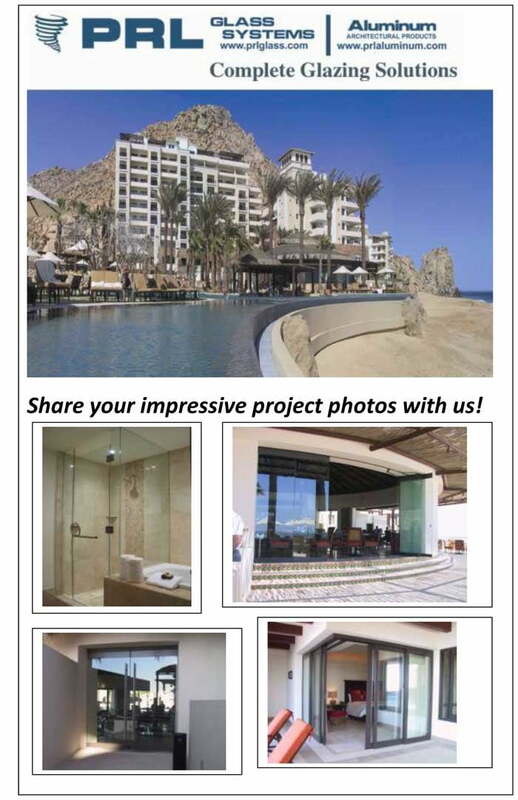 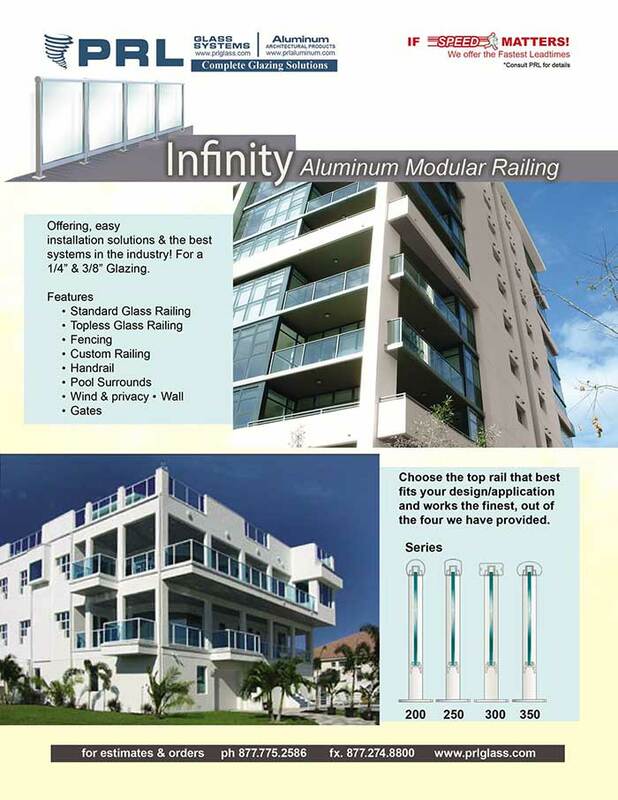 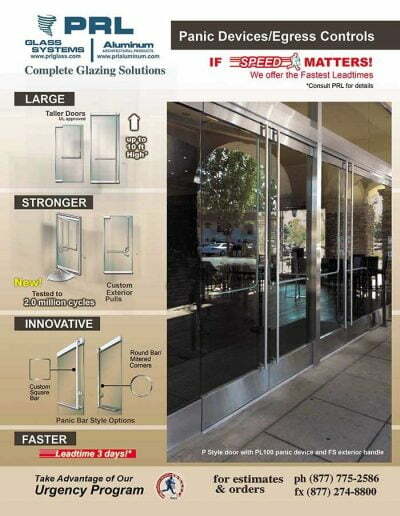 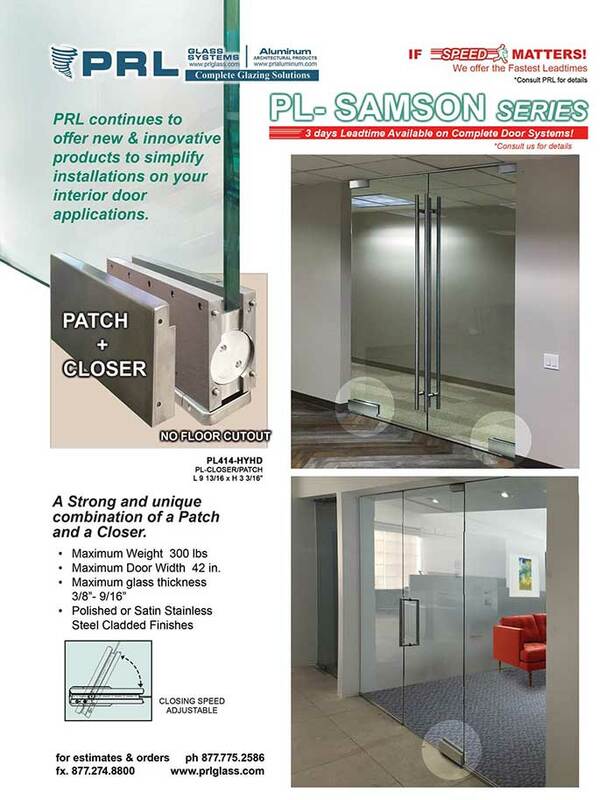 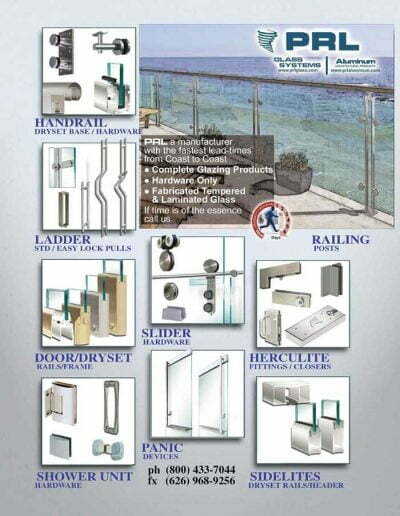 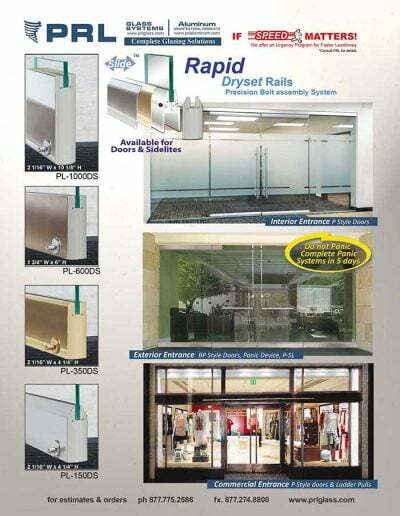 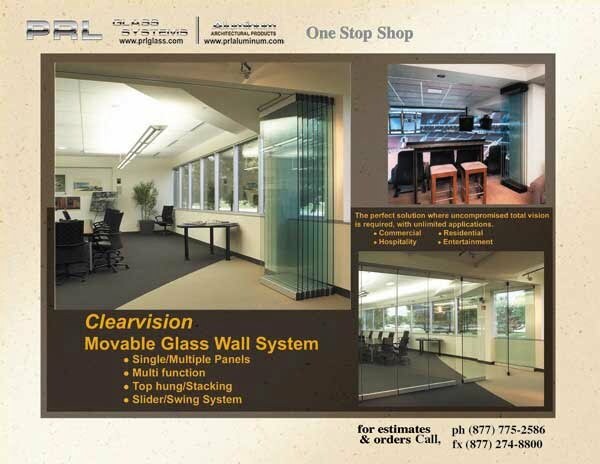 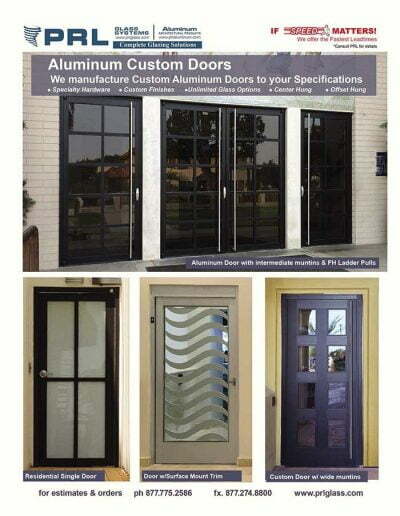 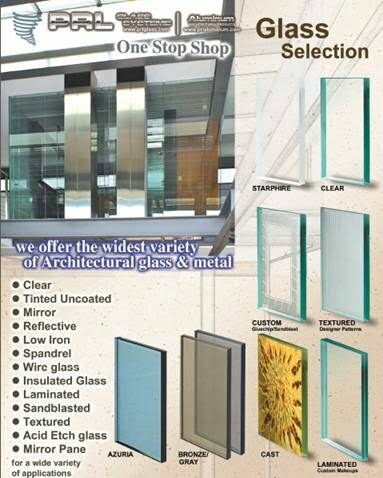 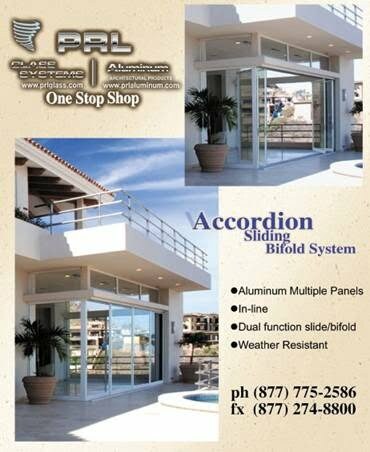 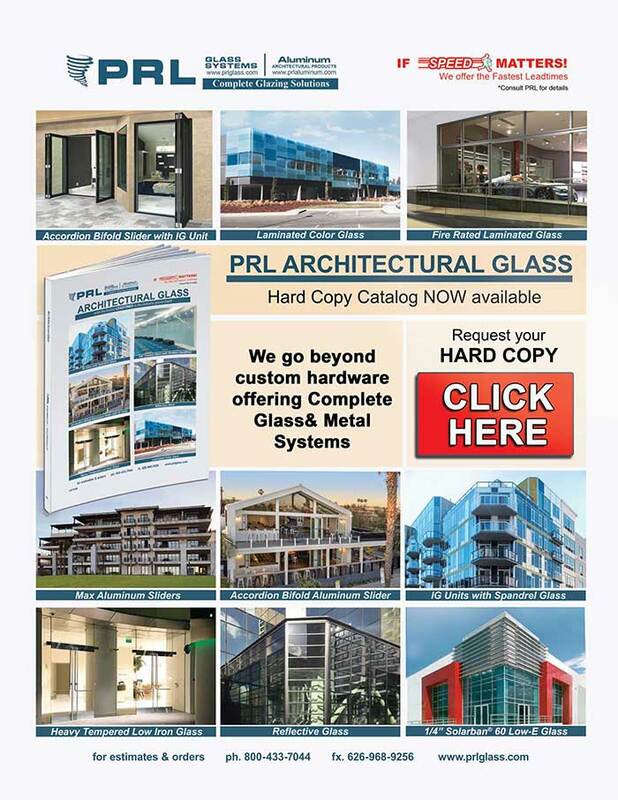 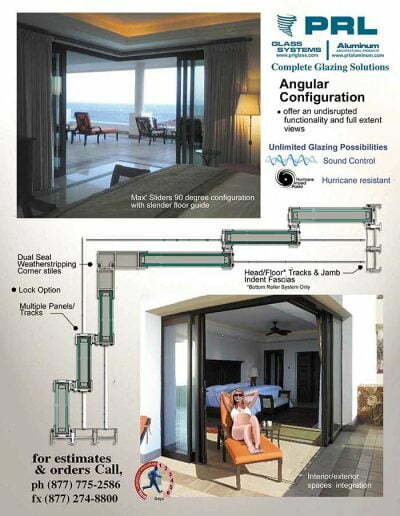 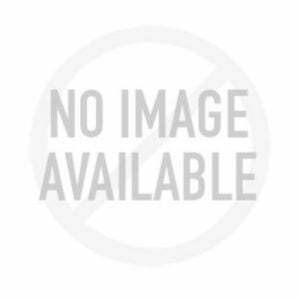 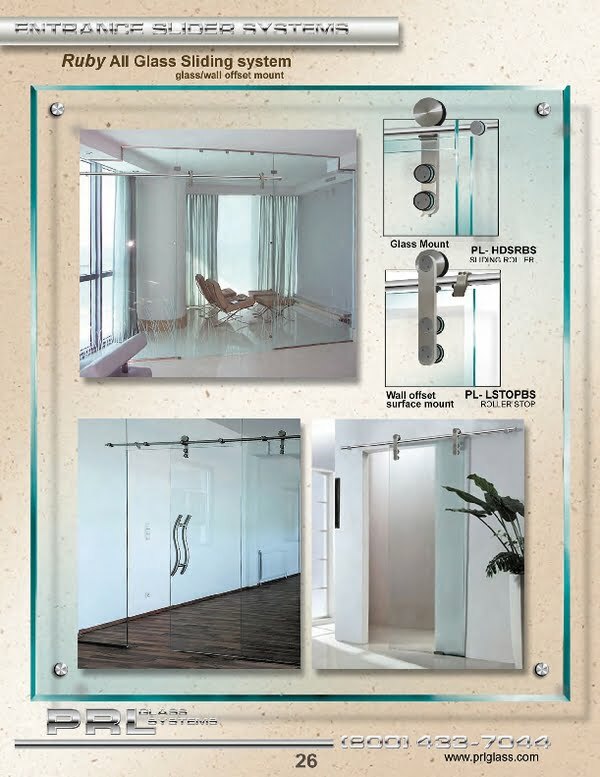 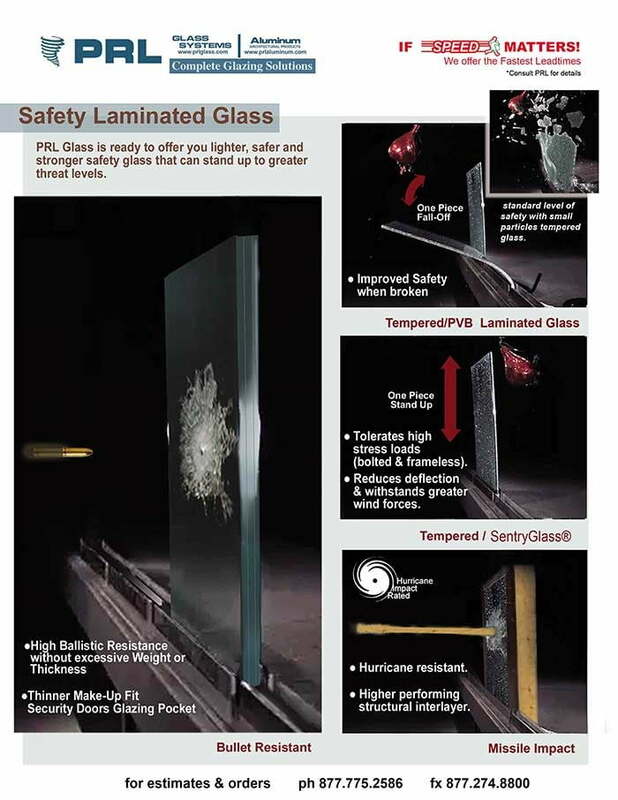 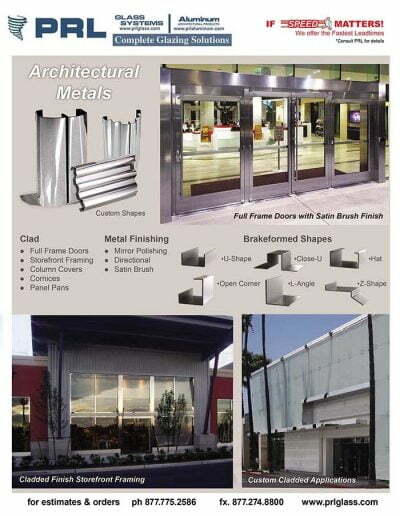 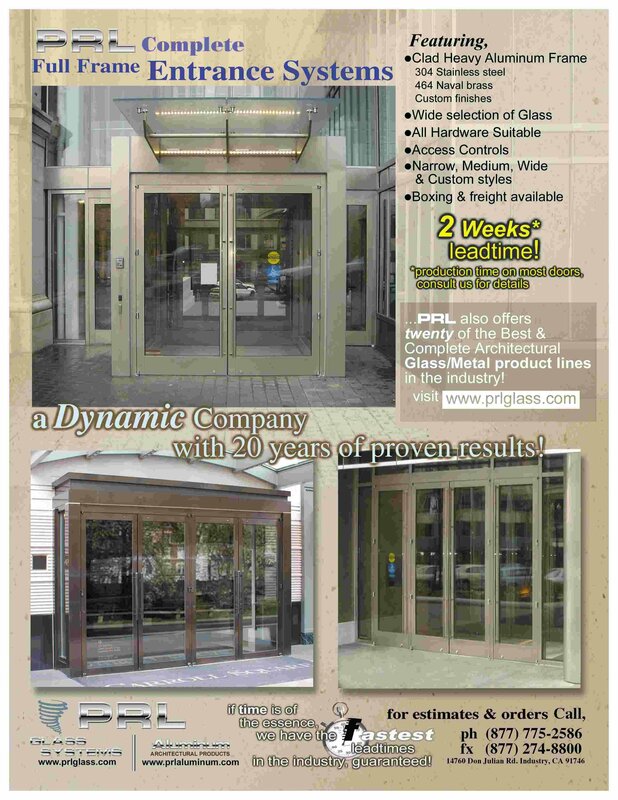 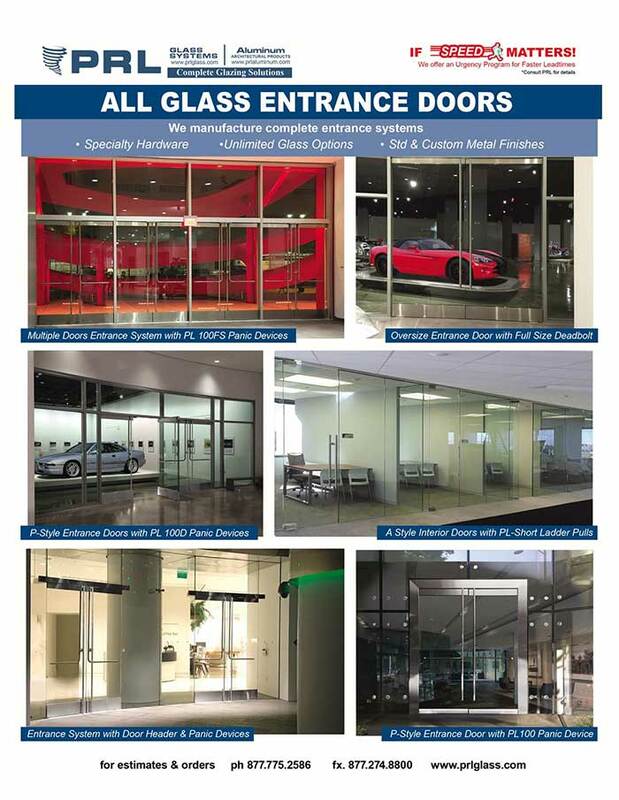 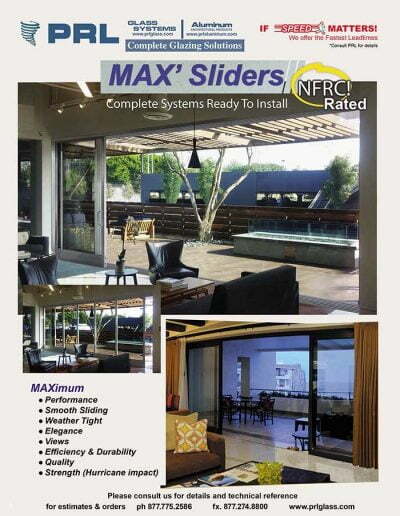 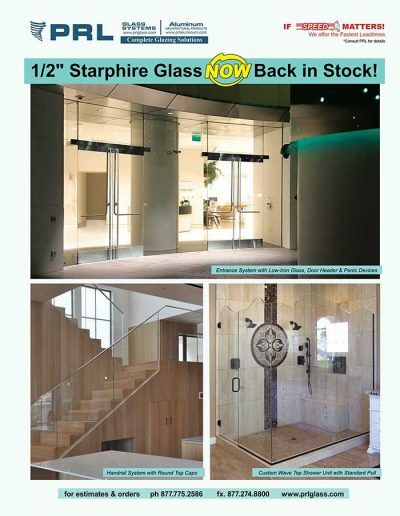 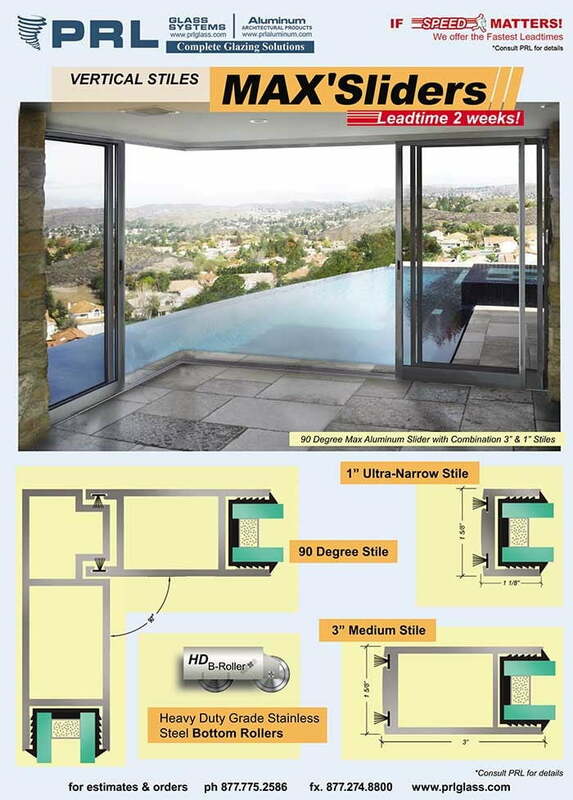 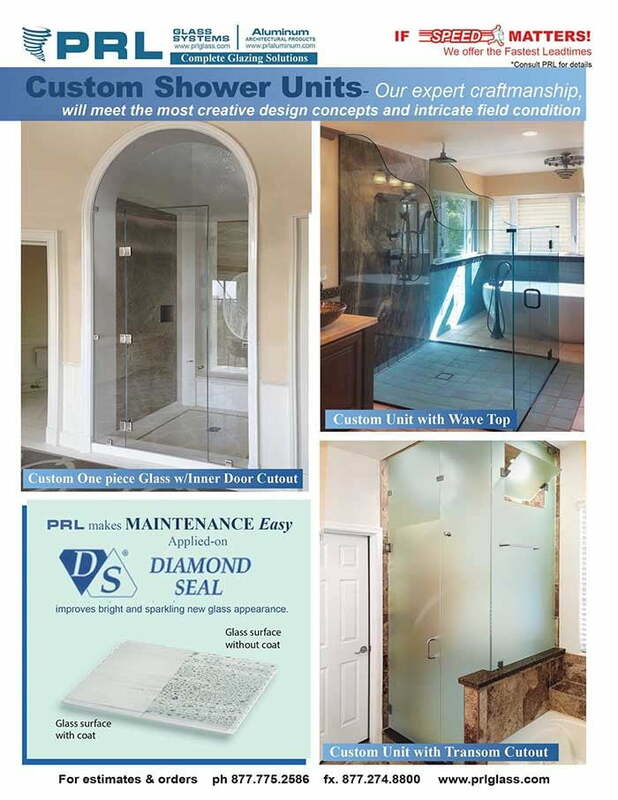 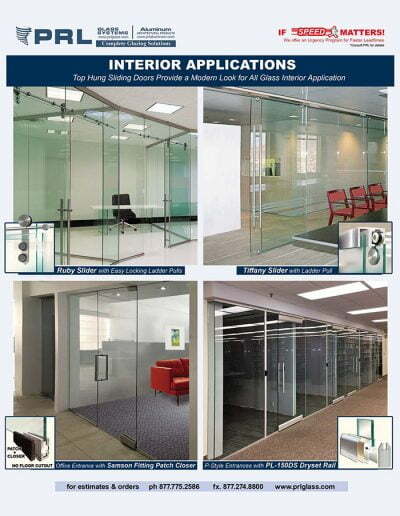 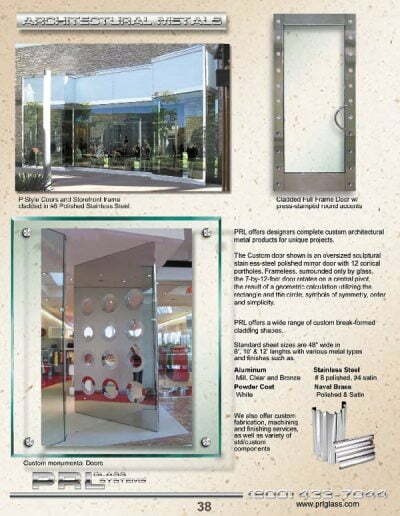 All Glass Door Slider System by PRL Glass Systems, Inc.
PRL’s Ruby all glass slider door system is a contemporary design for an interior top hung sliding door system. 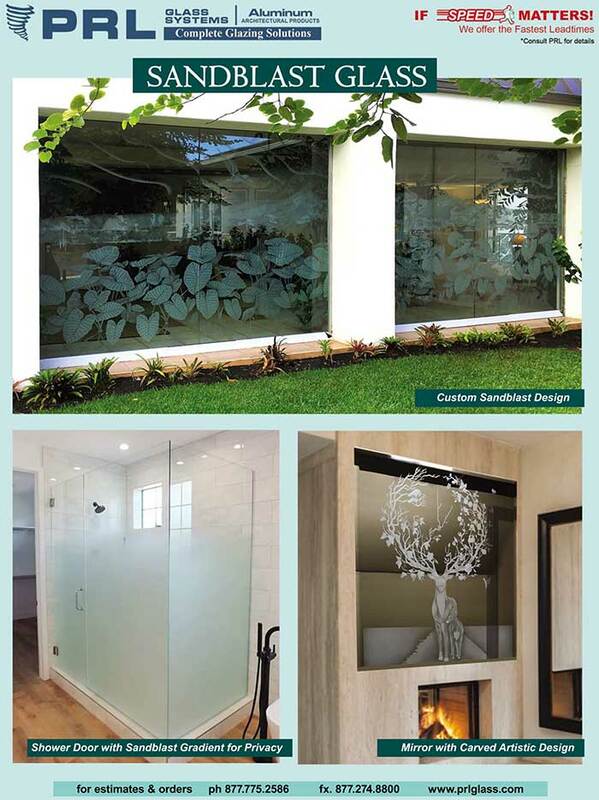 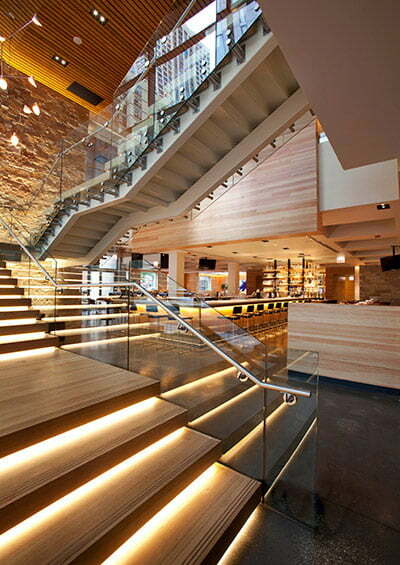 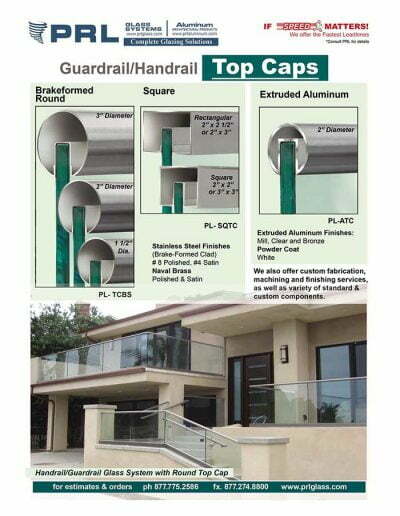 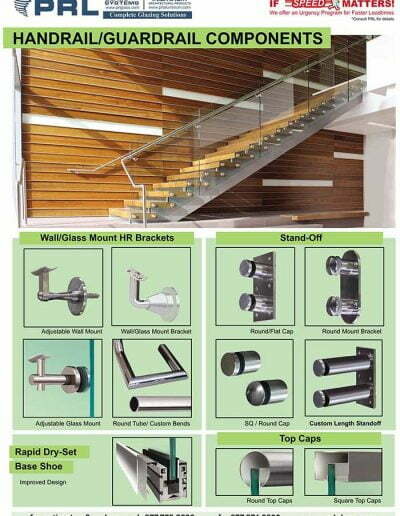 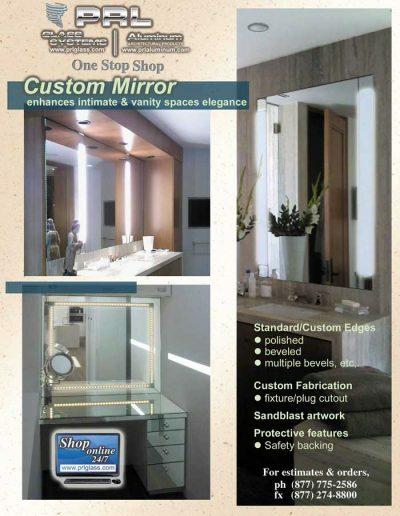 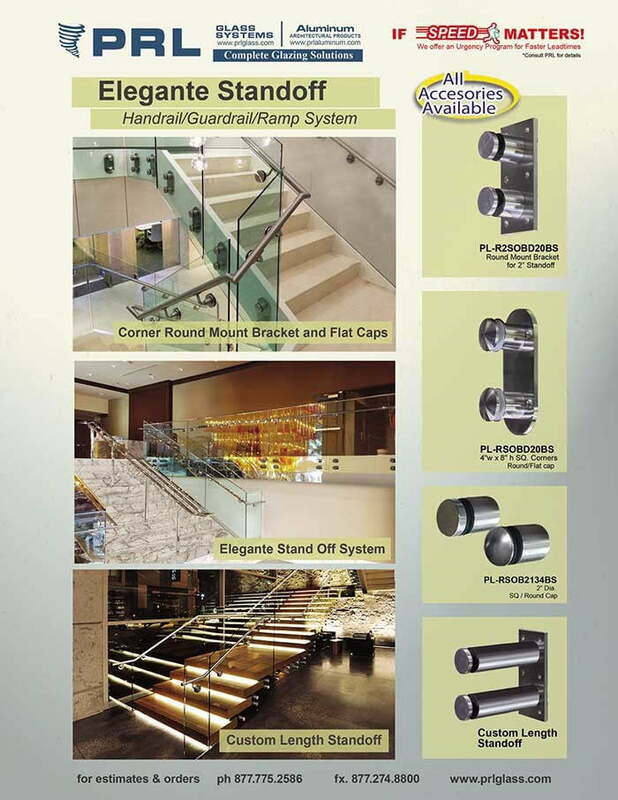 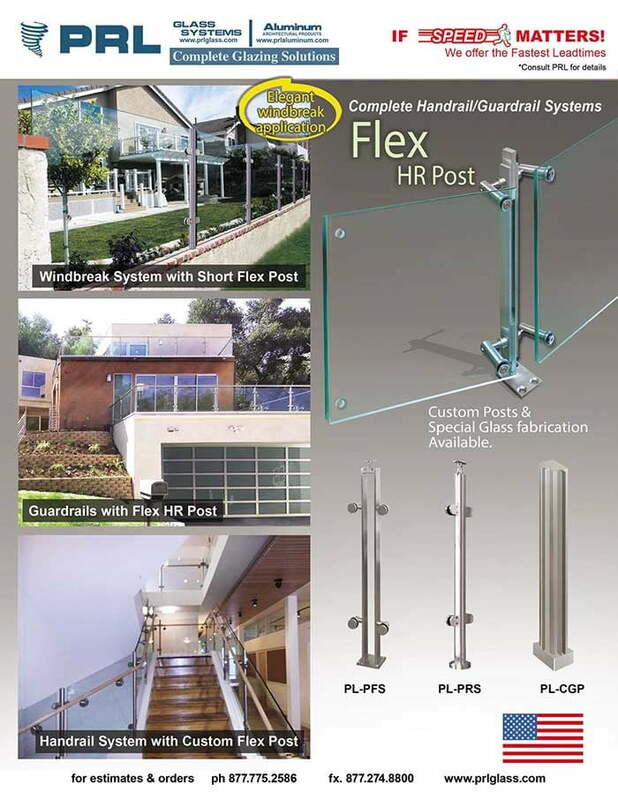 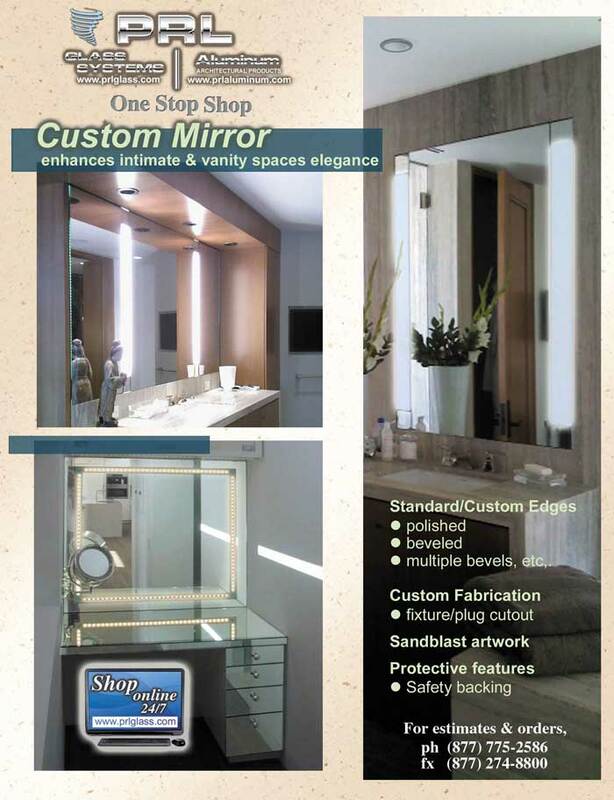 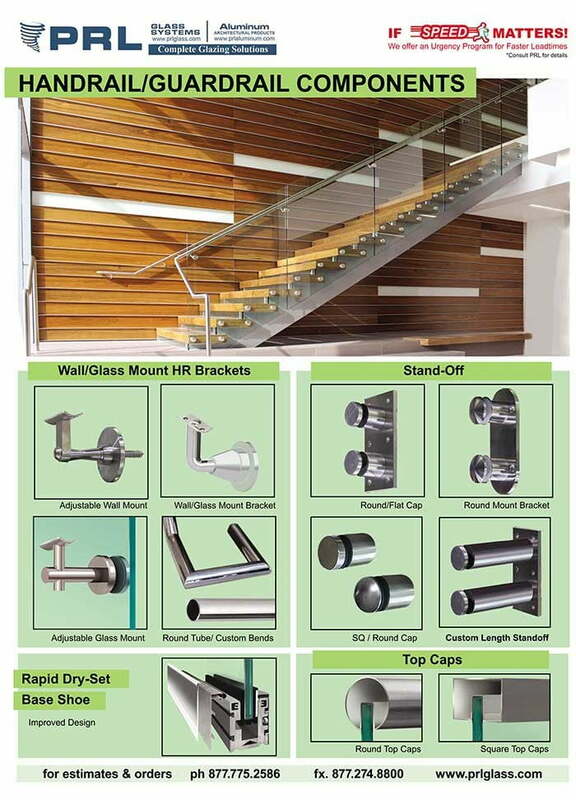 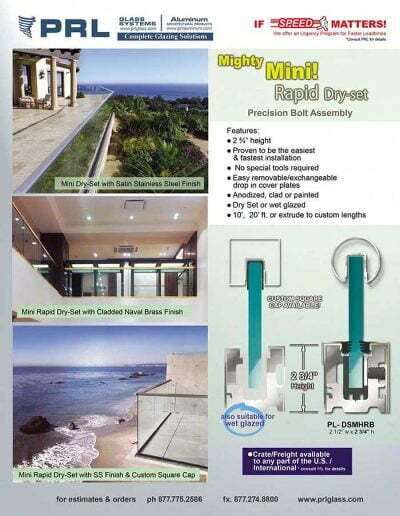 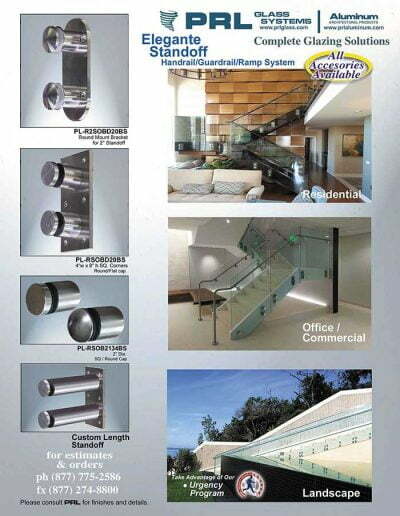 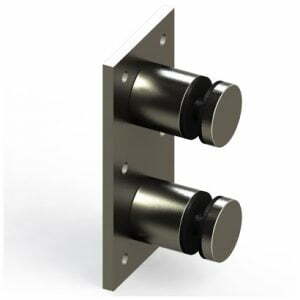 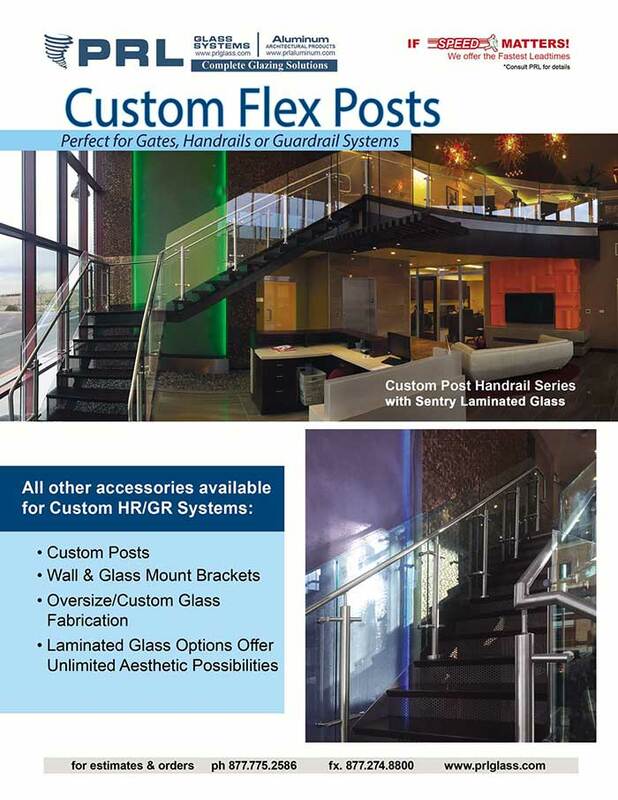 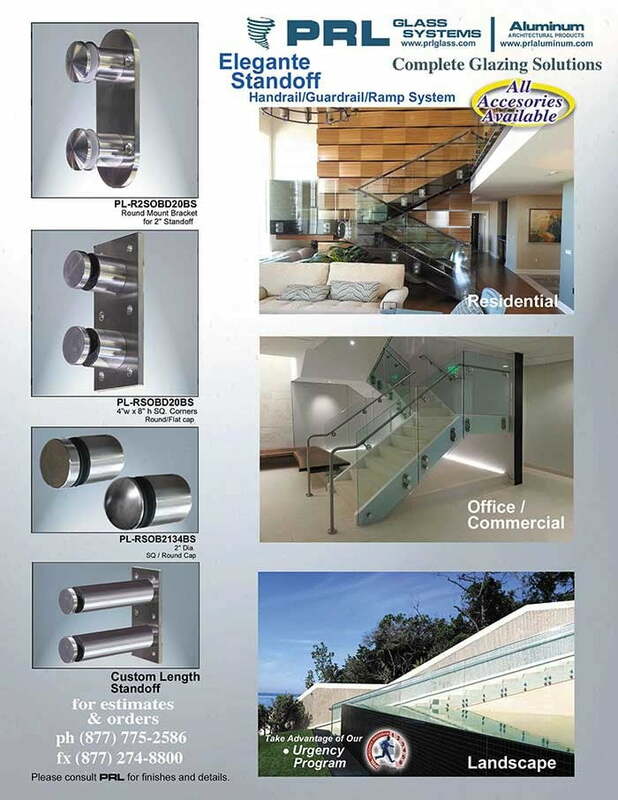 The offset top hung Ruby rod can be installed on a wall or as a glass mounted application. 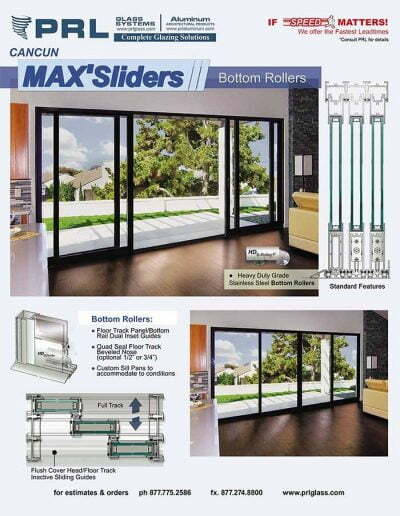 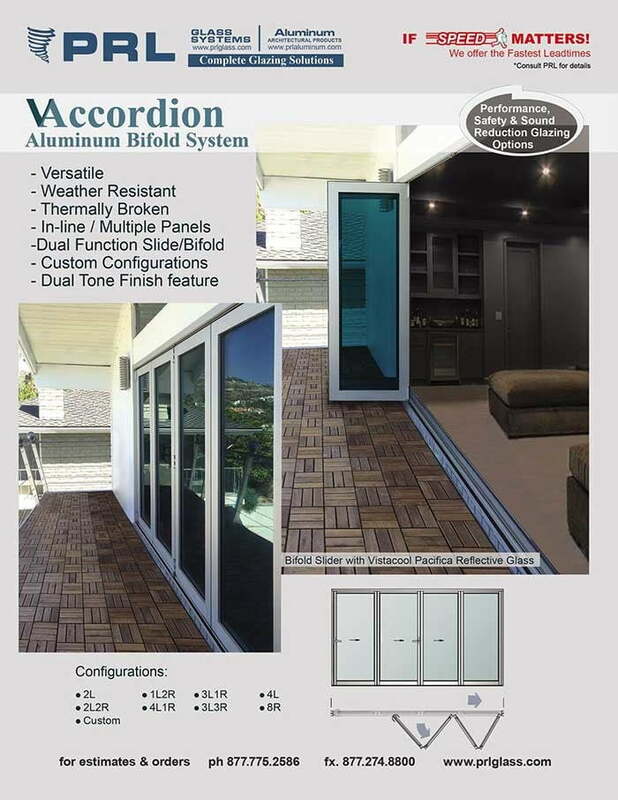 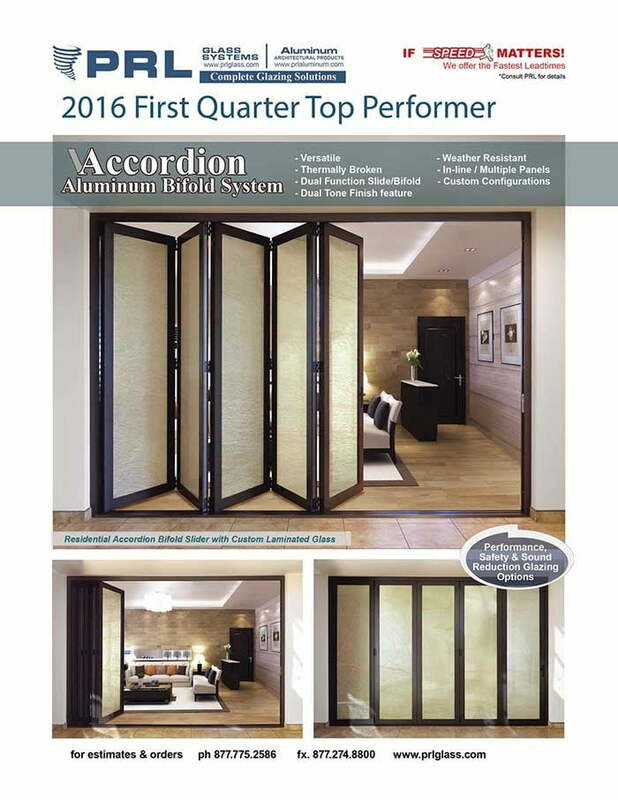 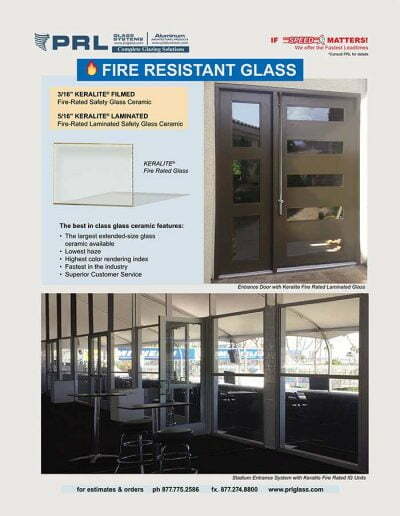 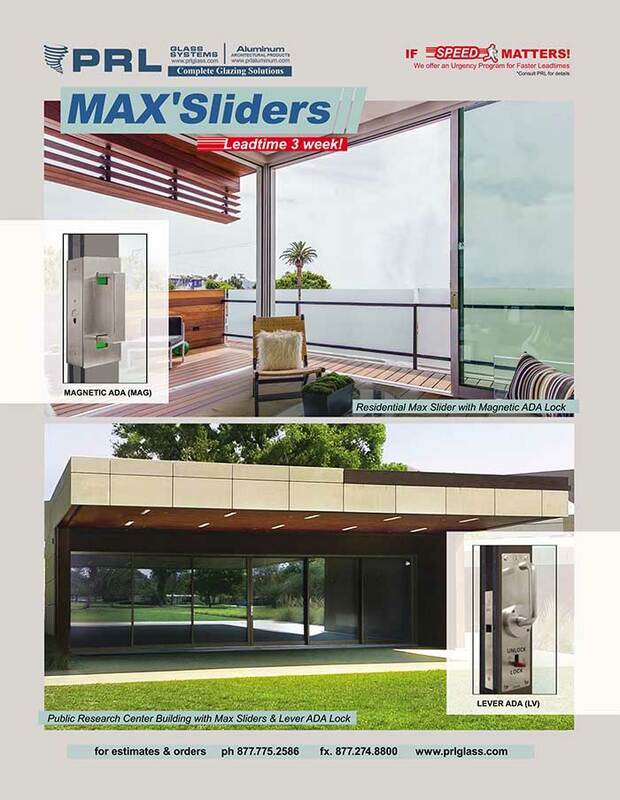 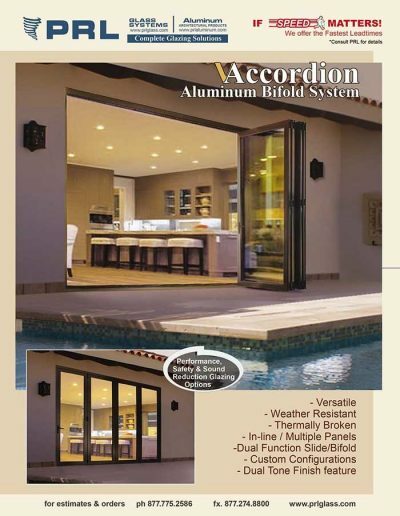 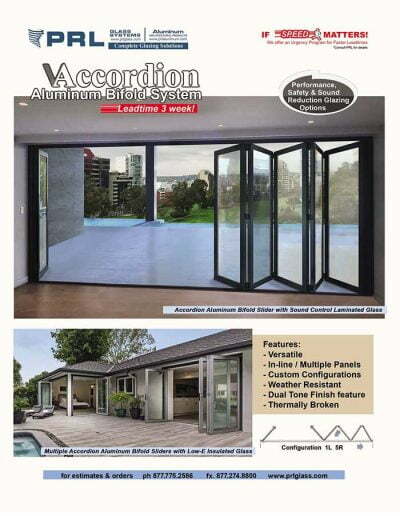 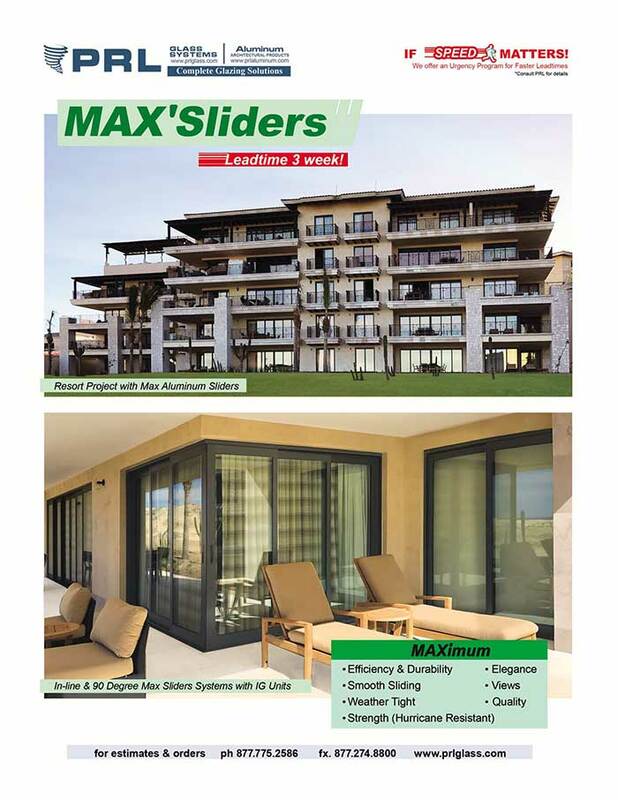 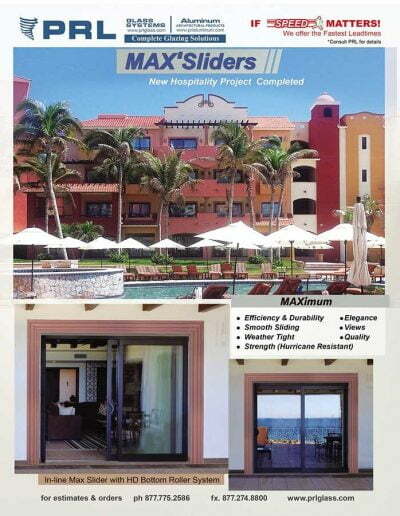 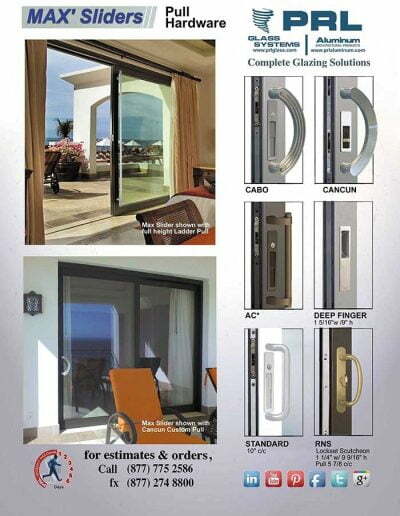 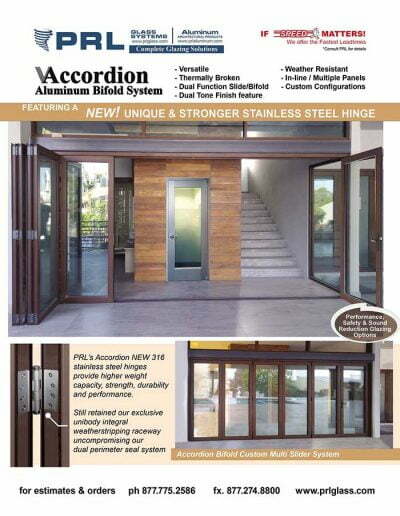 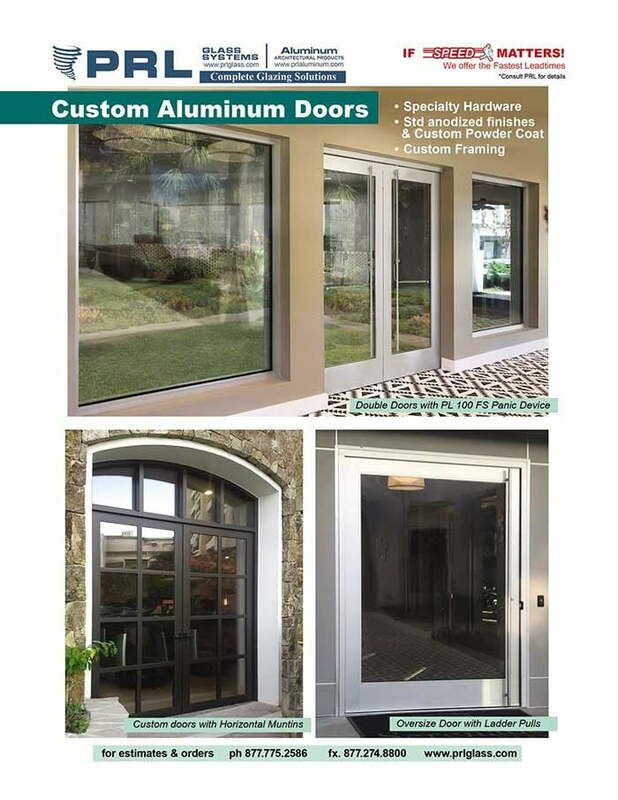 The Ruby Slider Door System, when fully opened, butts against the adjacent wall or sidelight to maximize floor space while providing the most access to the opening. 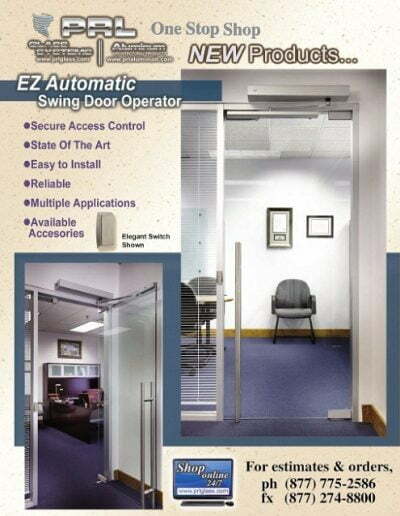 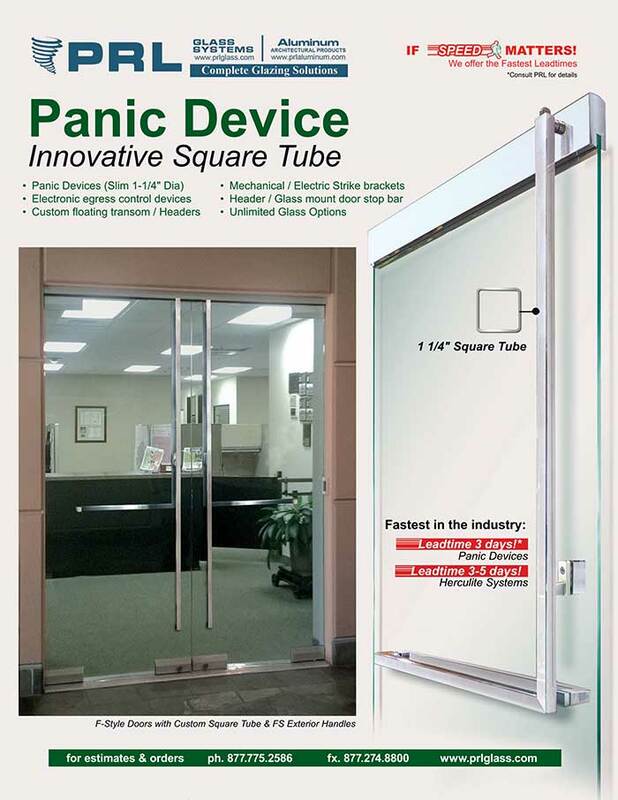 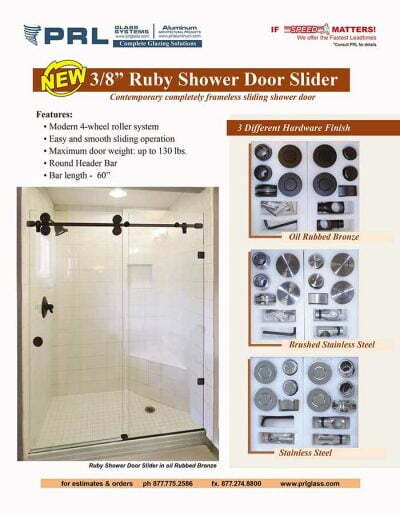 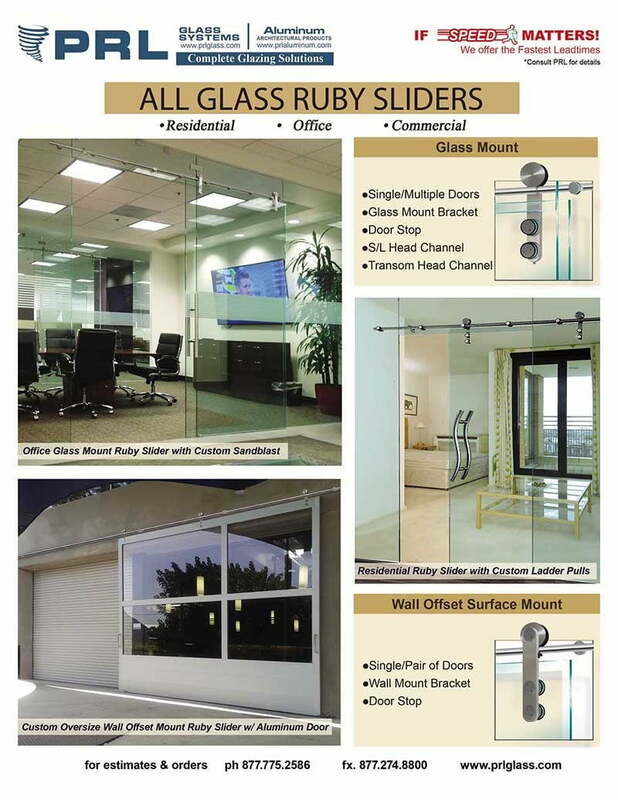 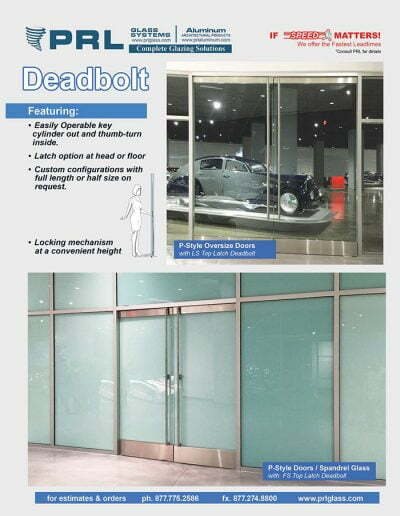 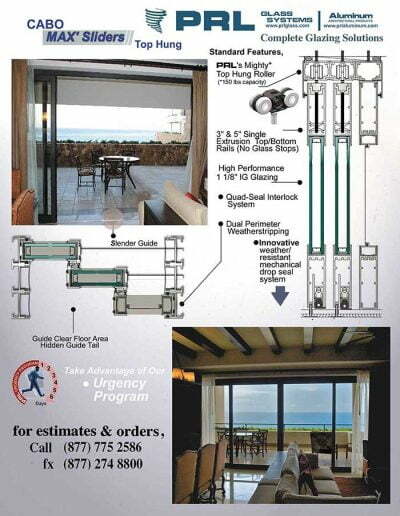 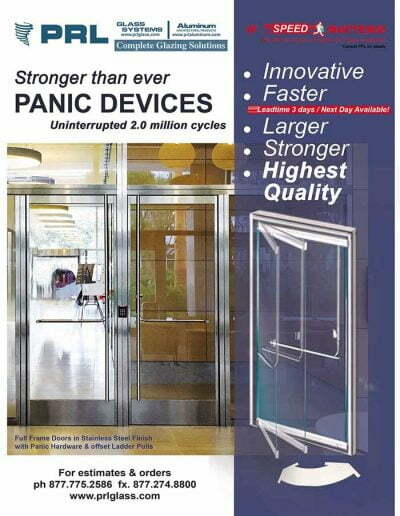 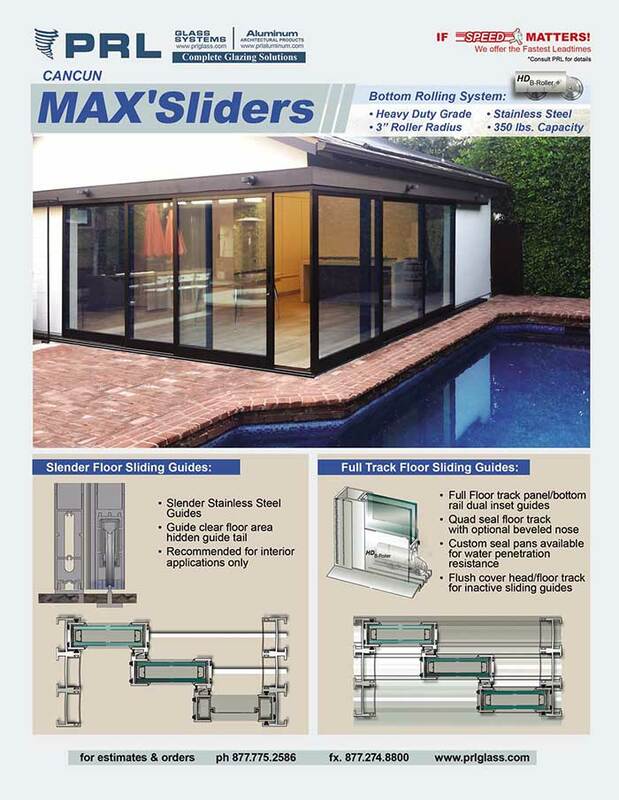 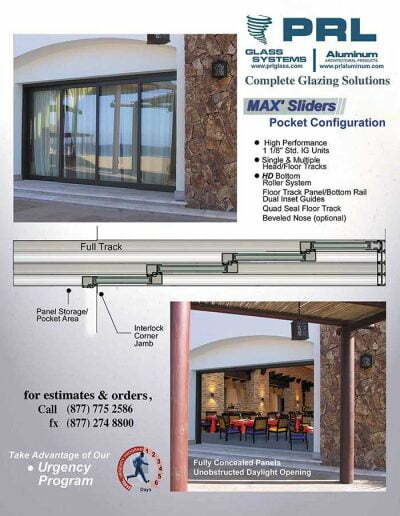 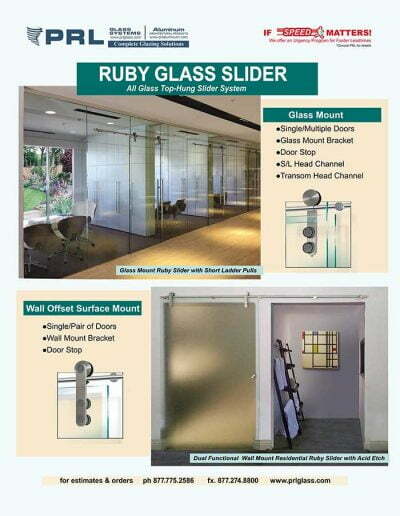 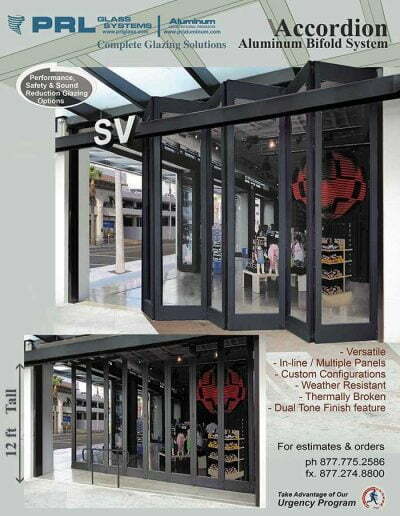 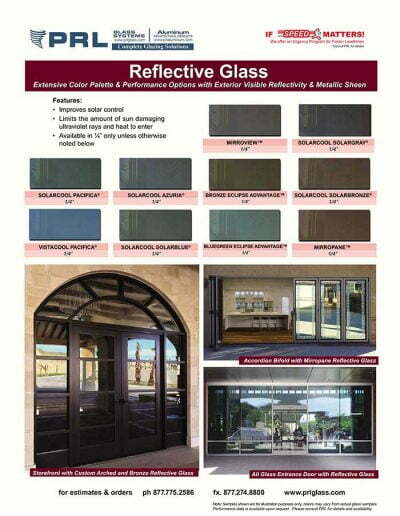 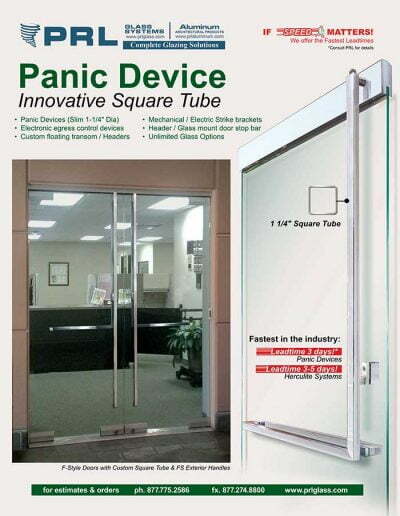 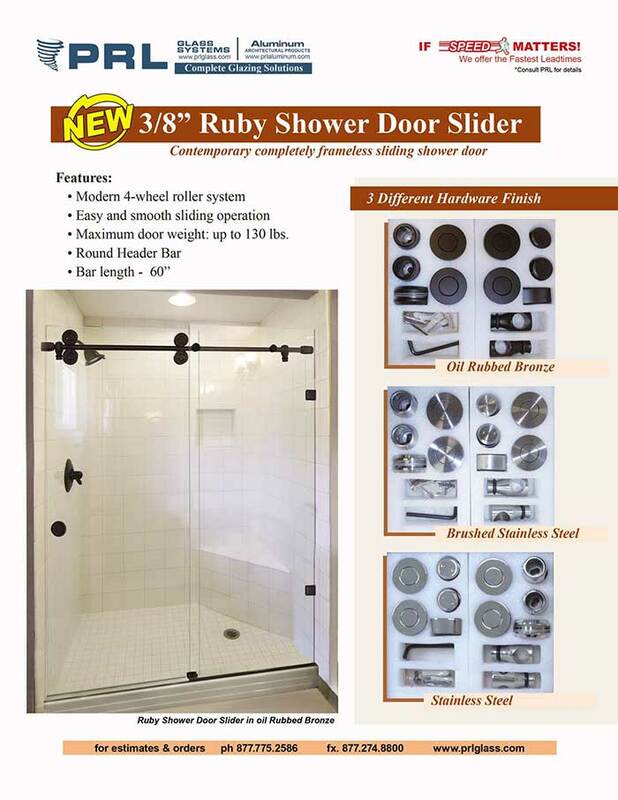 The Ruby all glass slider door is similar to a barn door slider in that it is suspended from above leaving a trackless and uninterrupted floor. 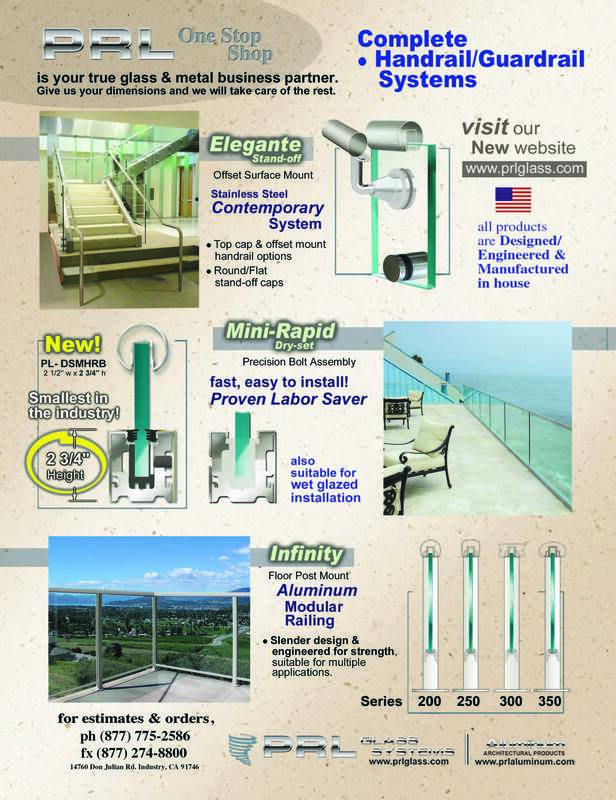 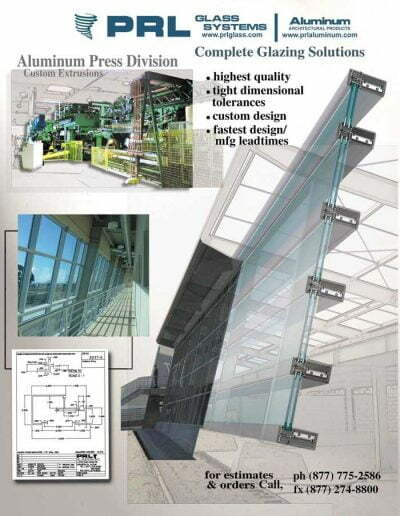 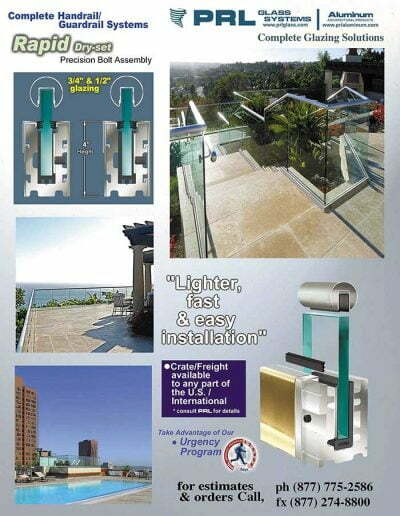 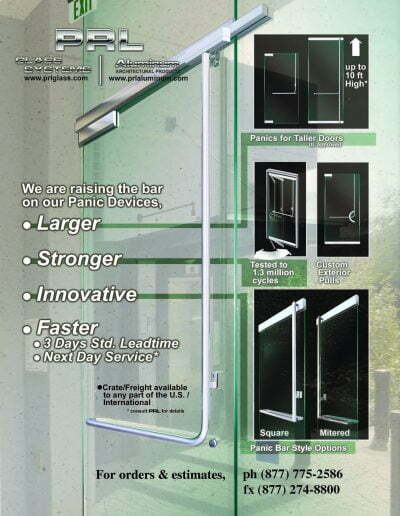 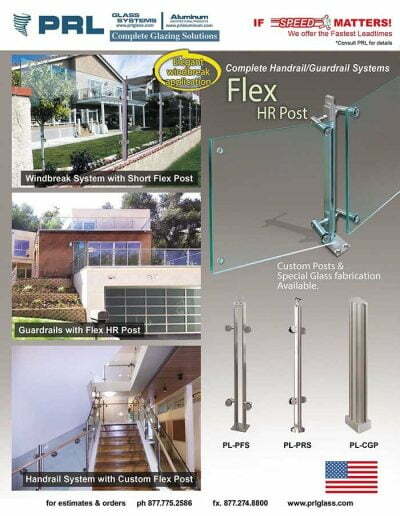 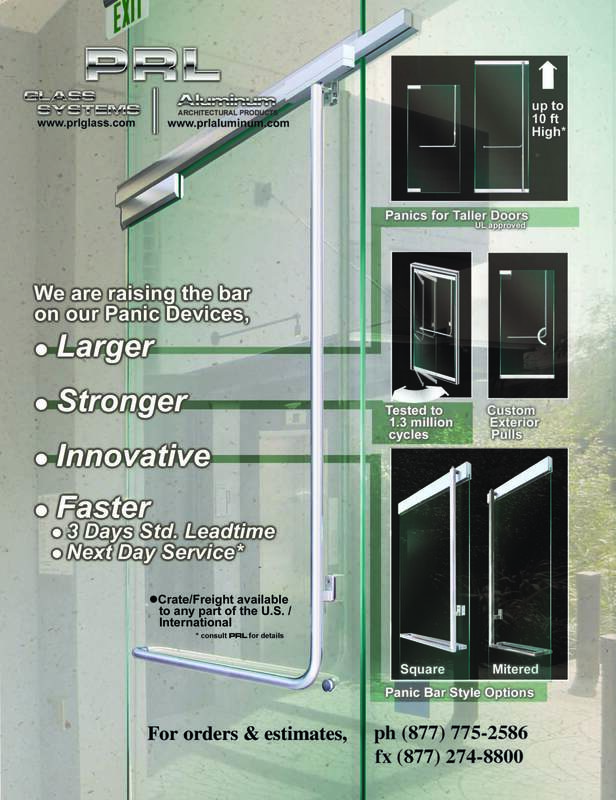 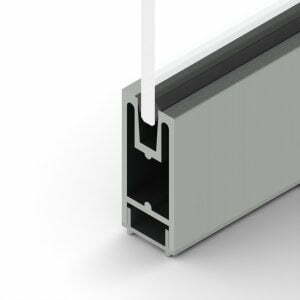 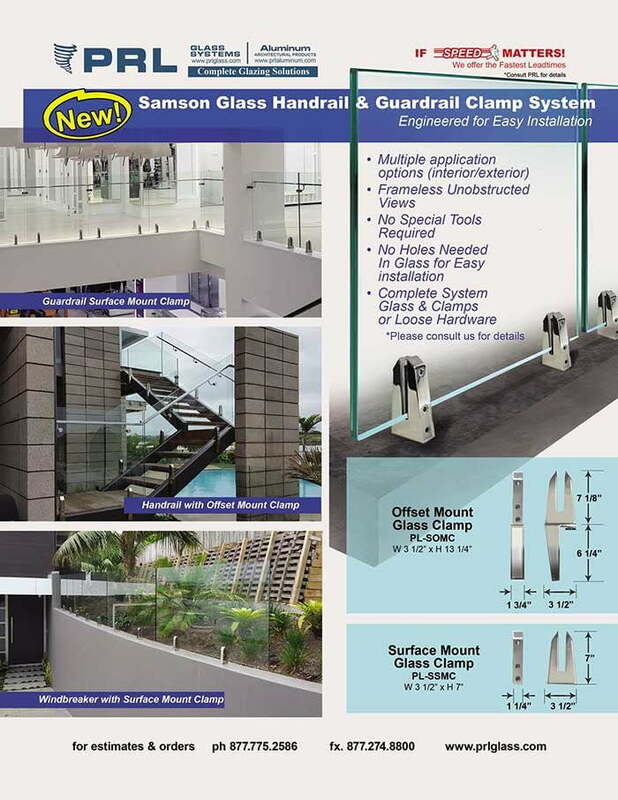 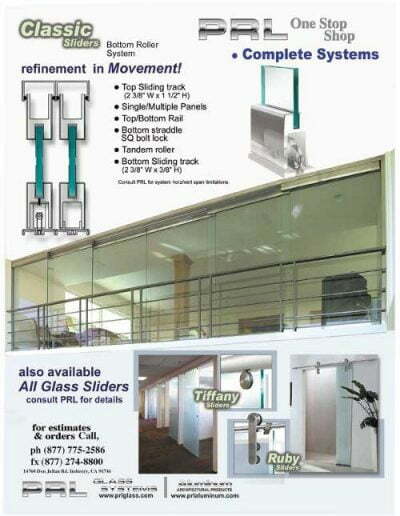 In this slider system the glass is connected to the rod by attractive hardware. 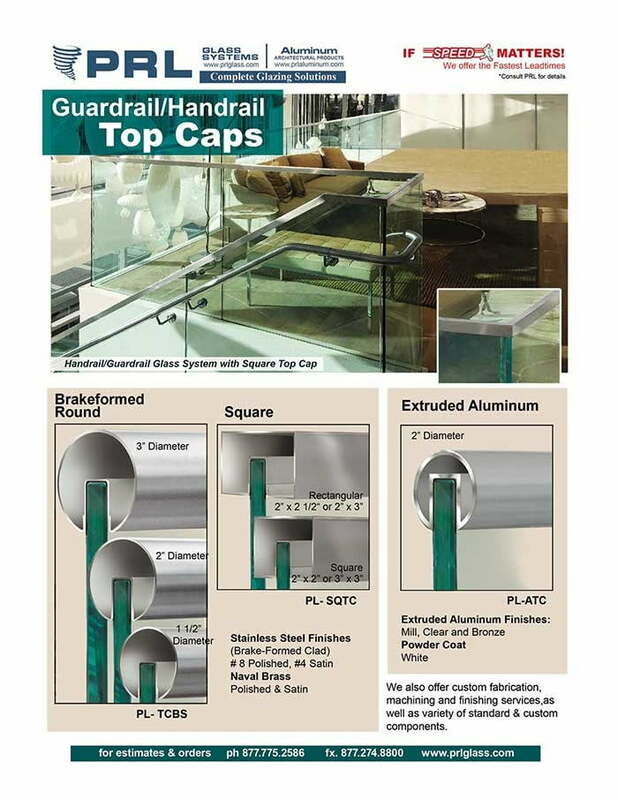 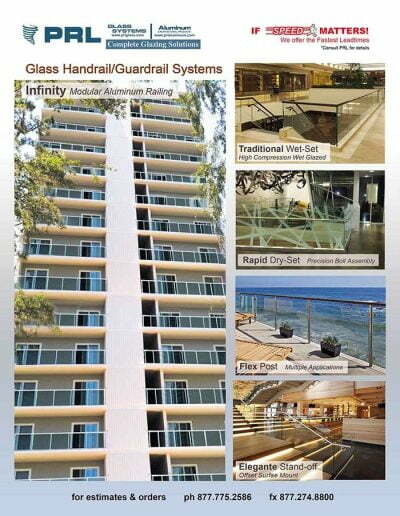 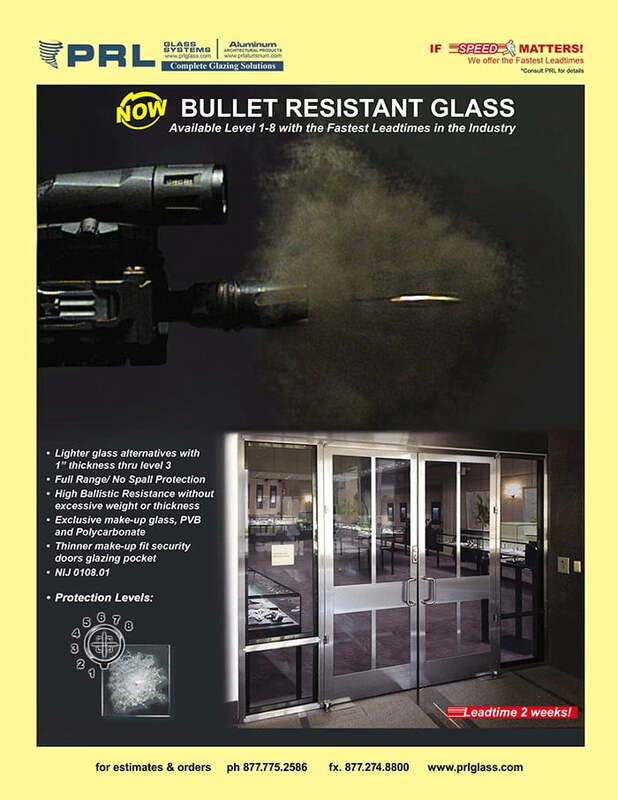 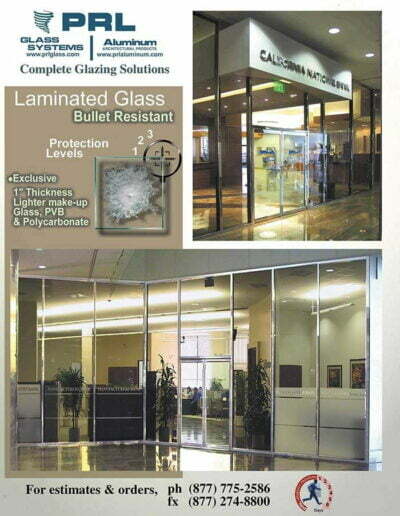 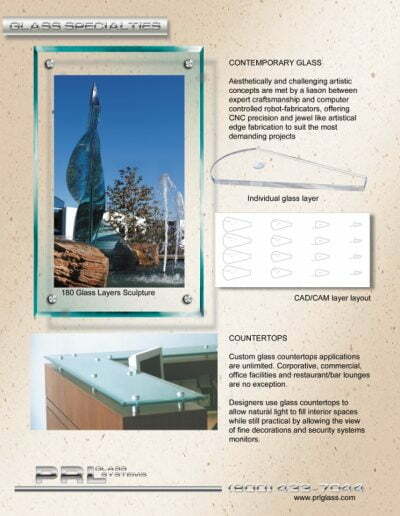 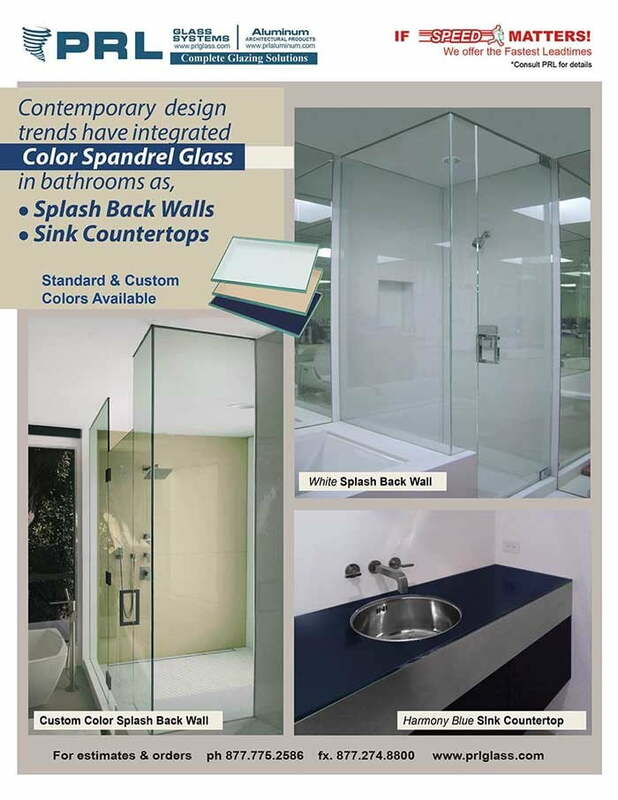 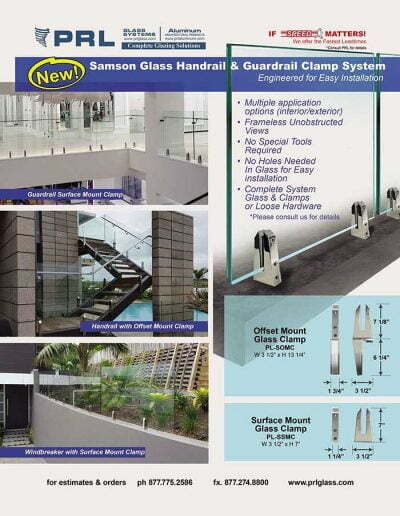 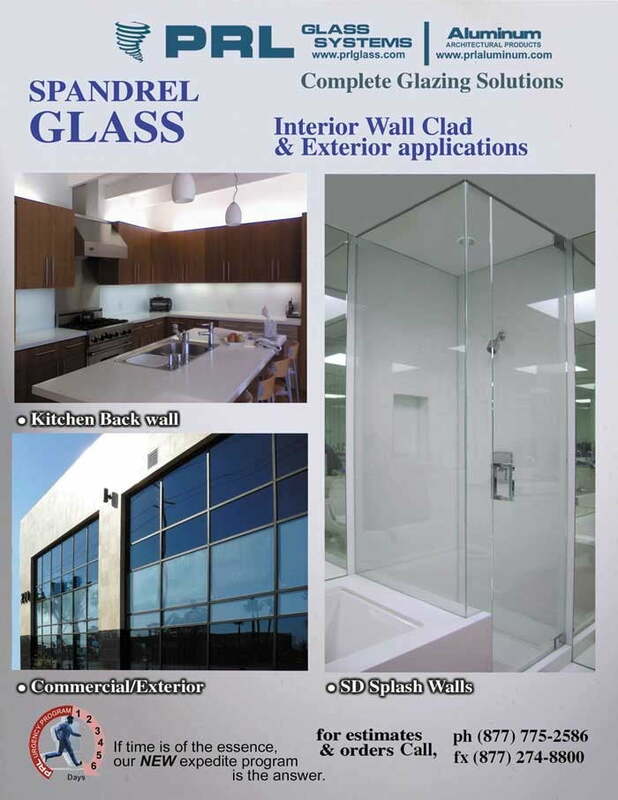 The roller is secured flush to the glass surface with counter sunk holes on the glass instead of straight thru holes. 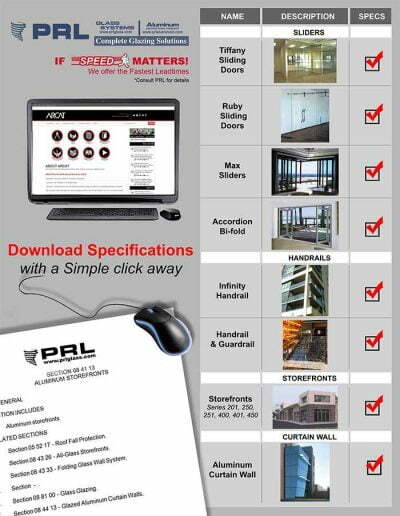 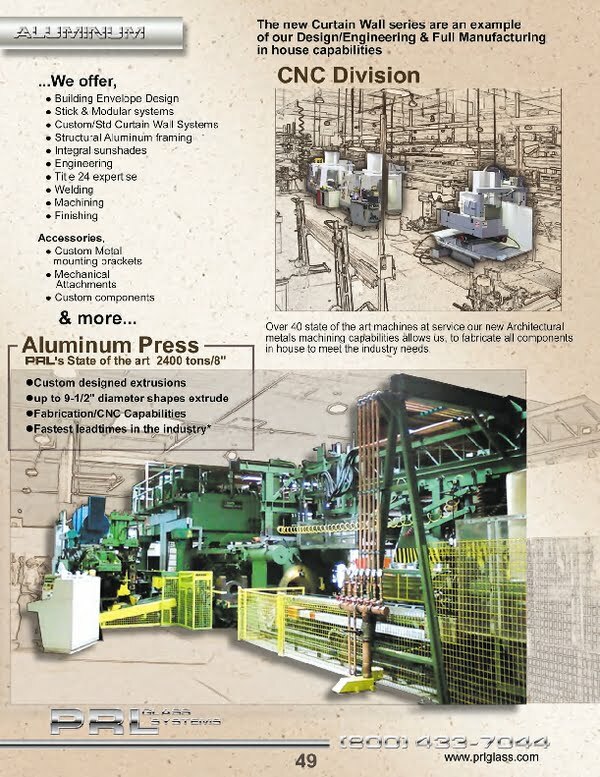 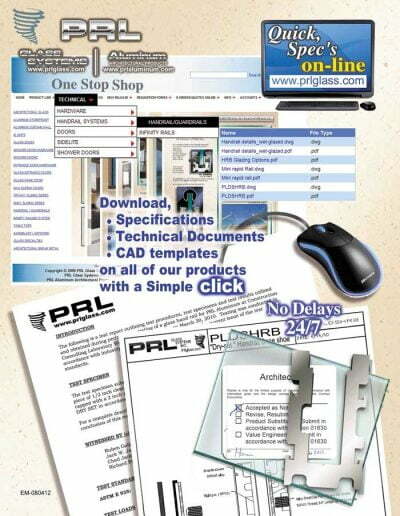 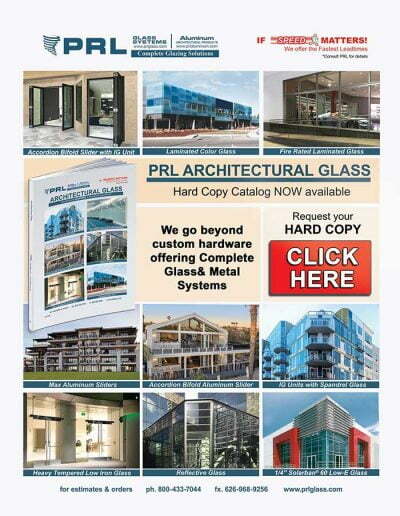 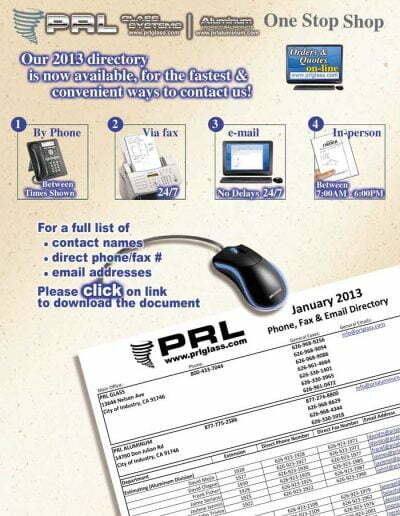 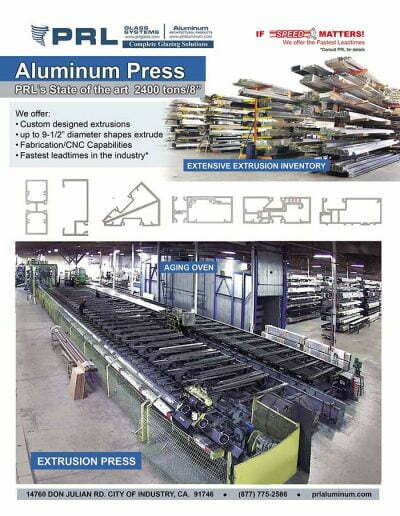 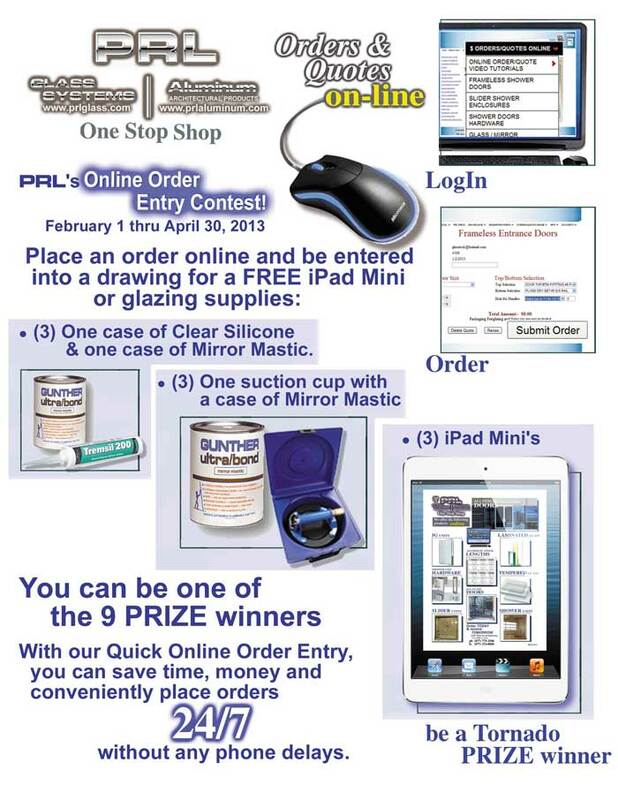 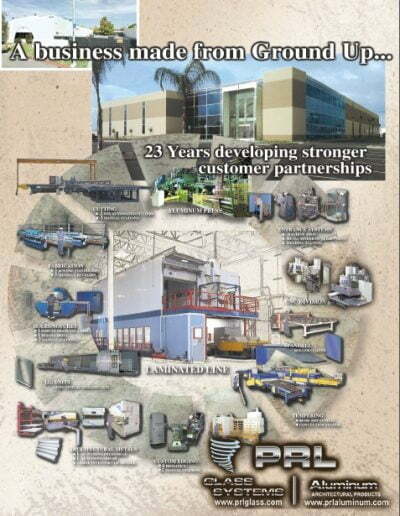 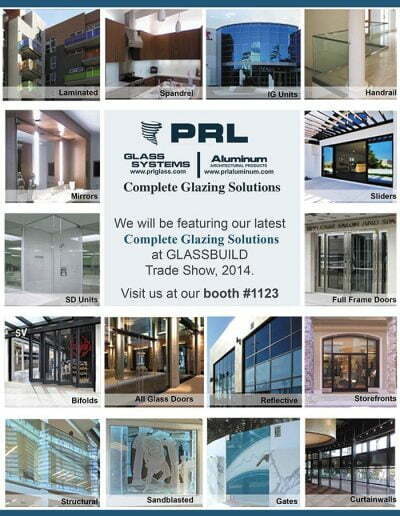 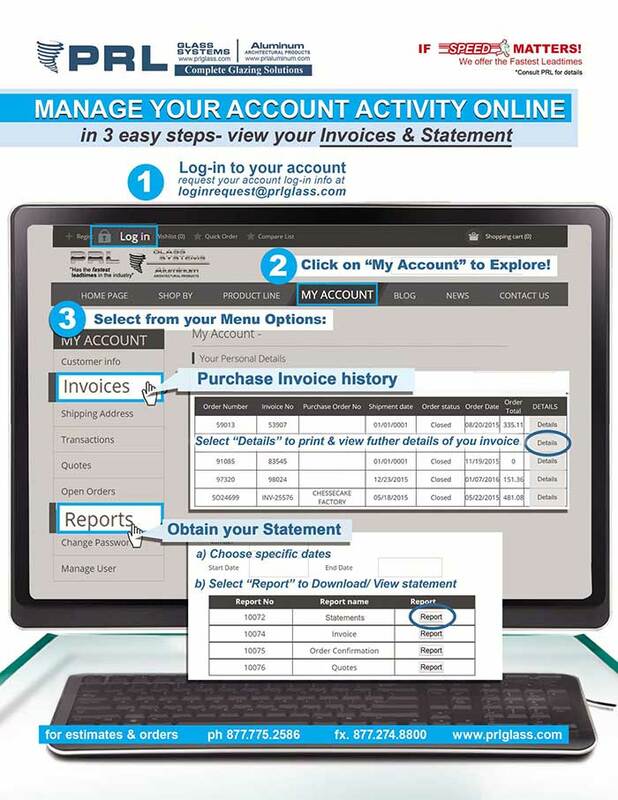 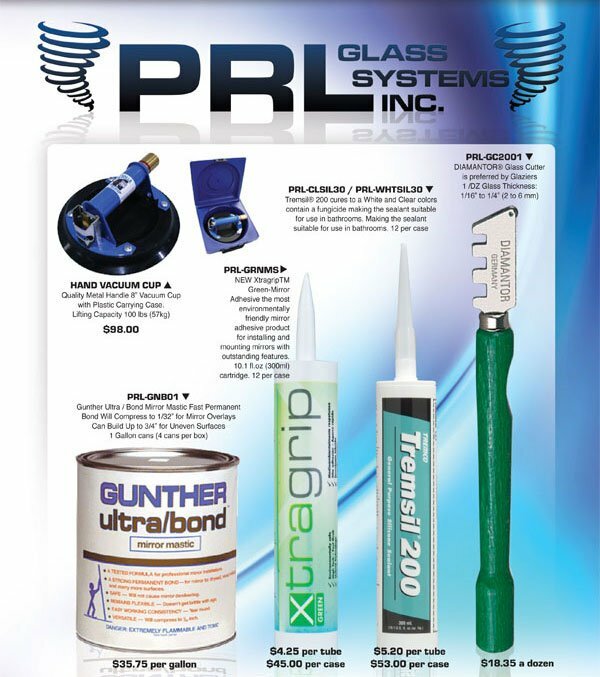 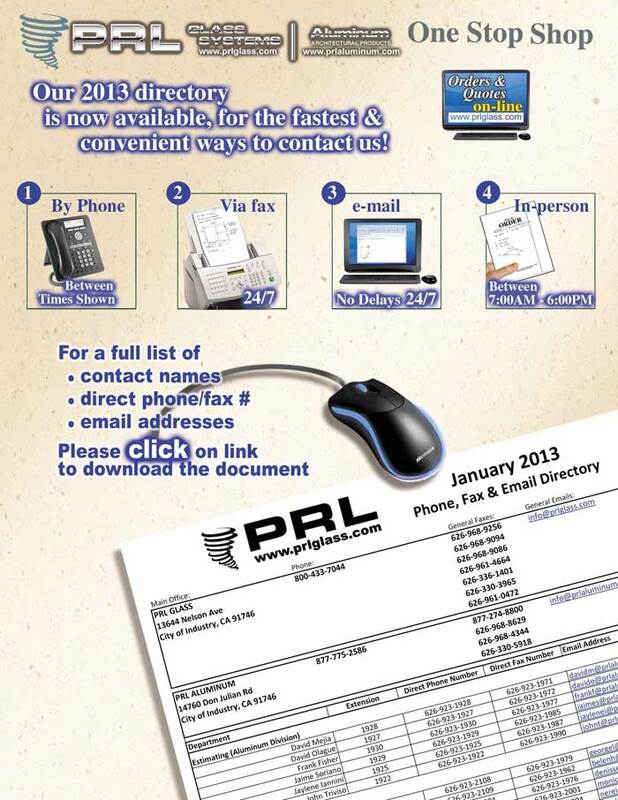 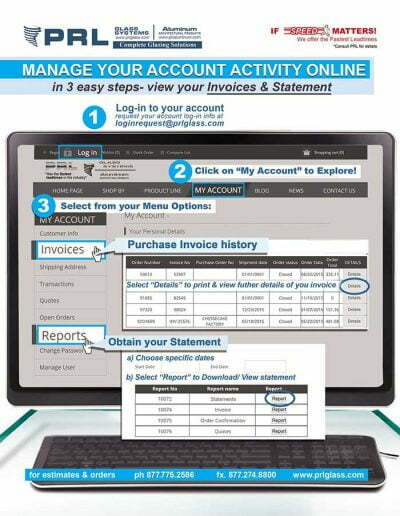 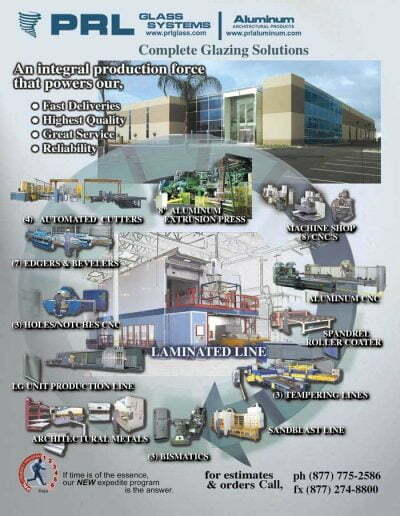 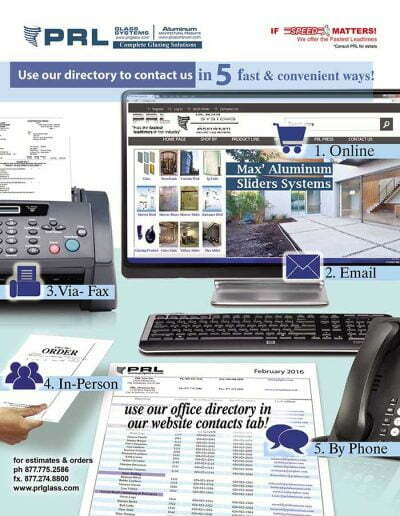 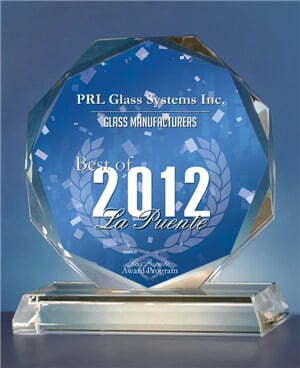 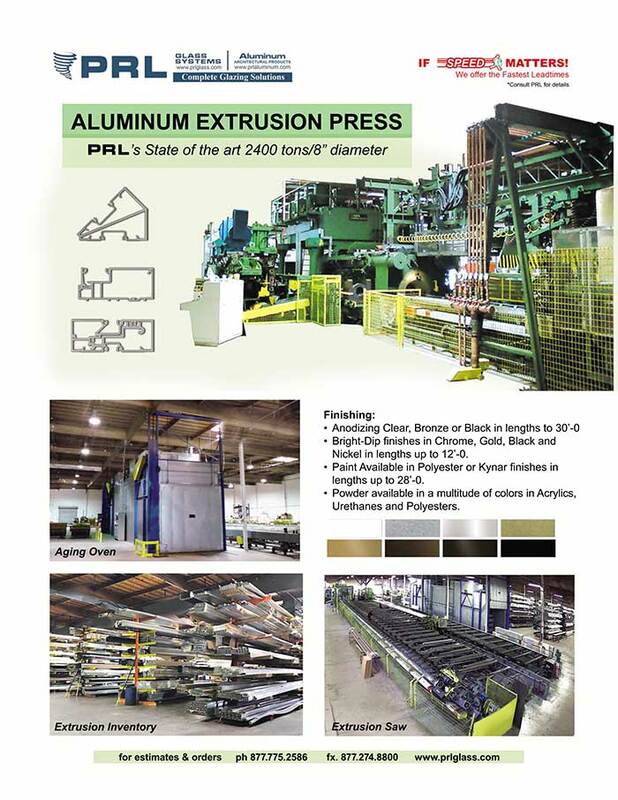 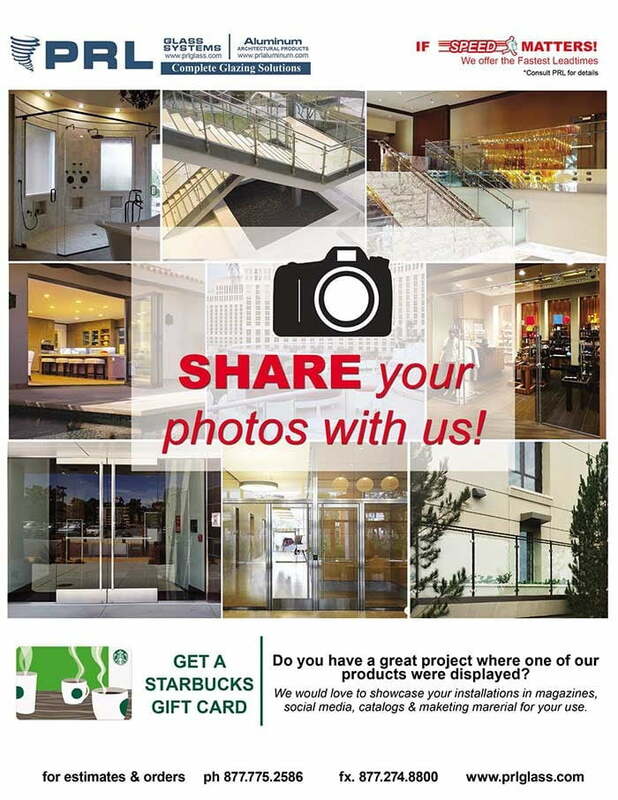 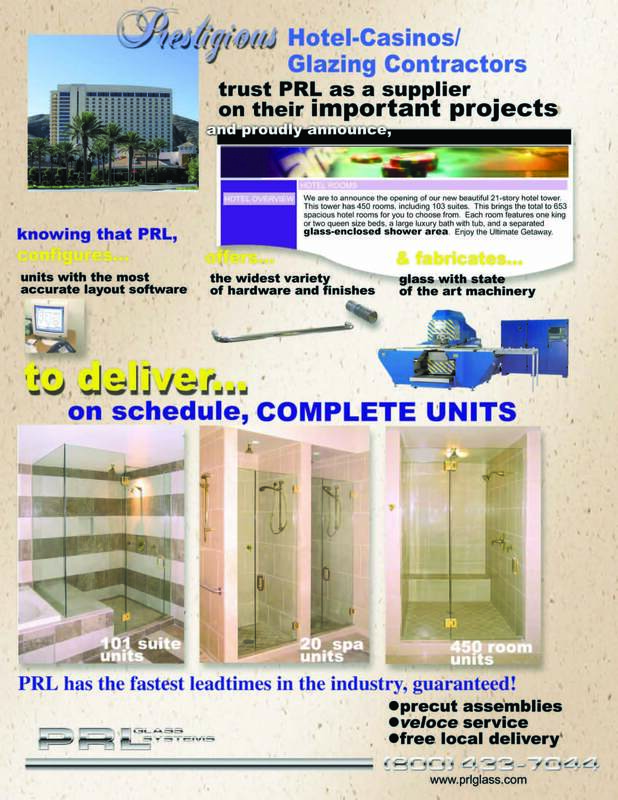 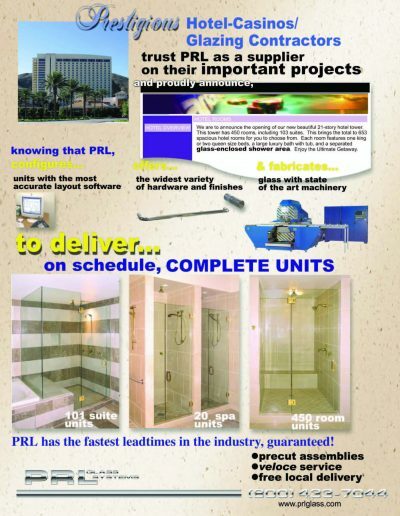 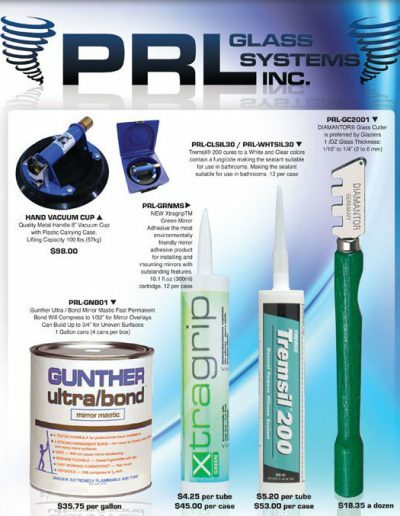 Our PRL staff would be glad to assist you with any and all technical details on our Ruby Systems. 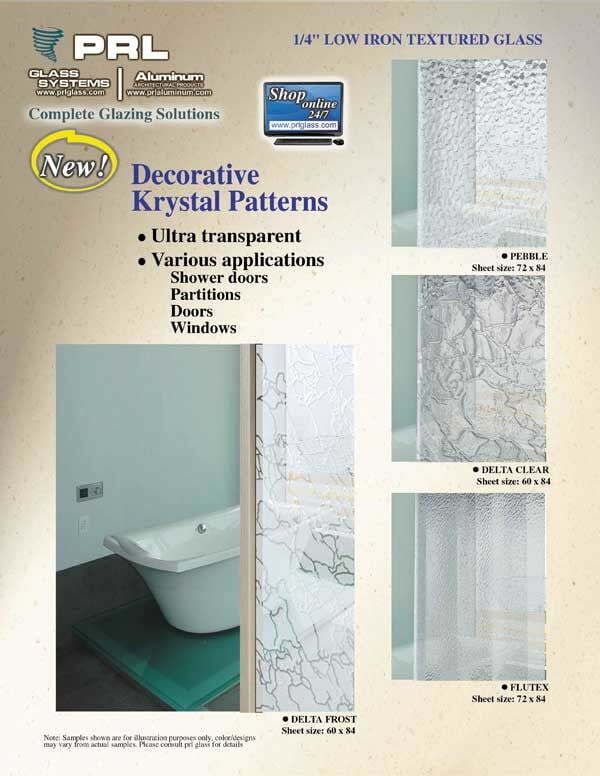 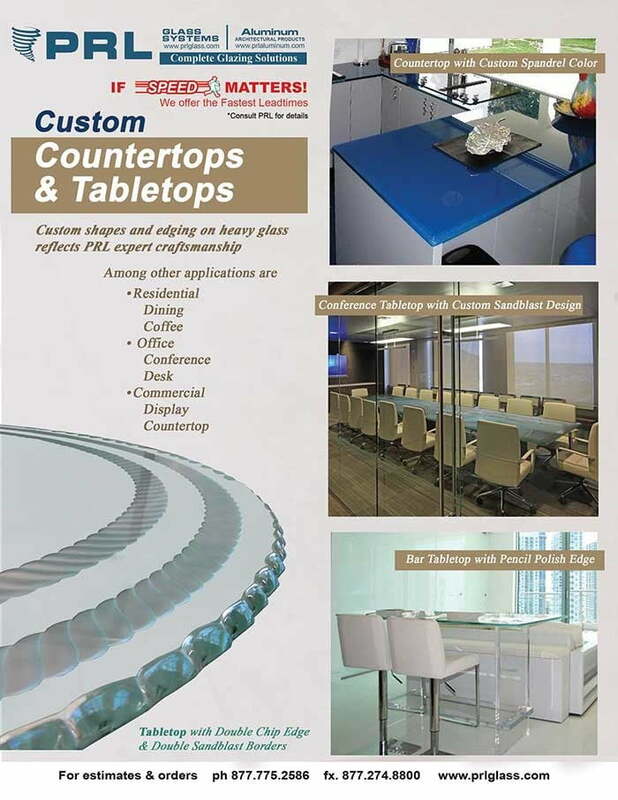 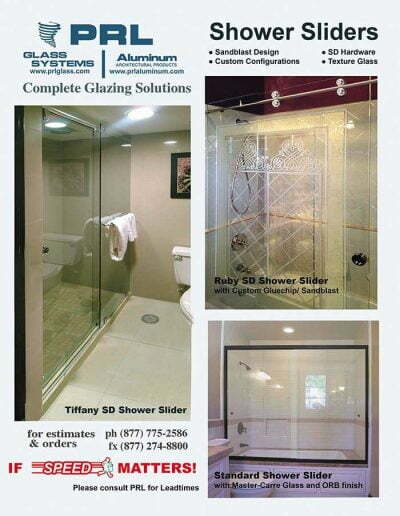 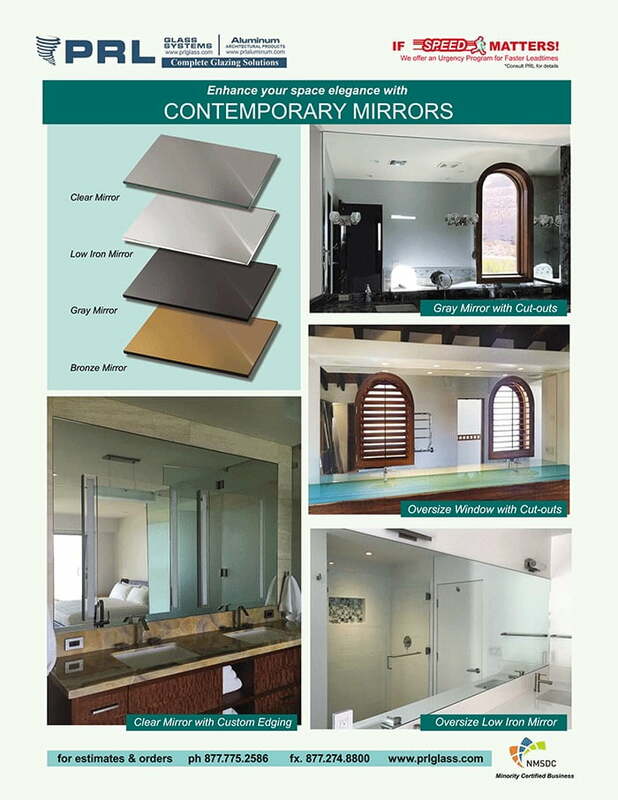 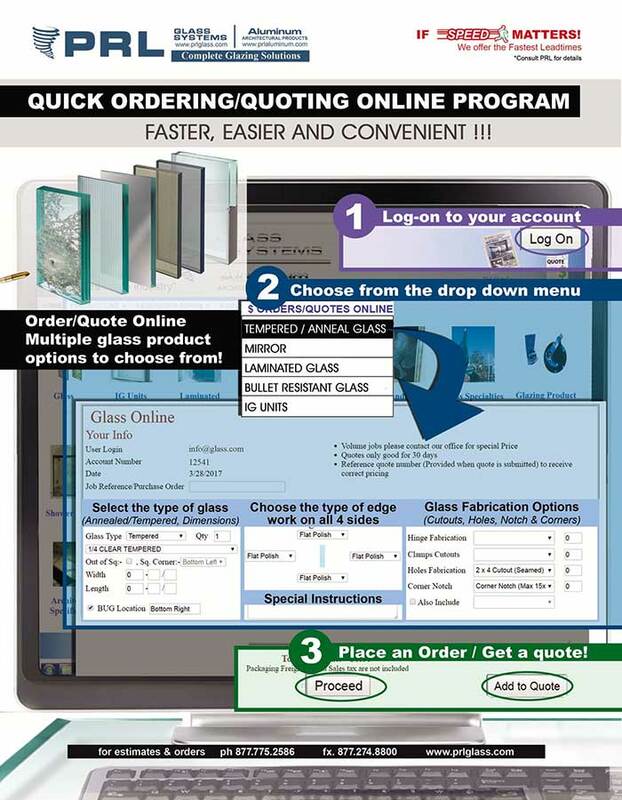 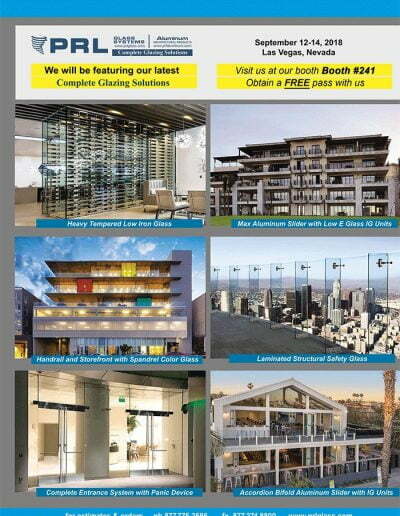 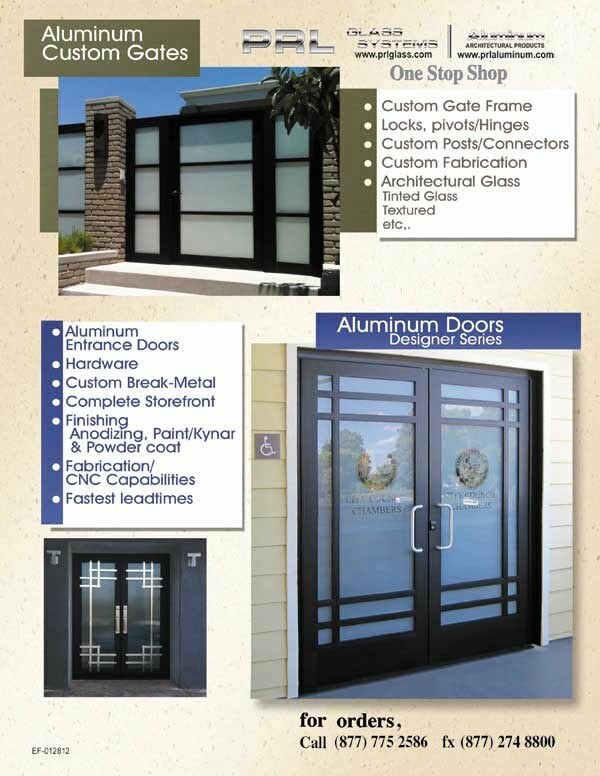 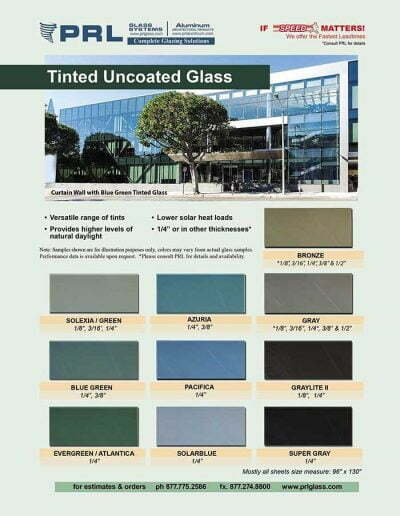 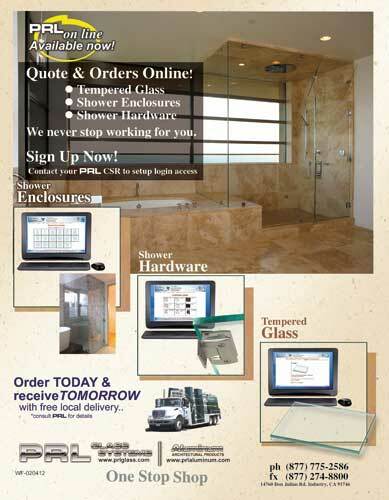 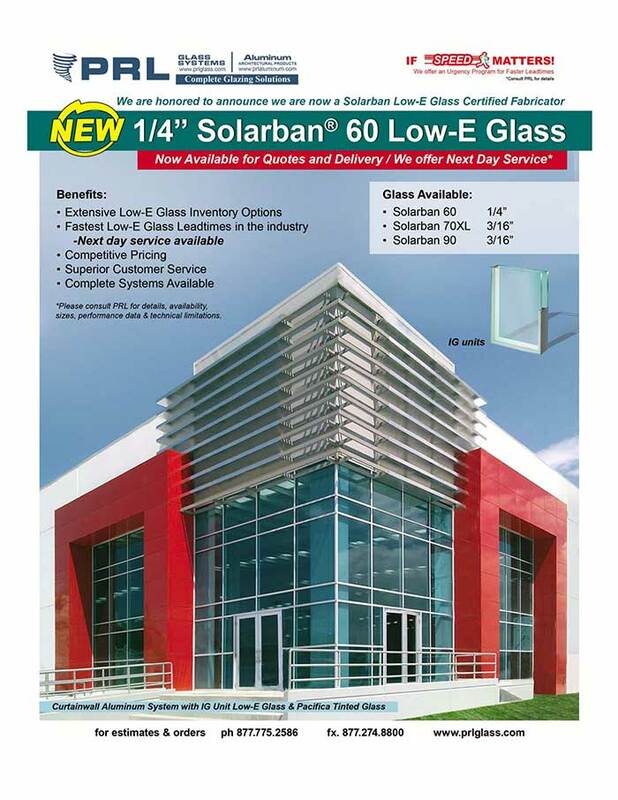 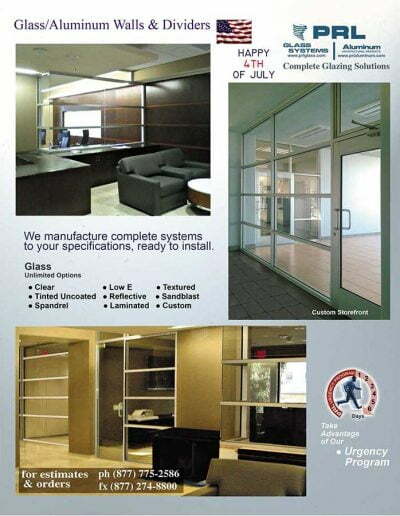 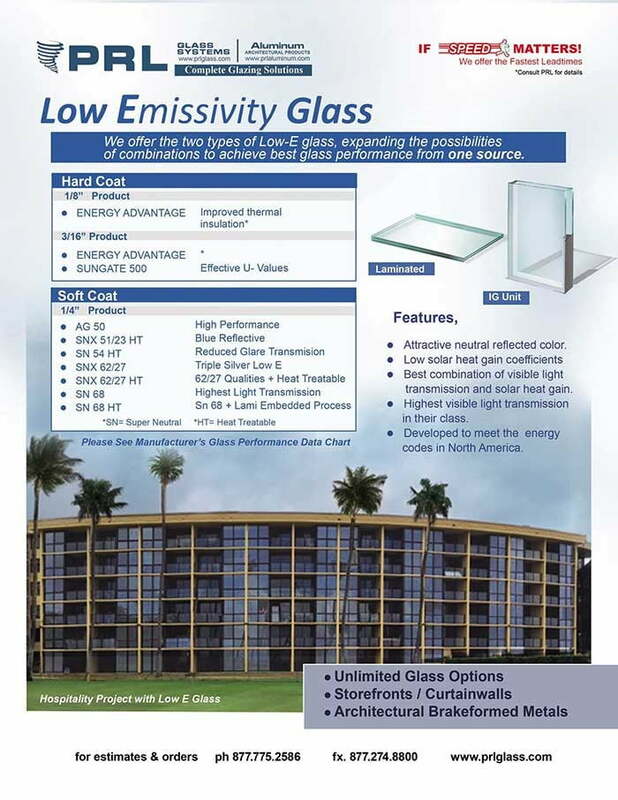 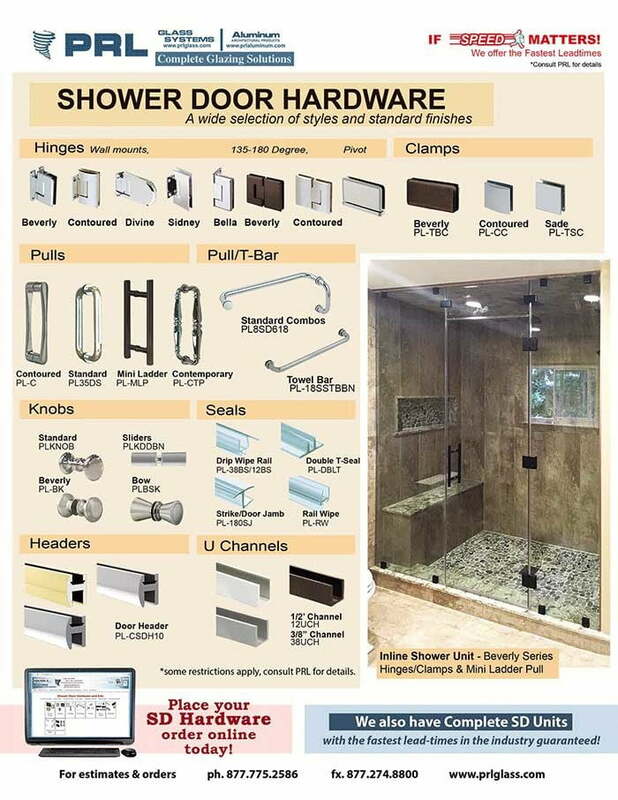 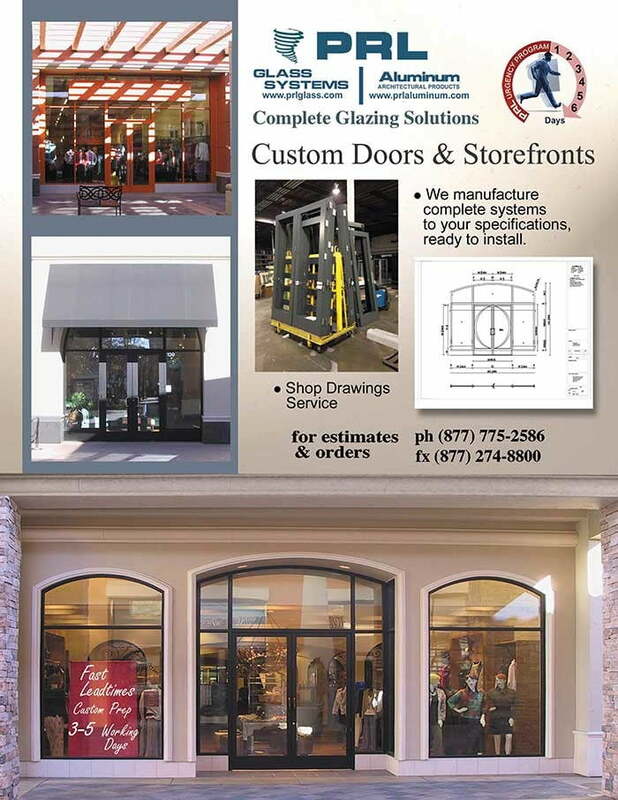 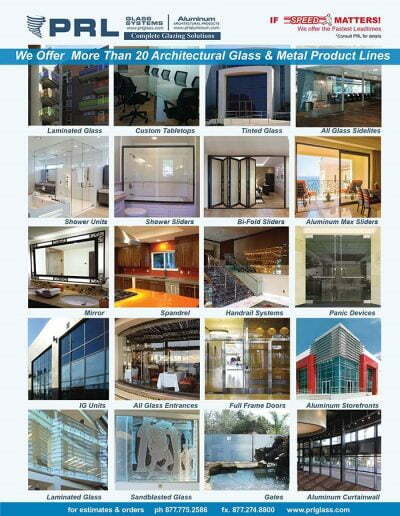 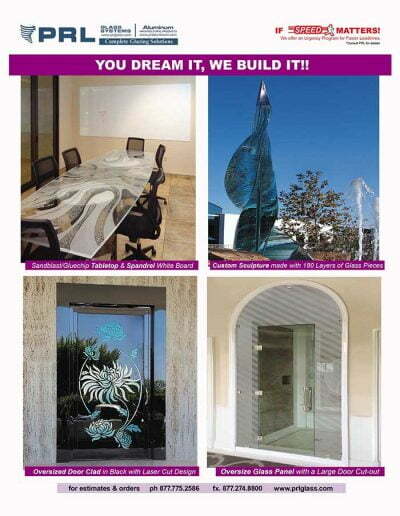 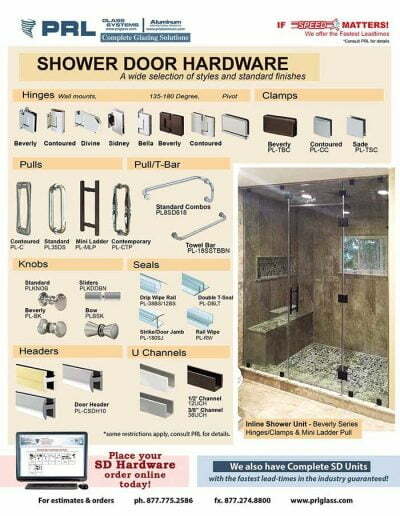 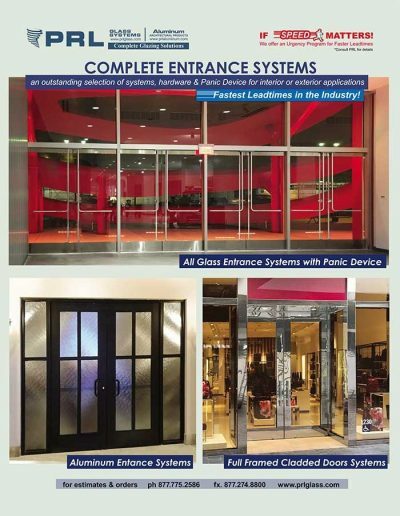 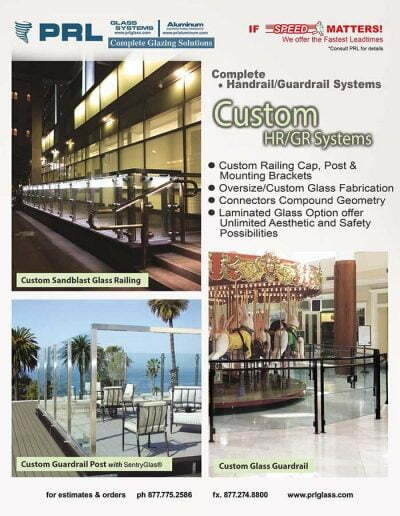 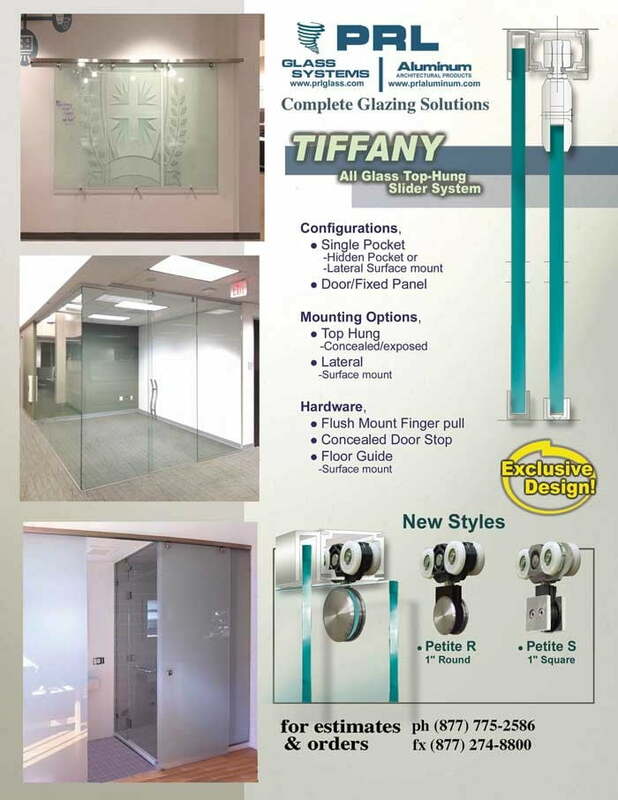 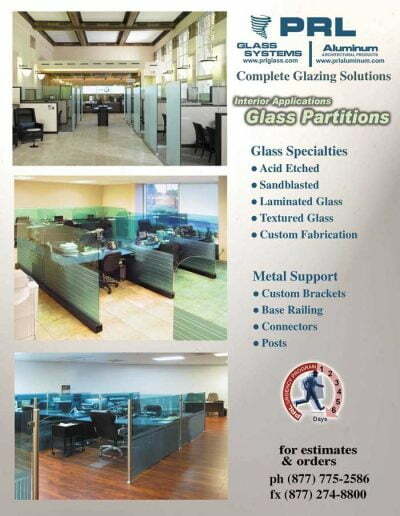 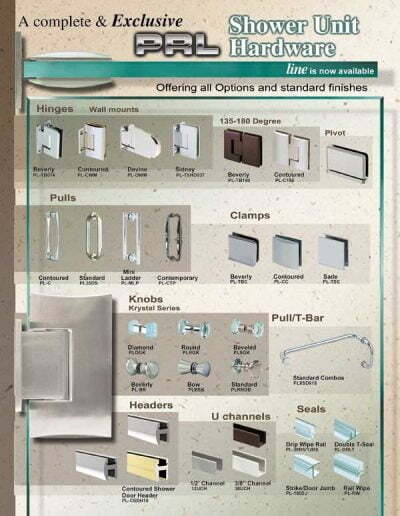 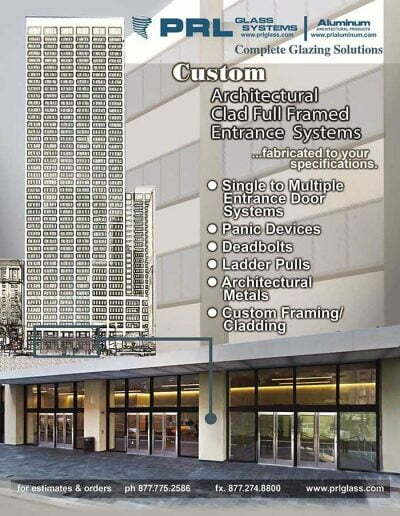 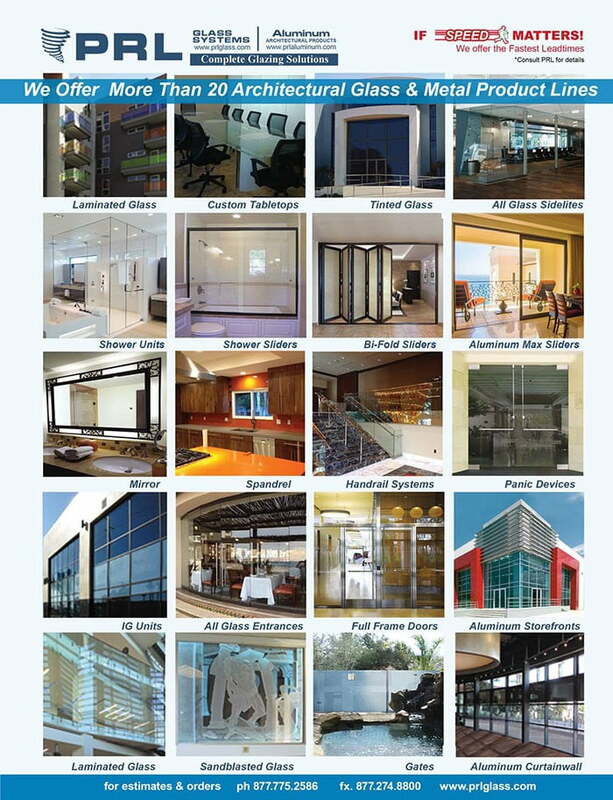 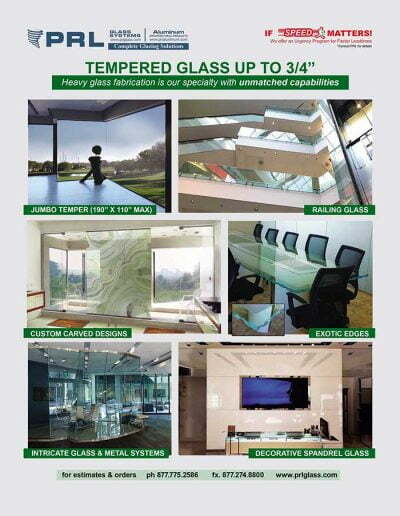 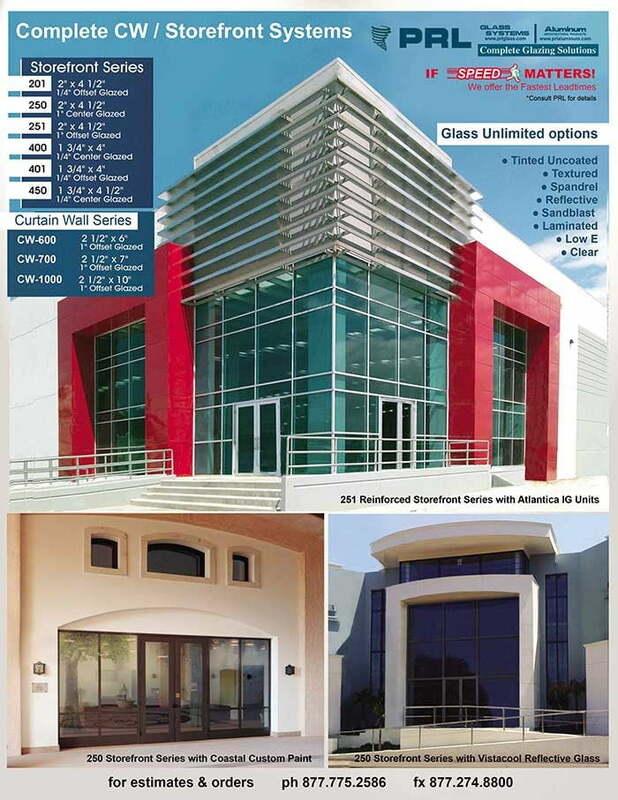 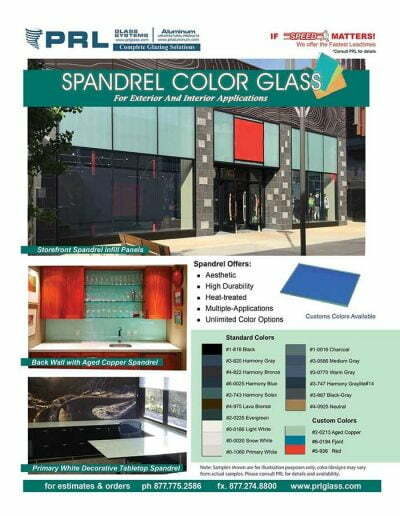 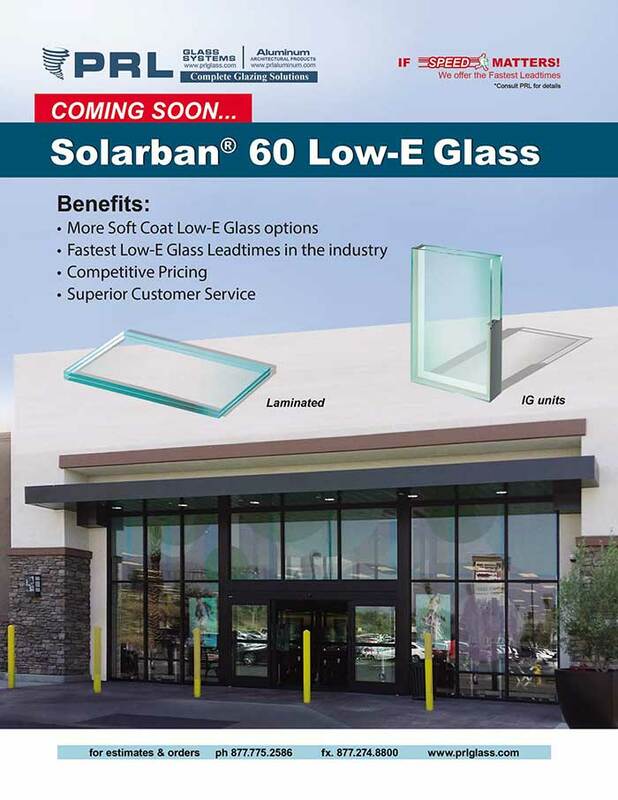 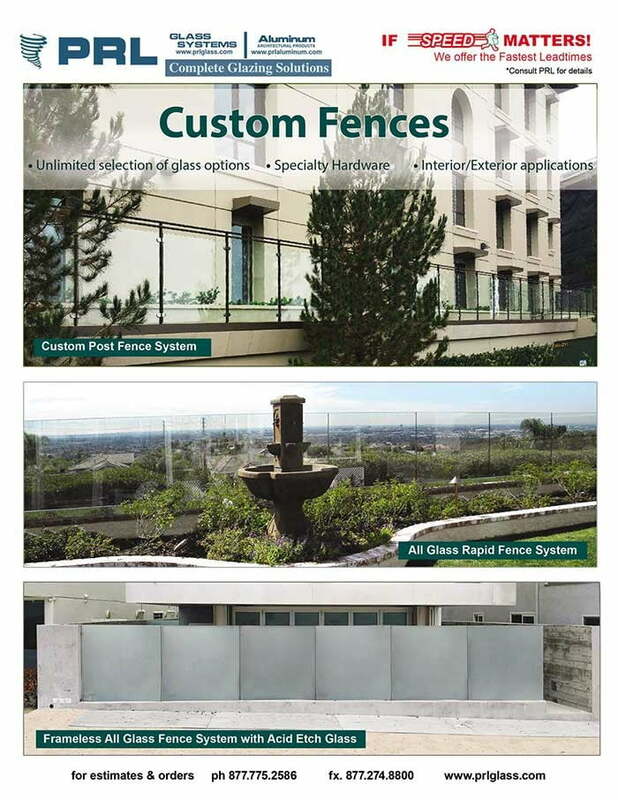 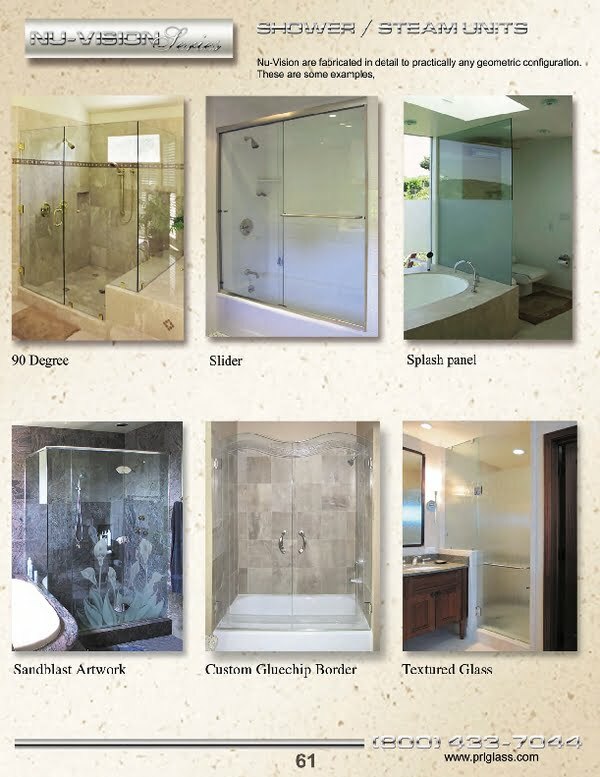 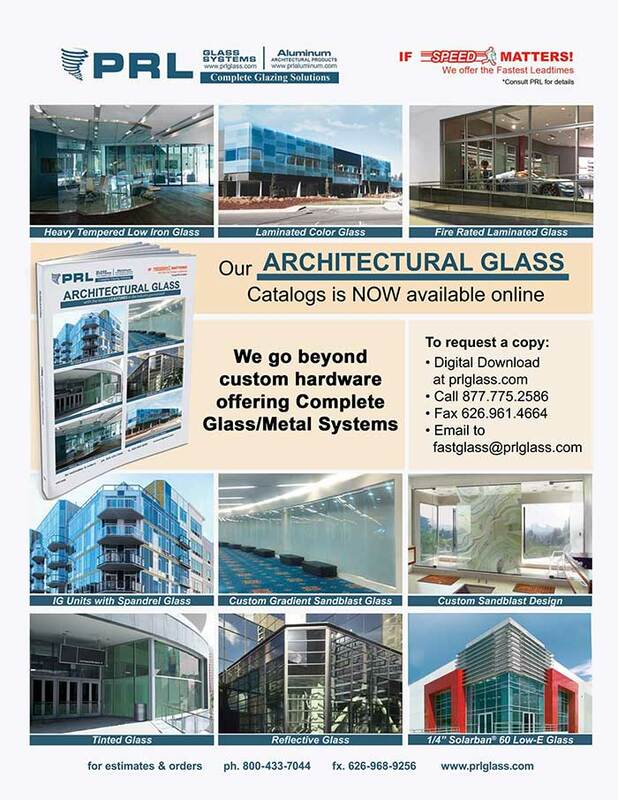 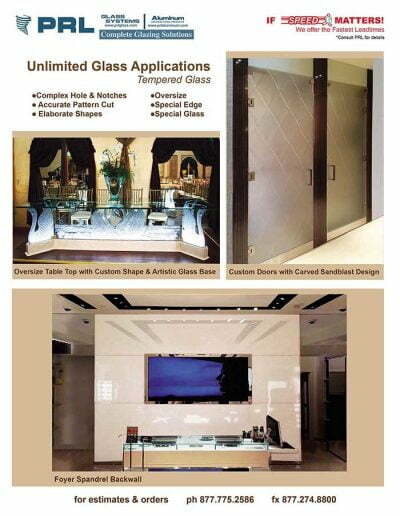 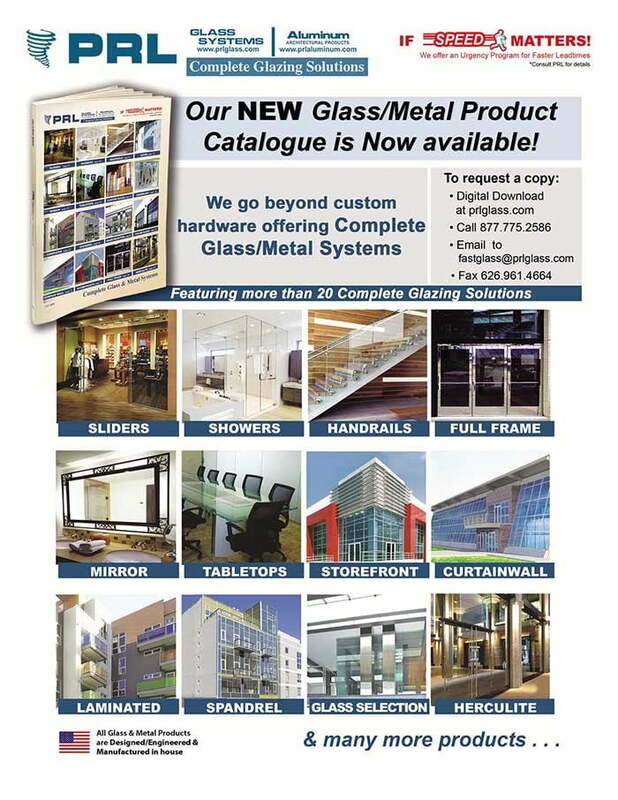 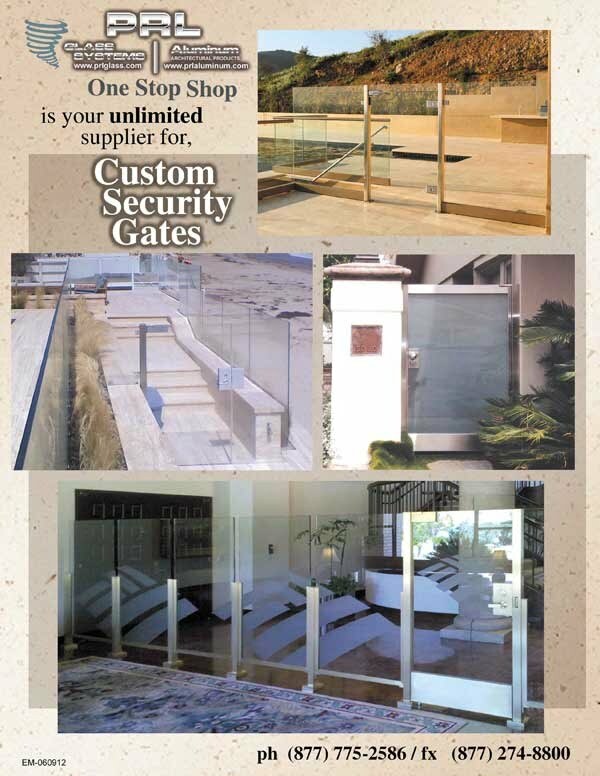 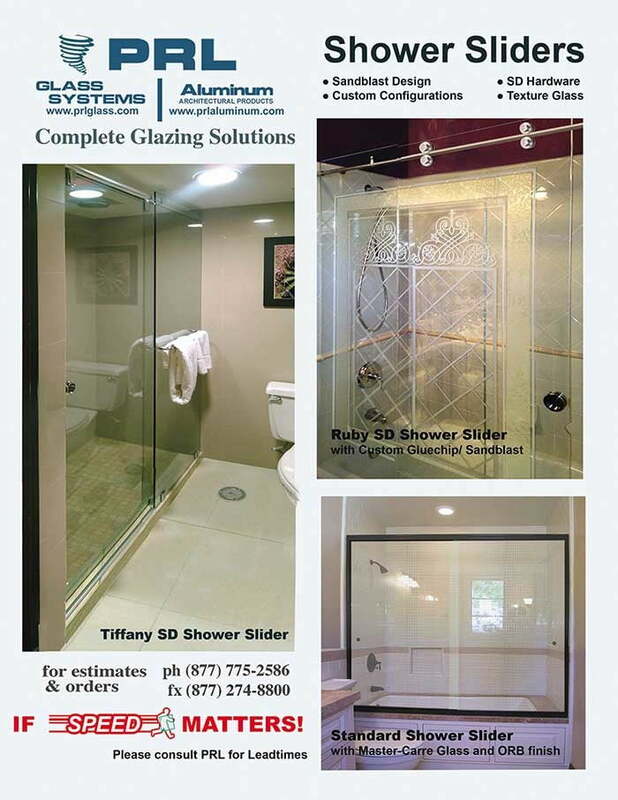 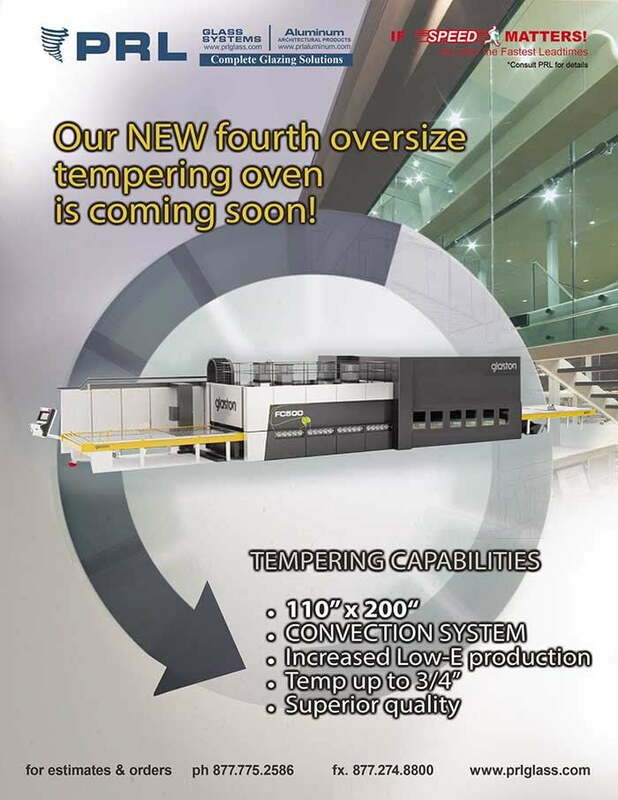 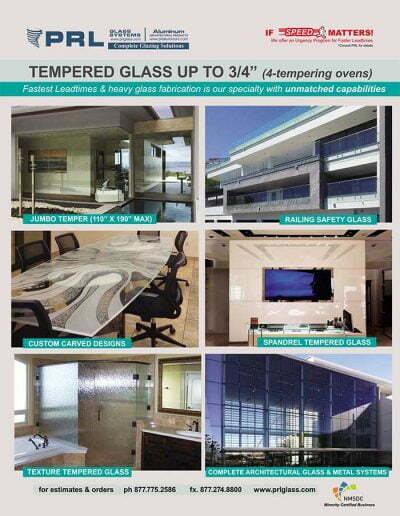 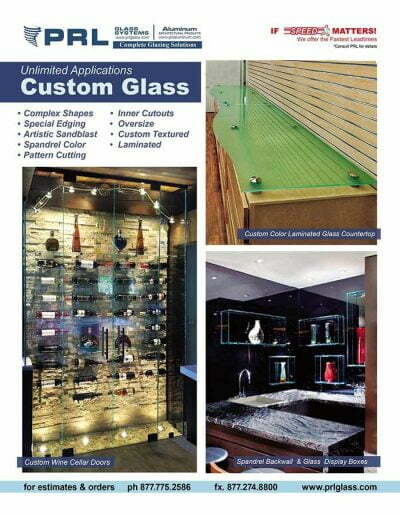 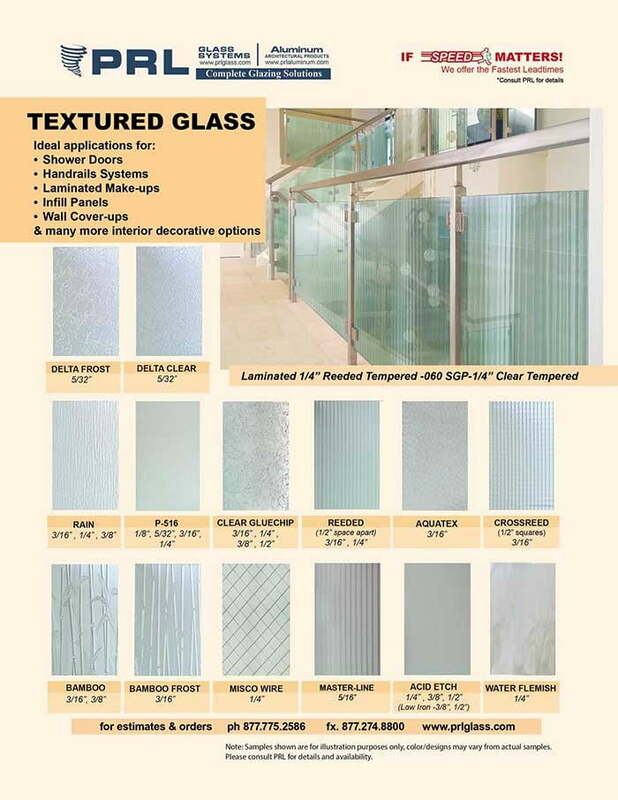 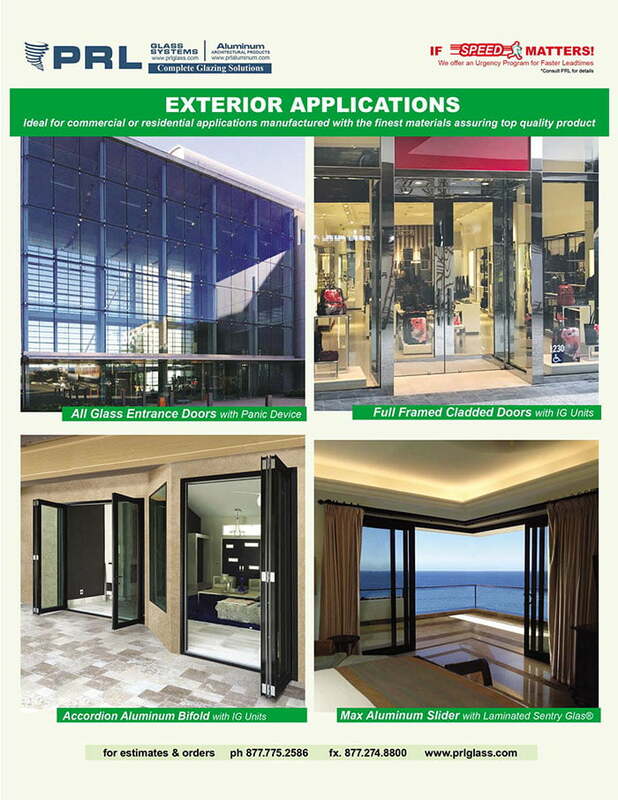 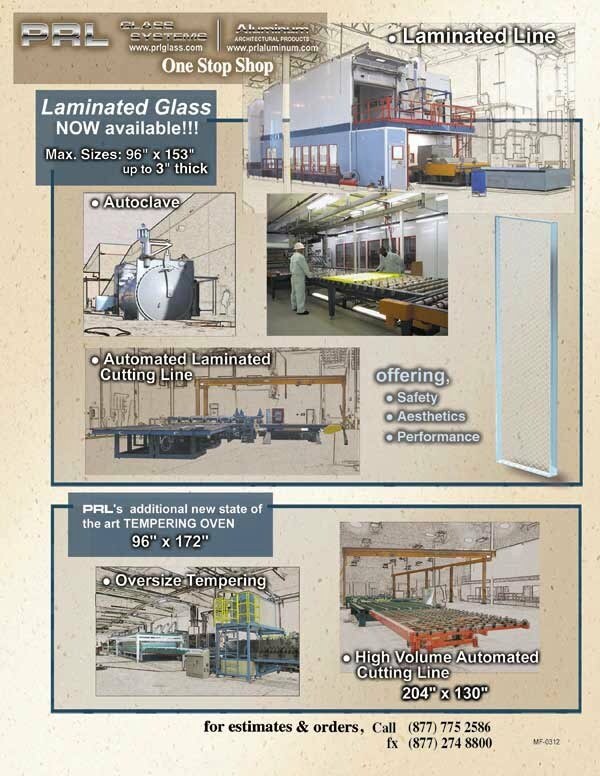 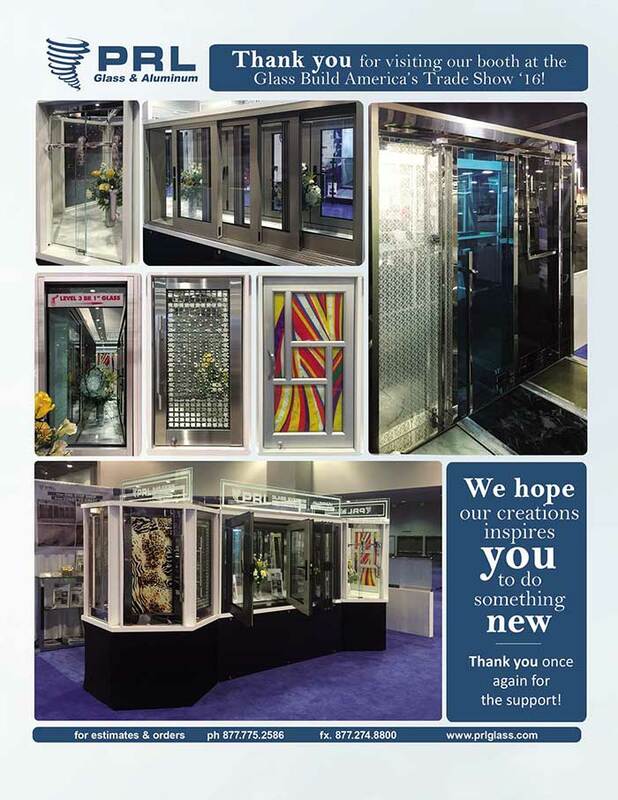 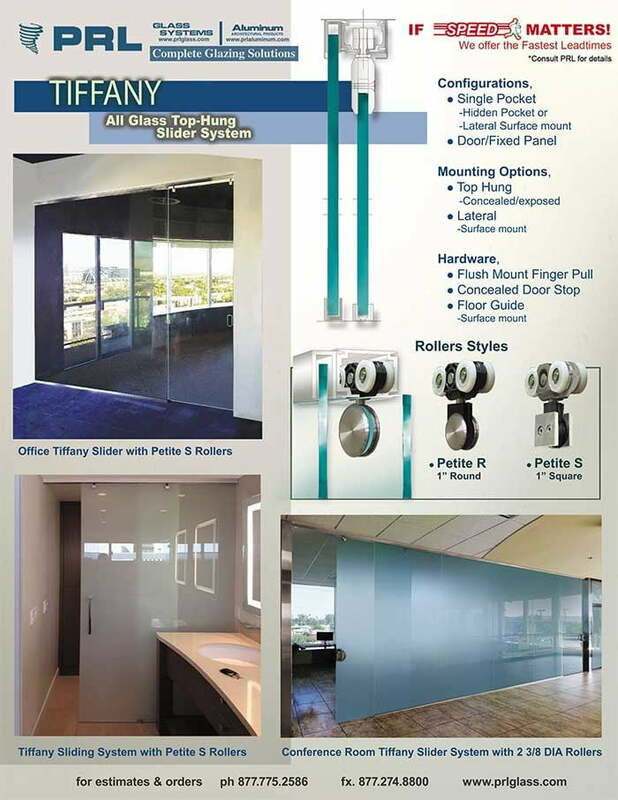 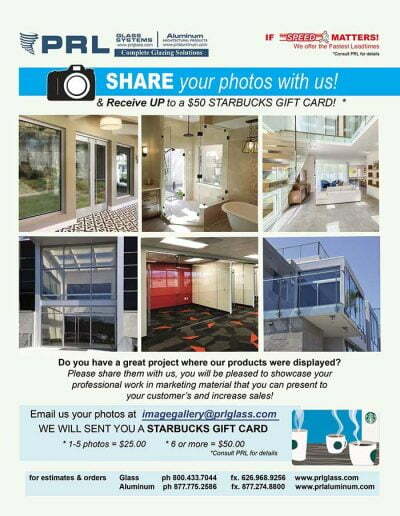 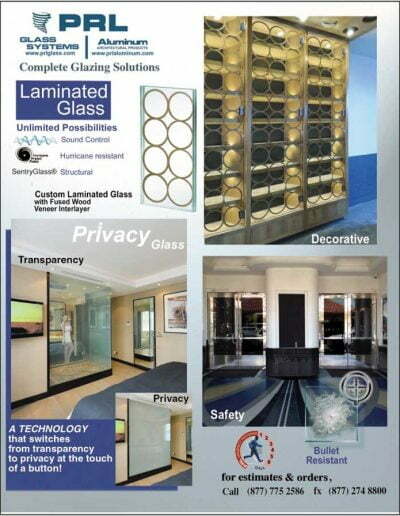 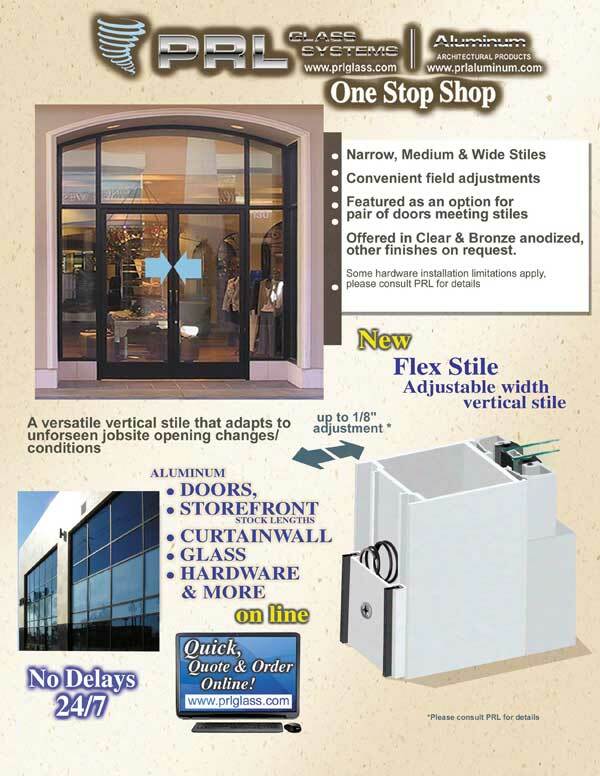 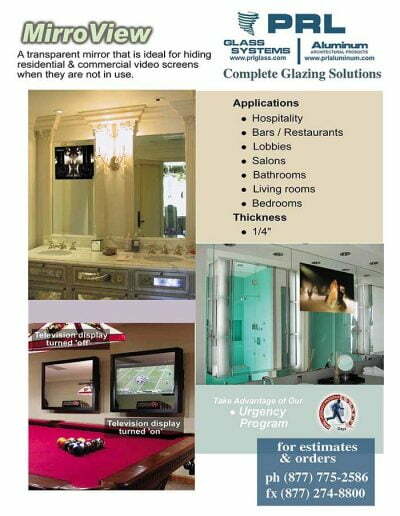 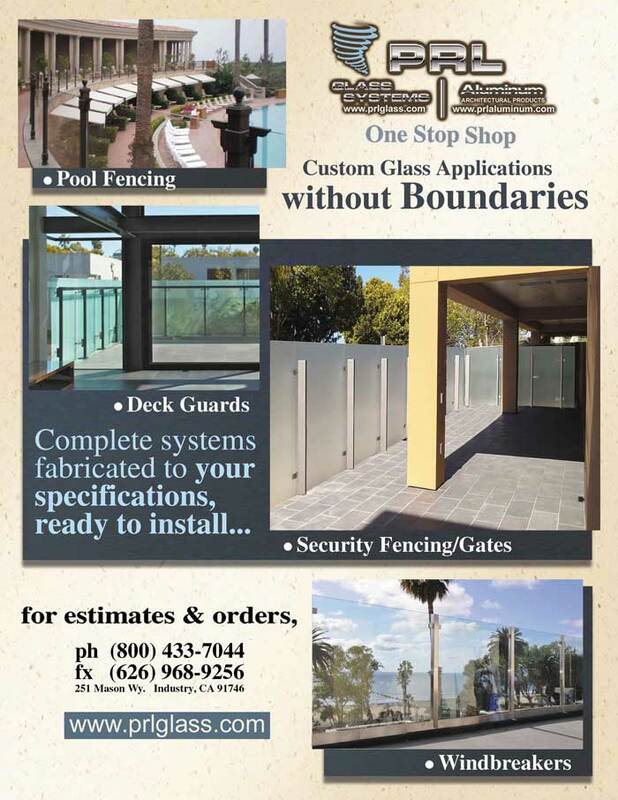 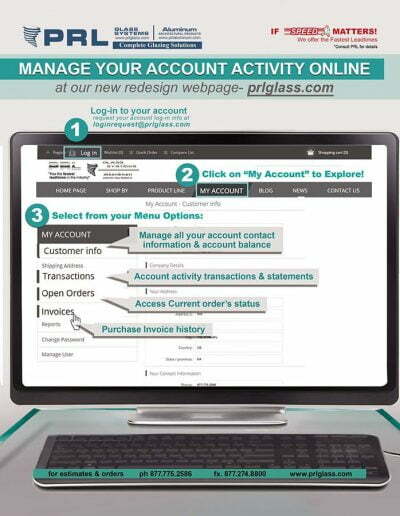 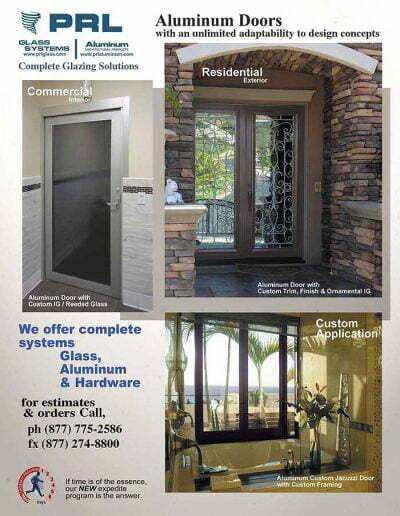 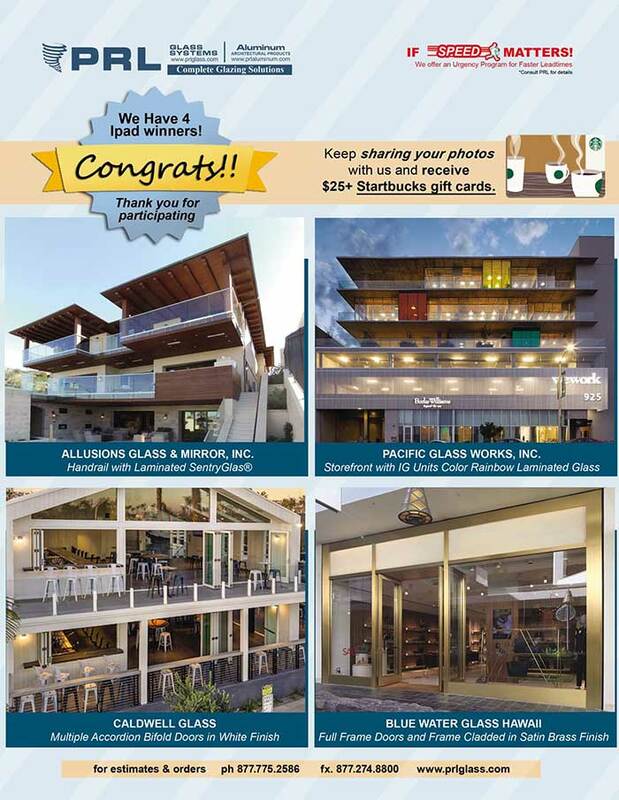 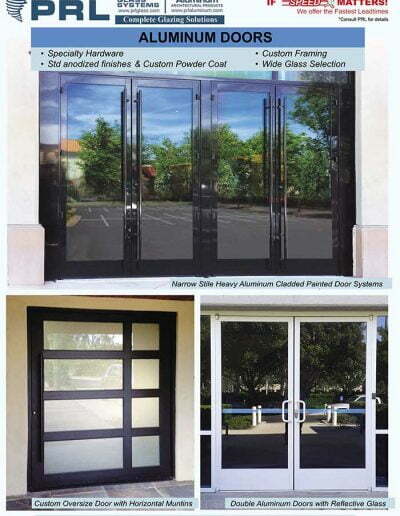 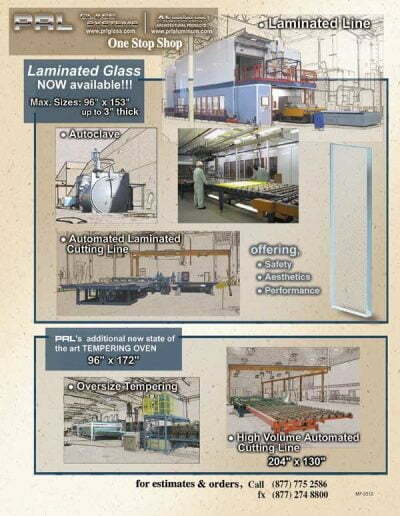 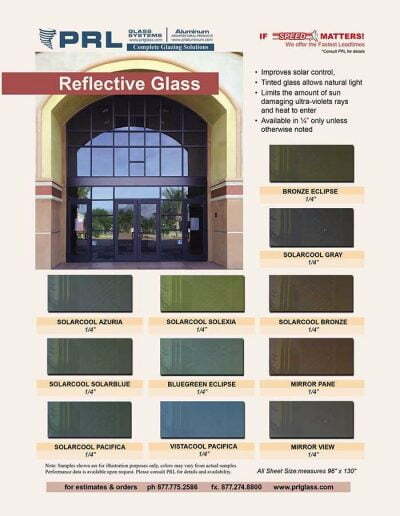 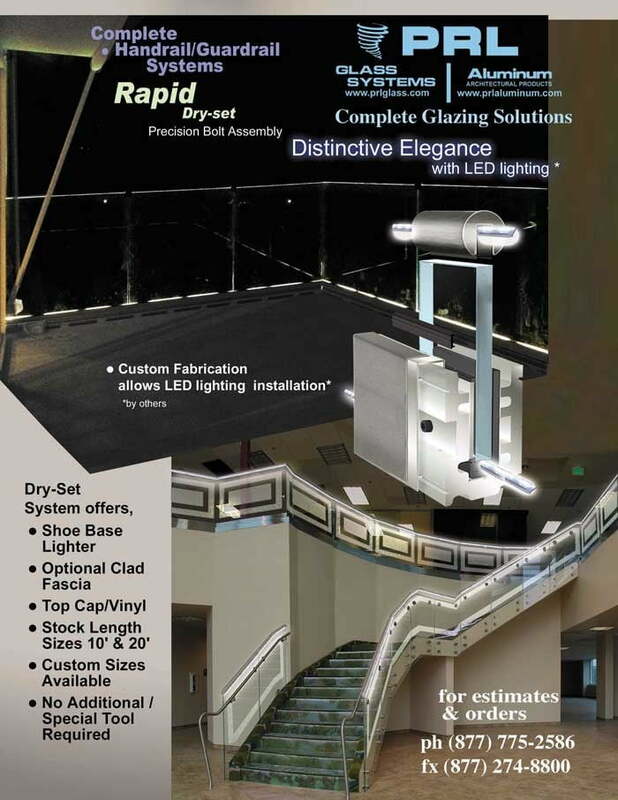 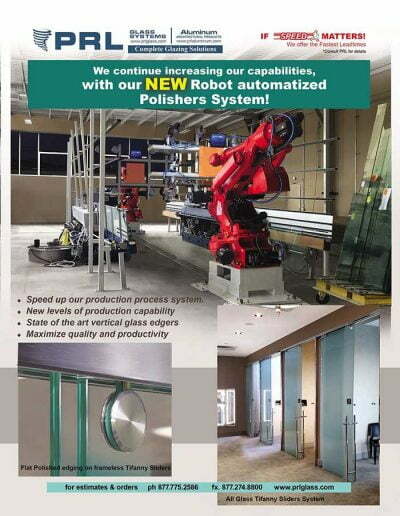 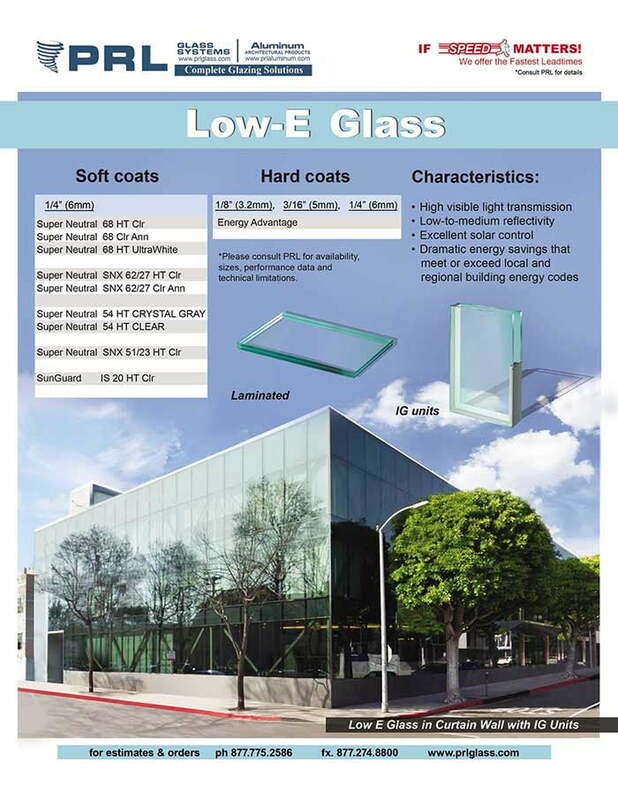 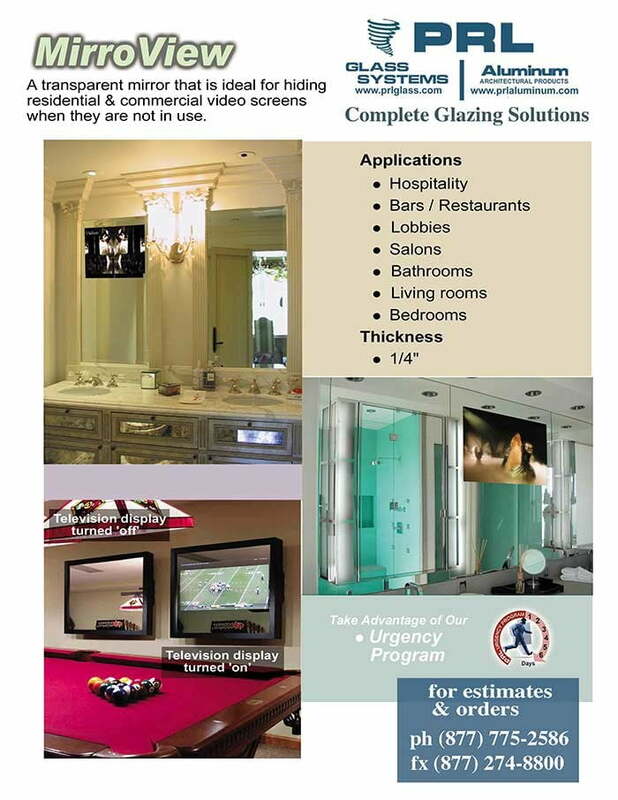 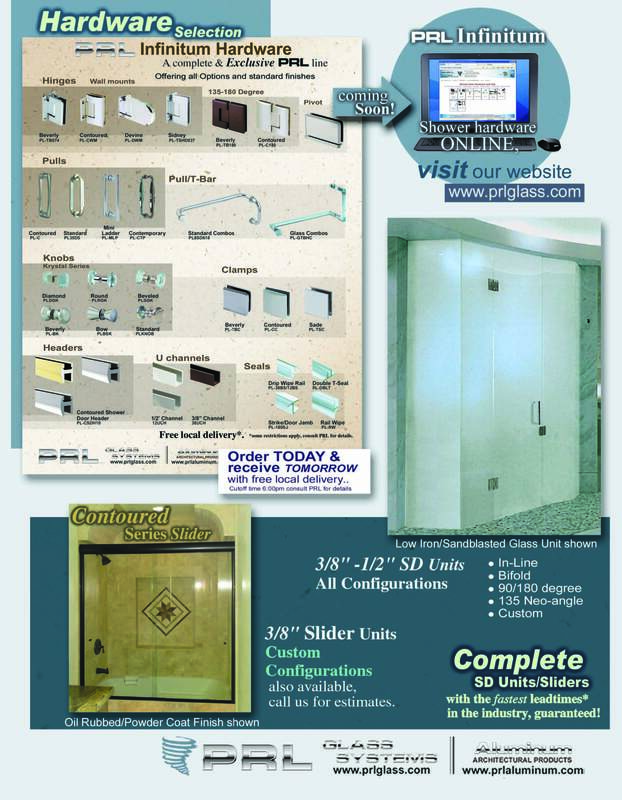 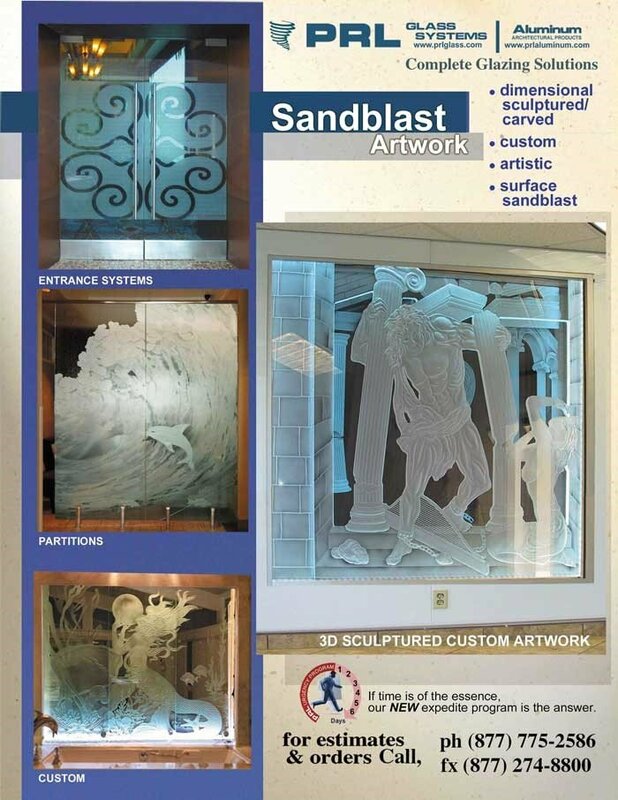 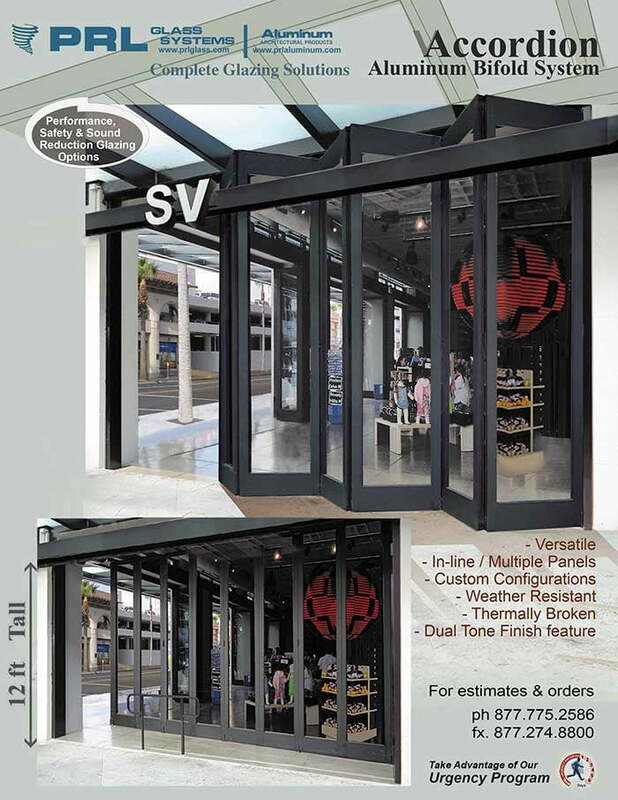 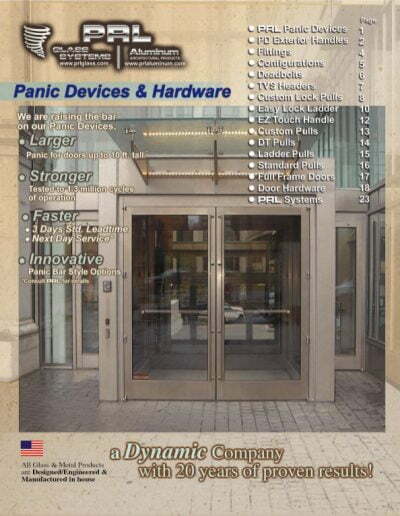 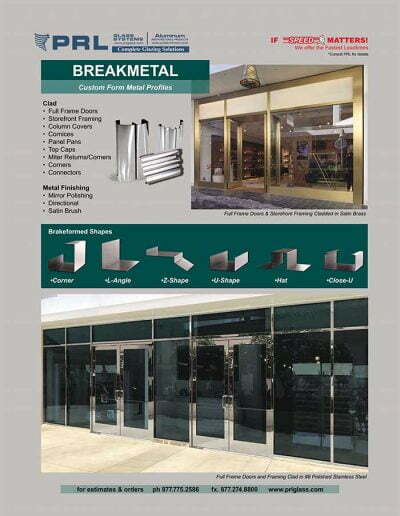 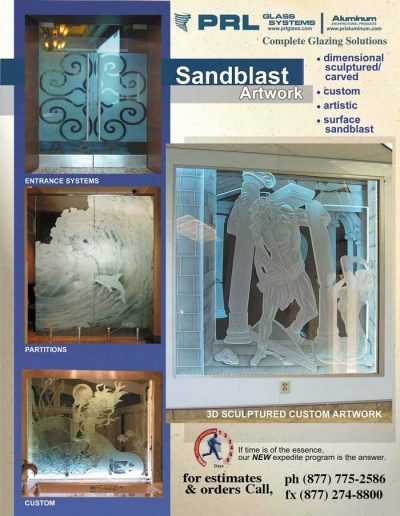 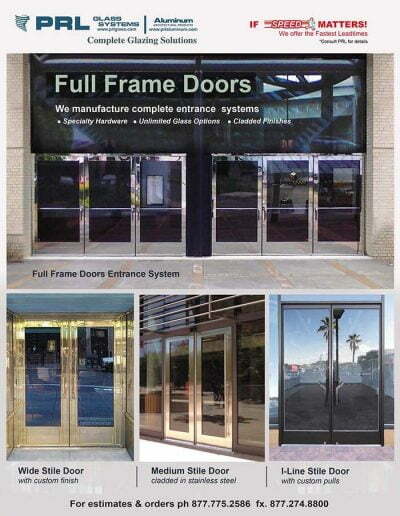 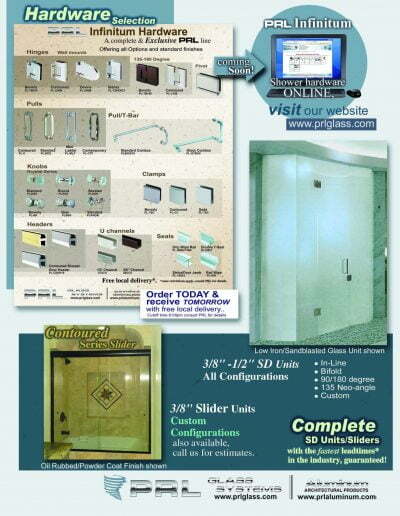 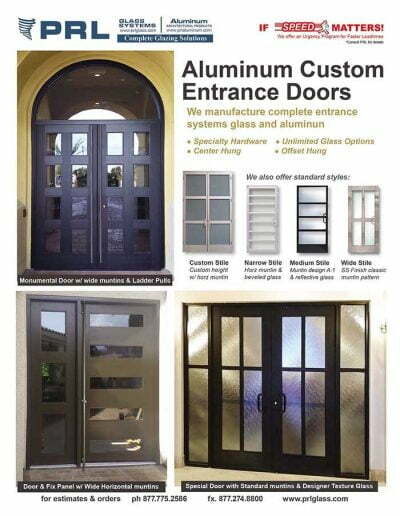 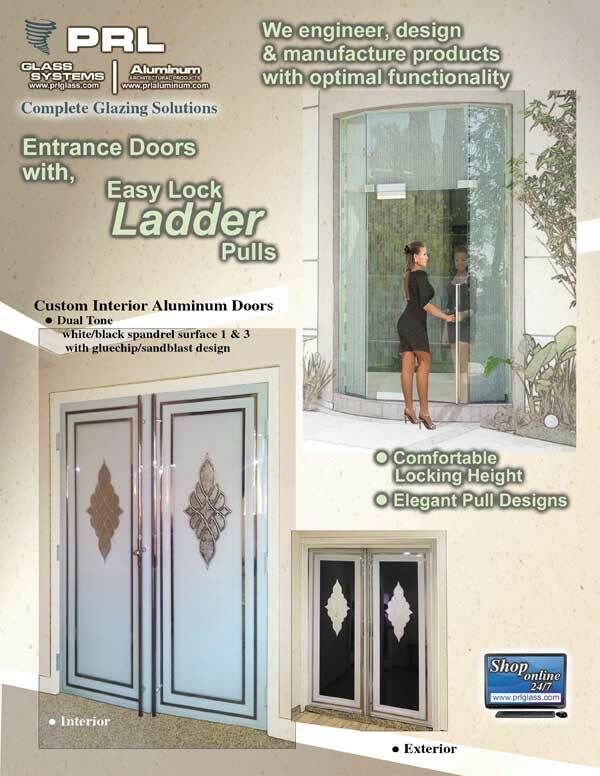 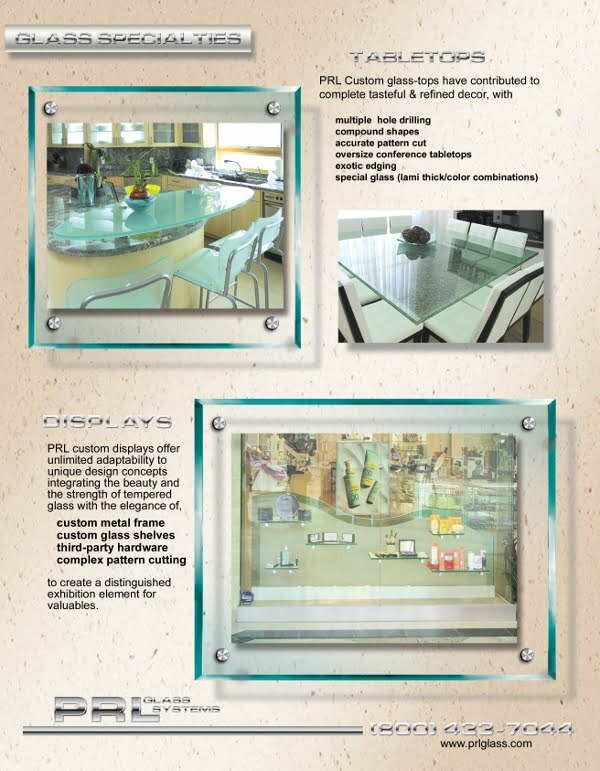 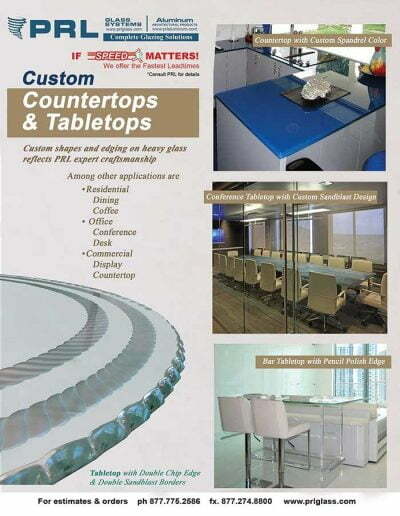 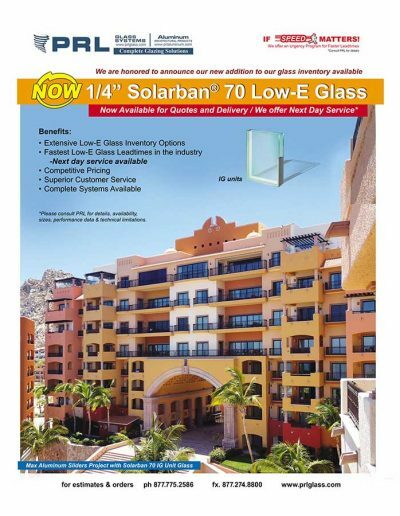 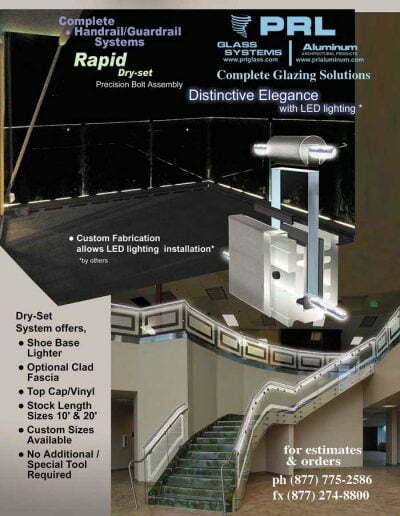 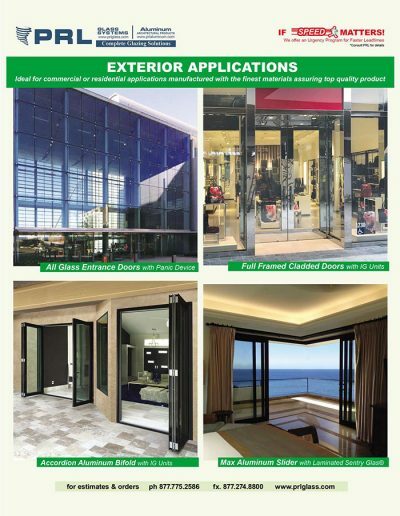 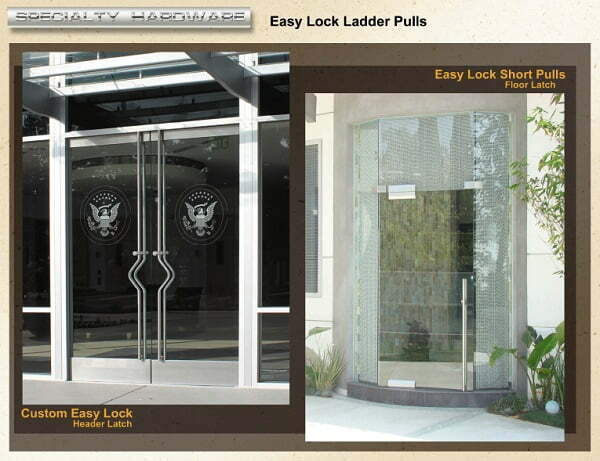 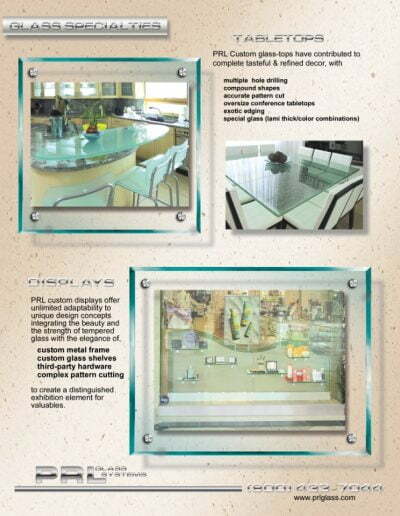 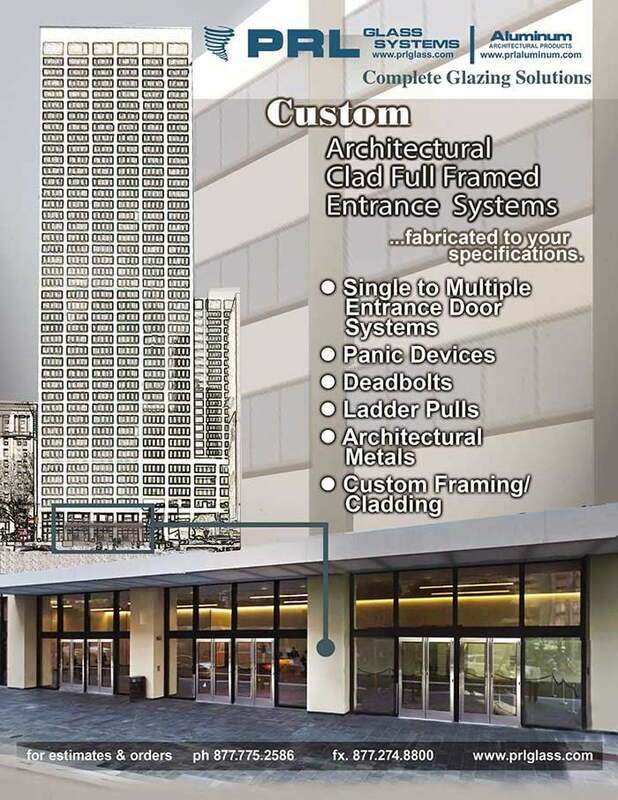 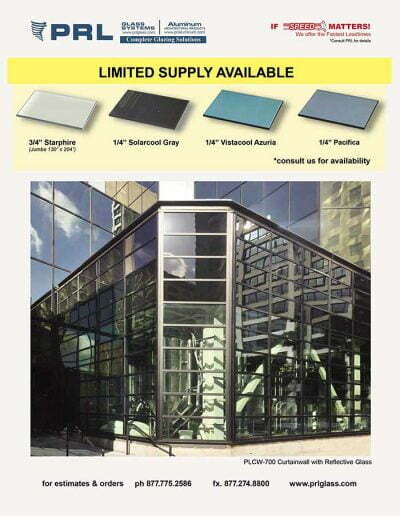 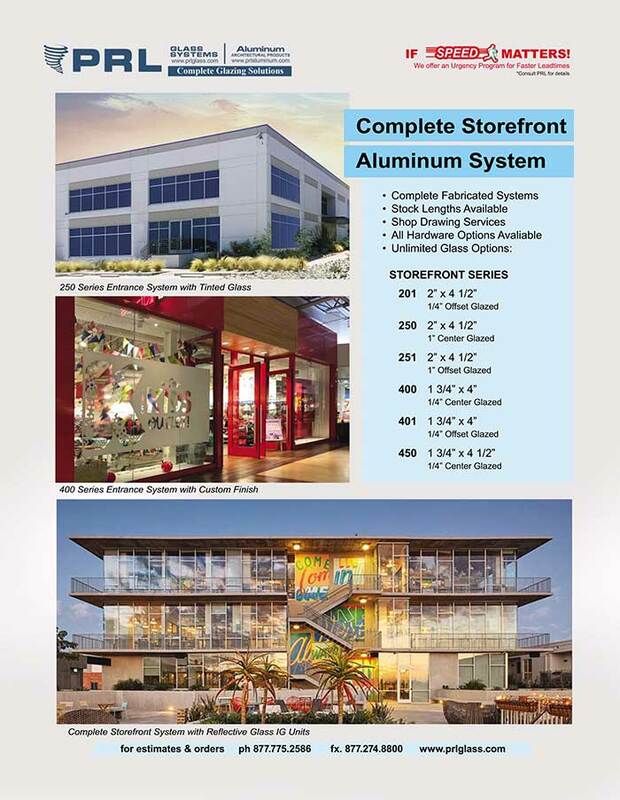 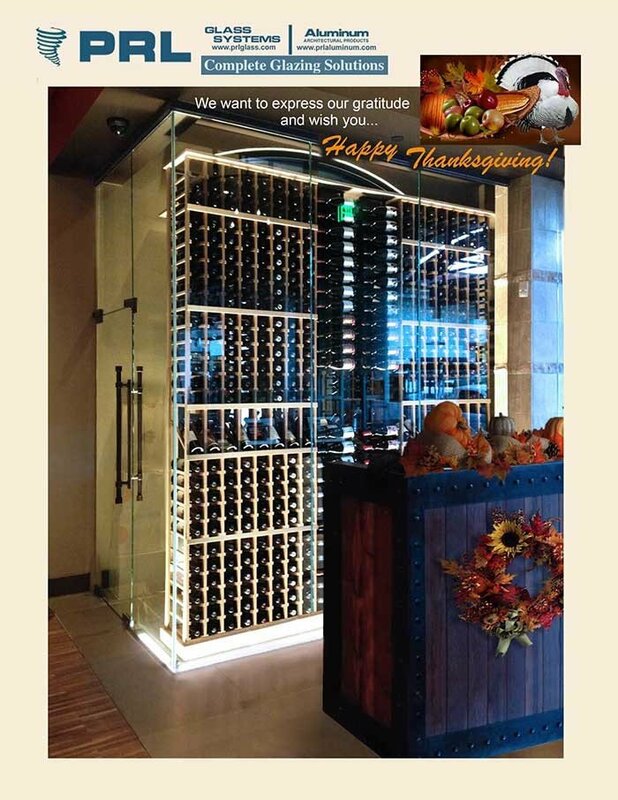 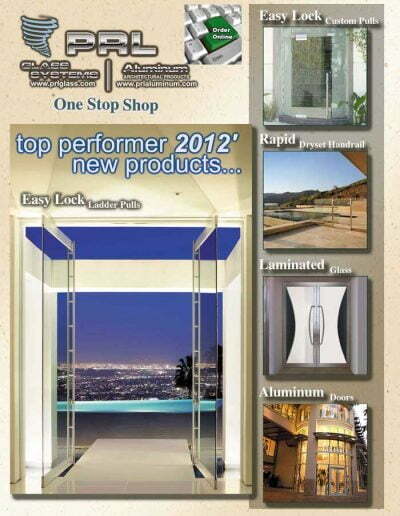 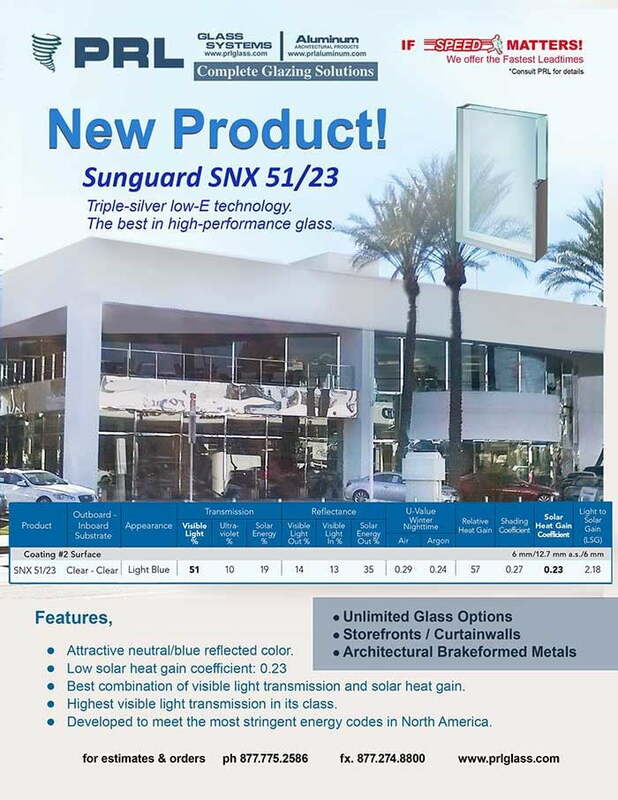 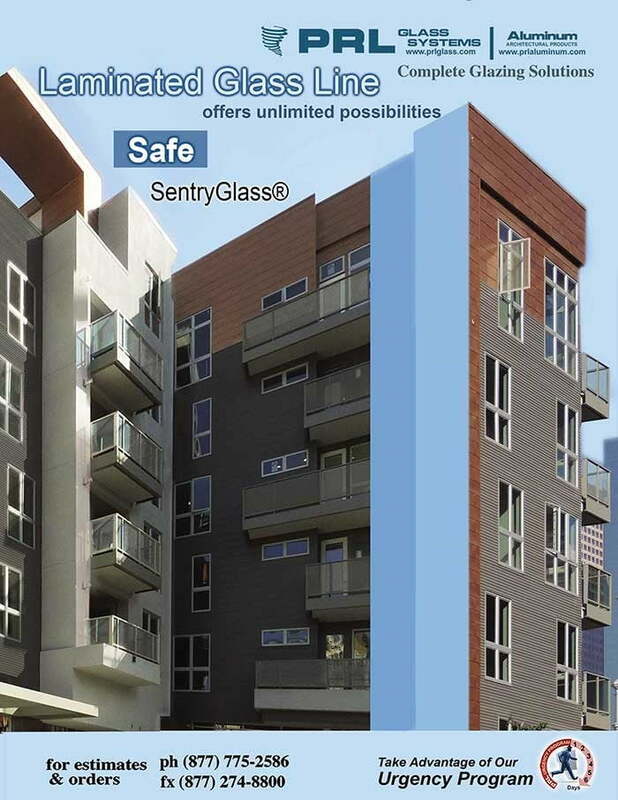 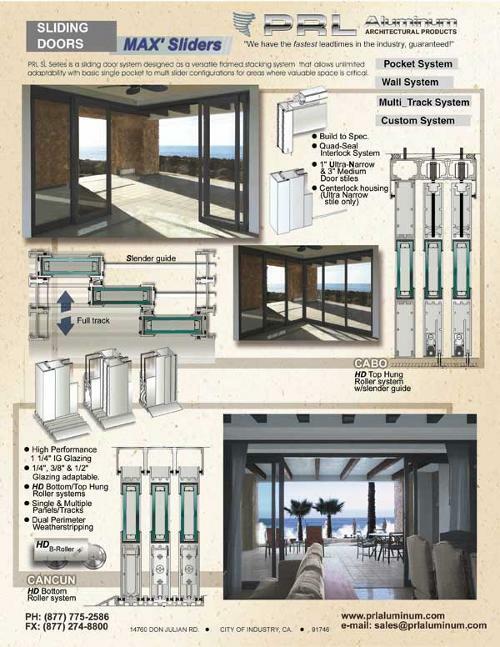 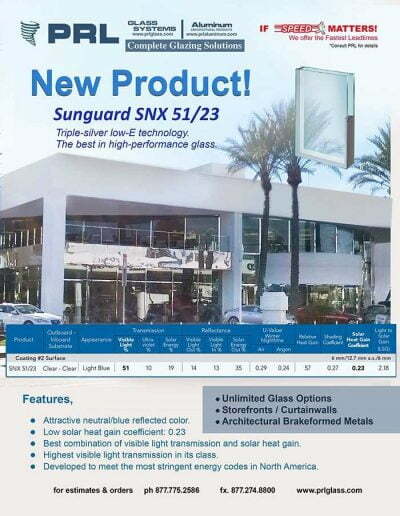 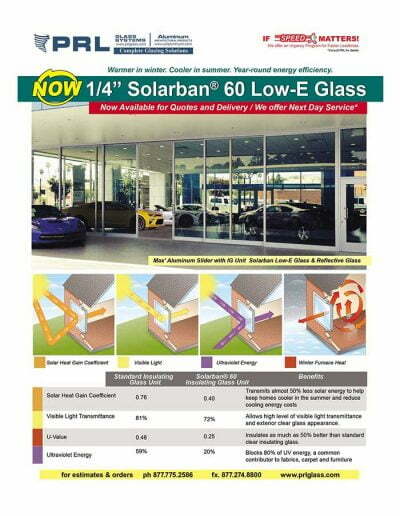 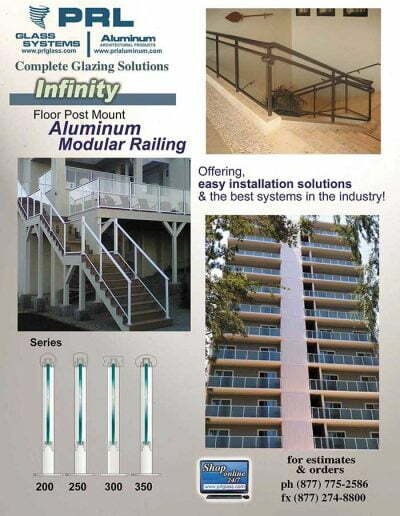 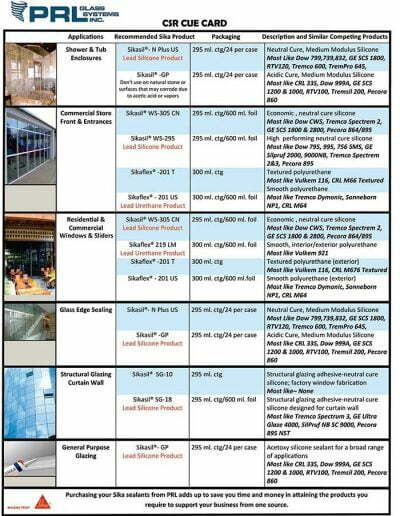 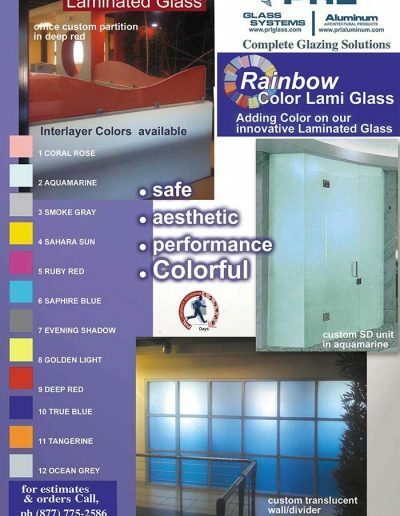 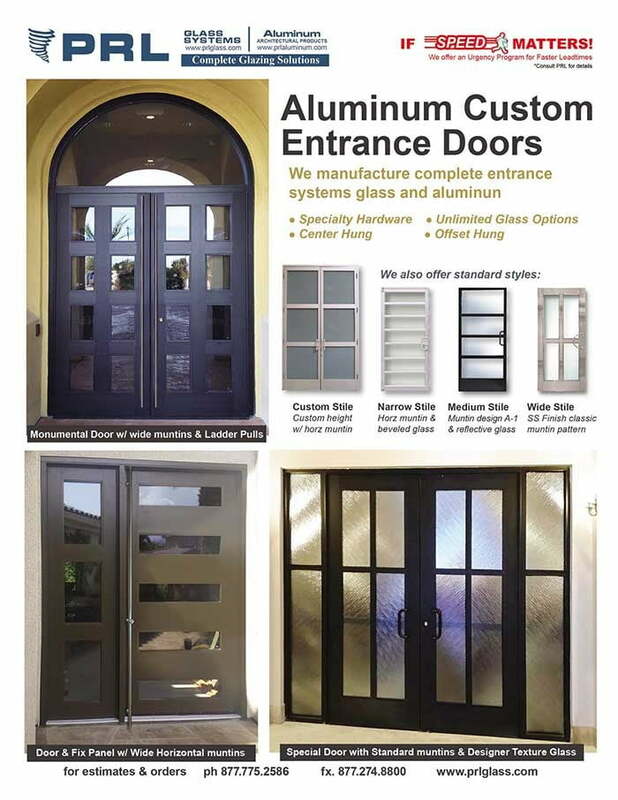 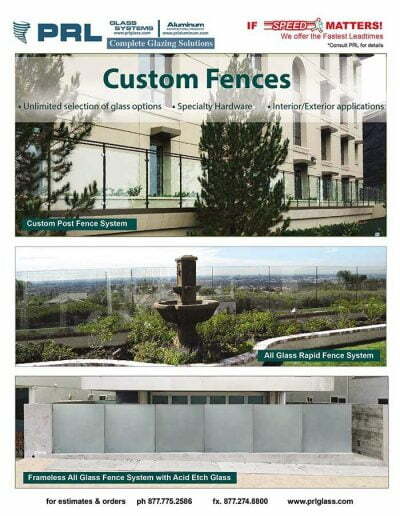 Every job is custom and we can customize to all your system design requirements, as in our Tiffany system.